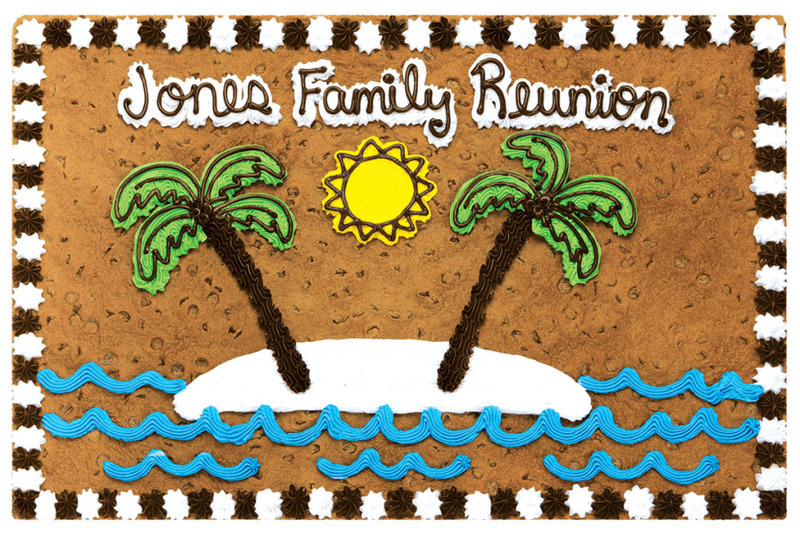 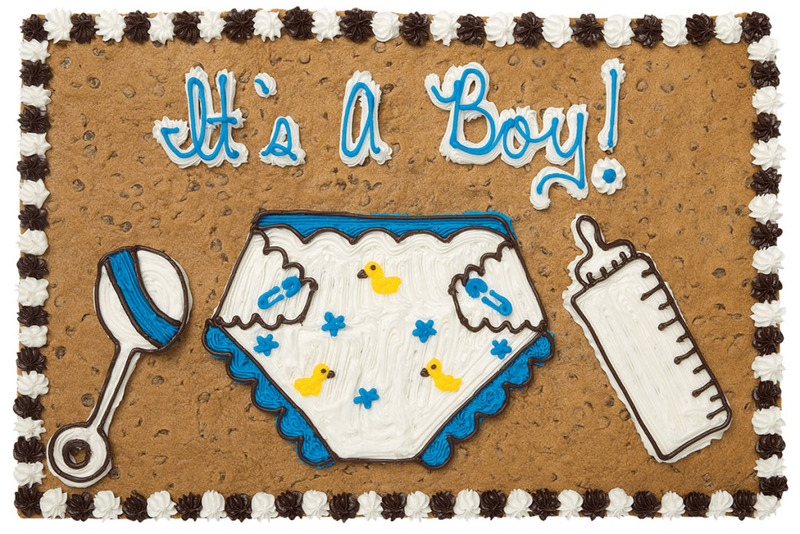 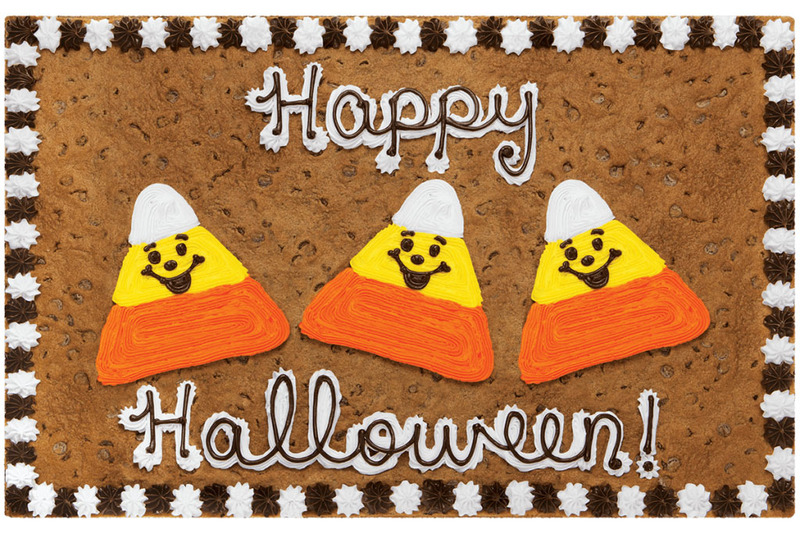 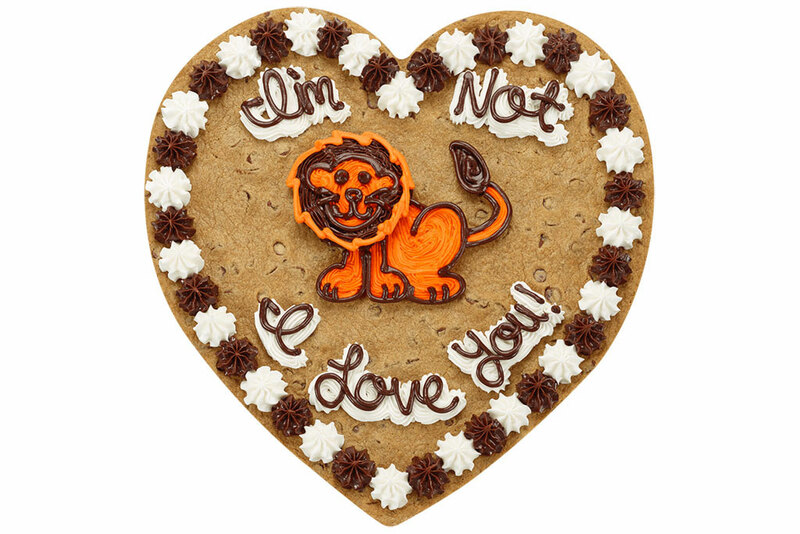 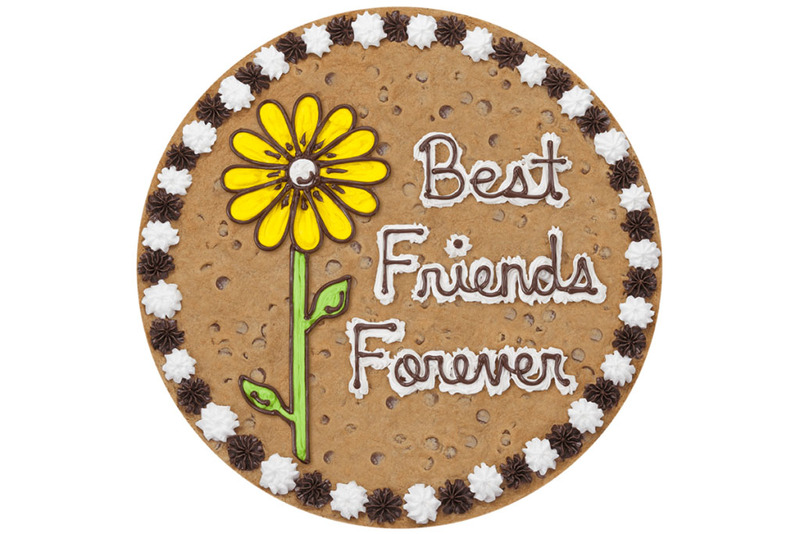 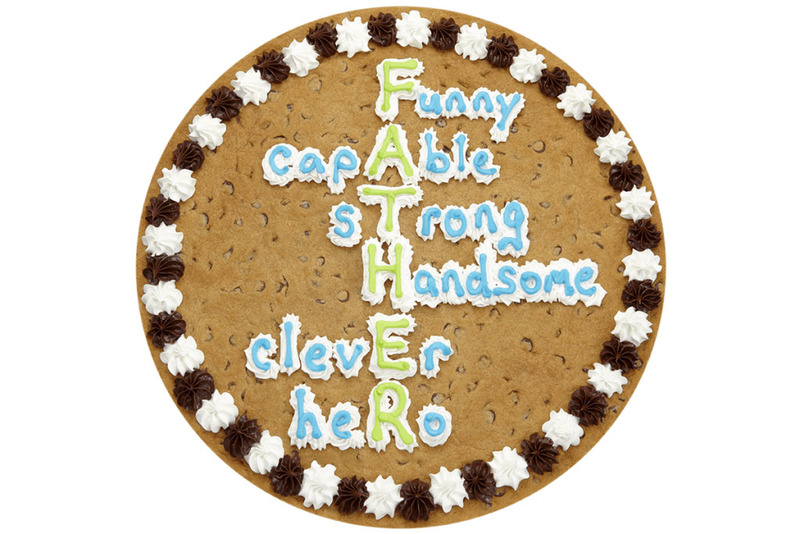 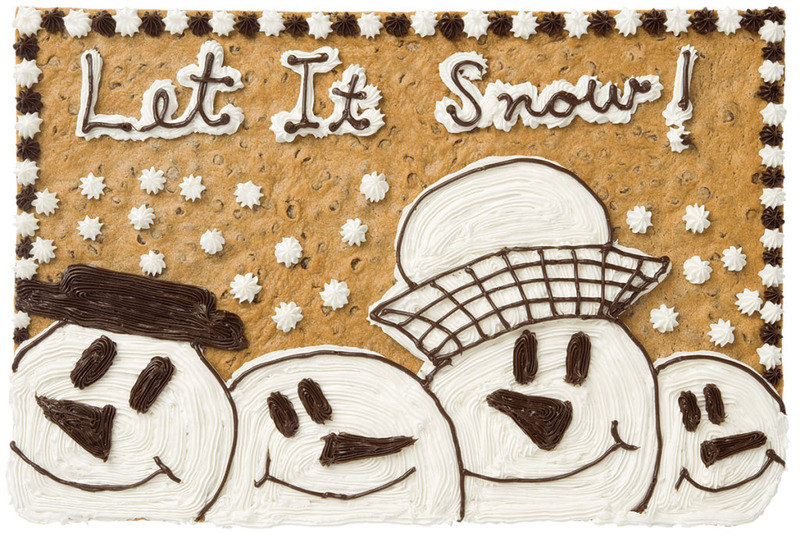 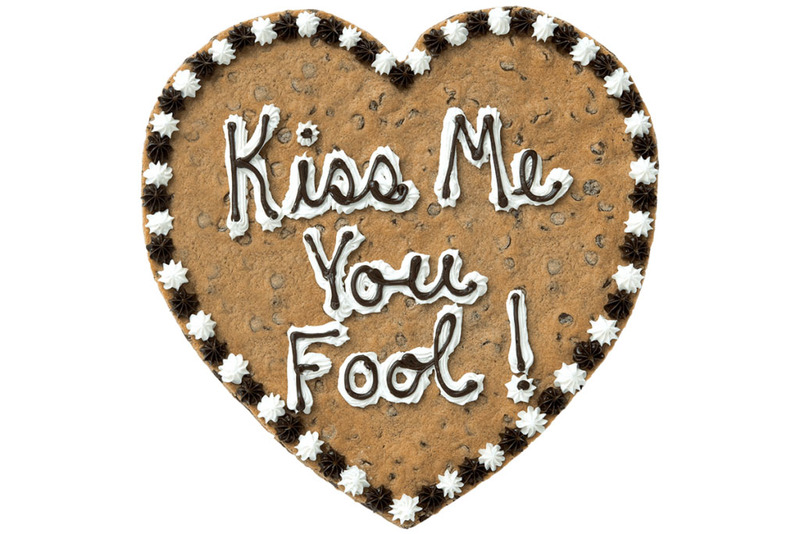 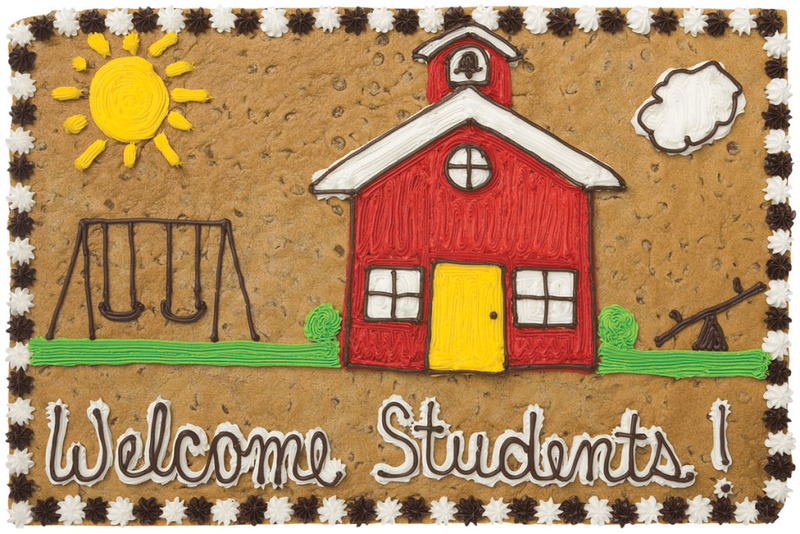 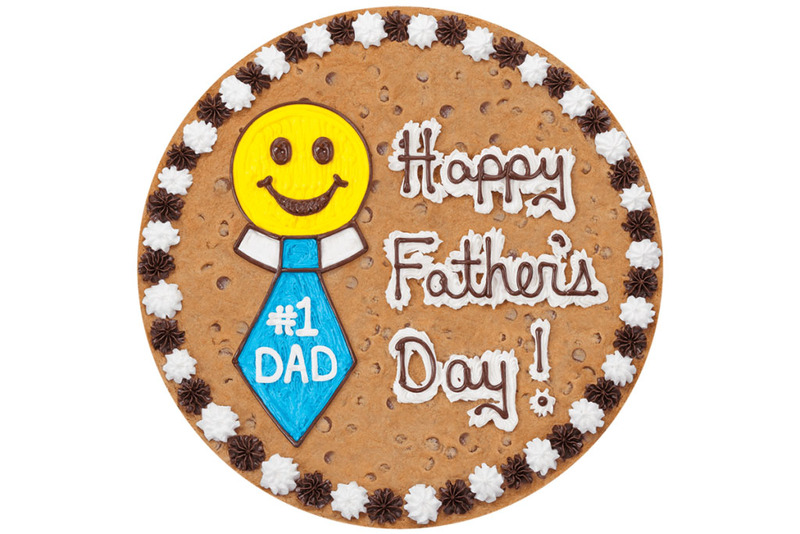 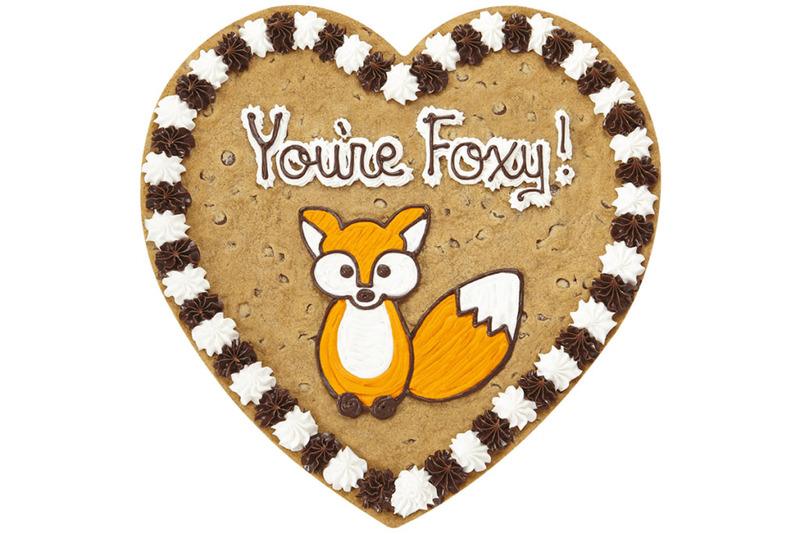 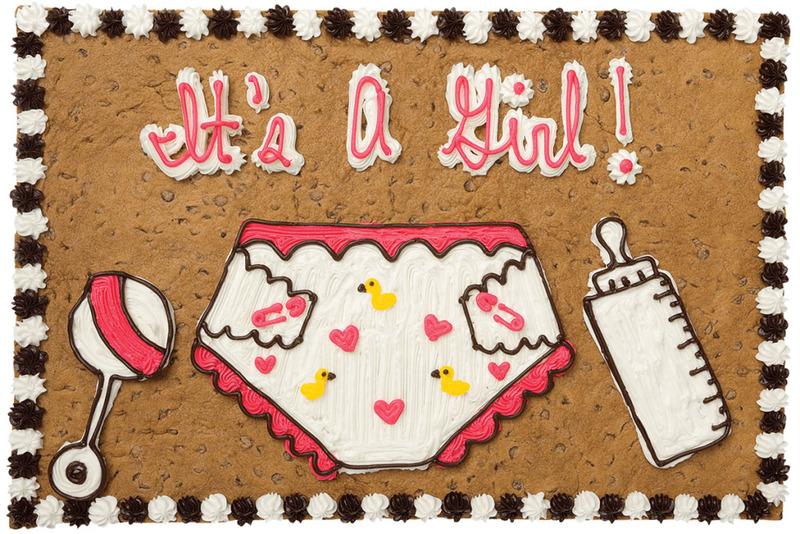 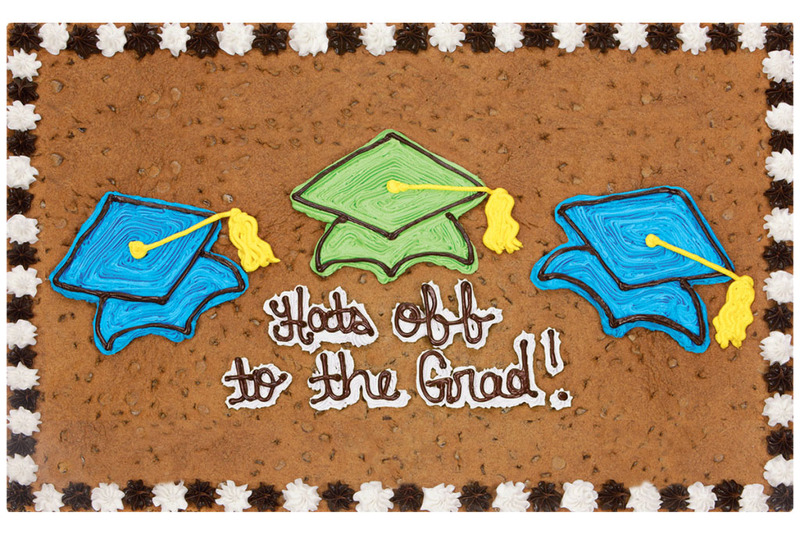 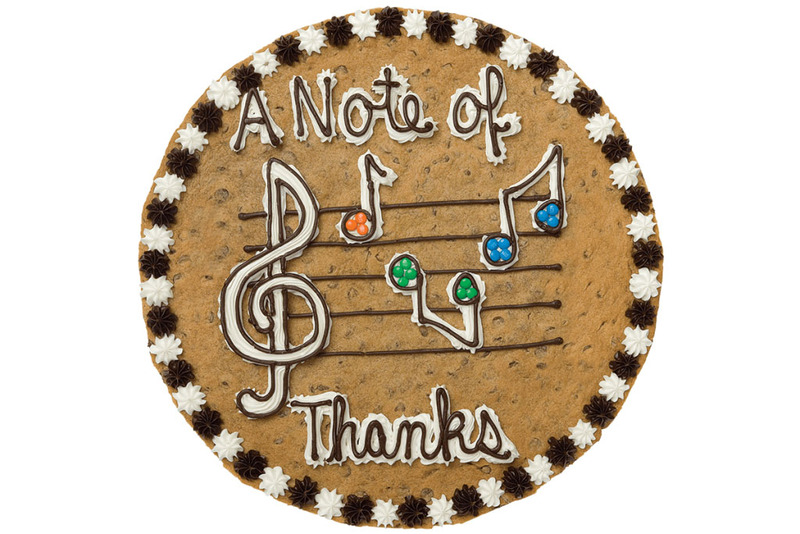 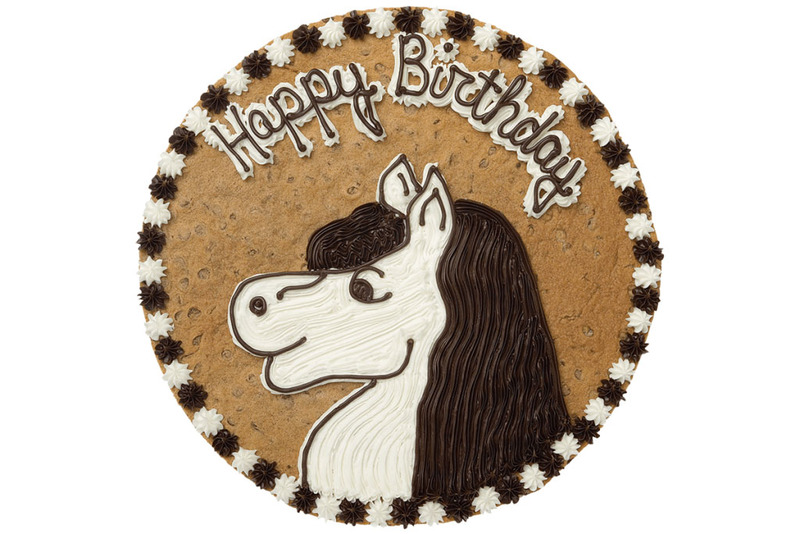 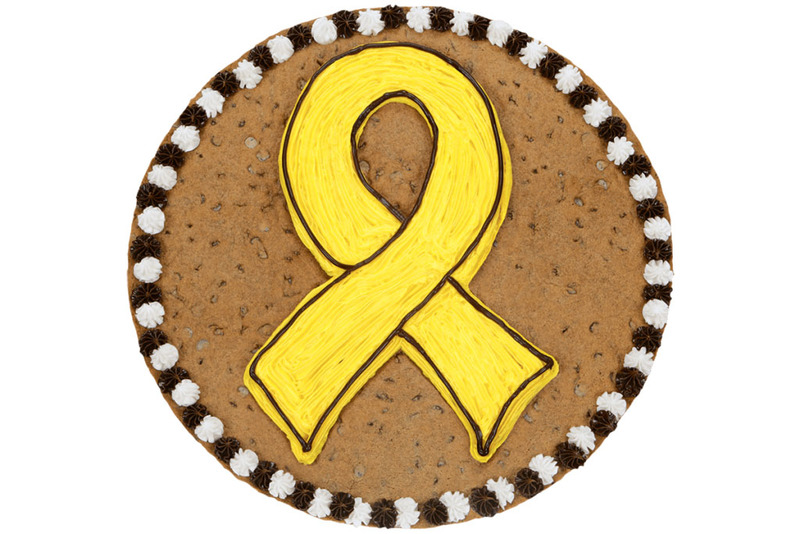 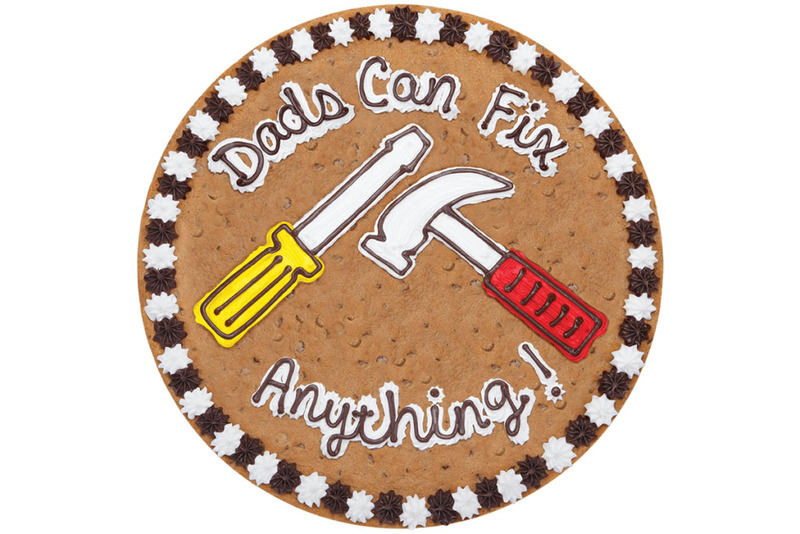 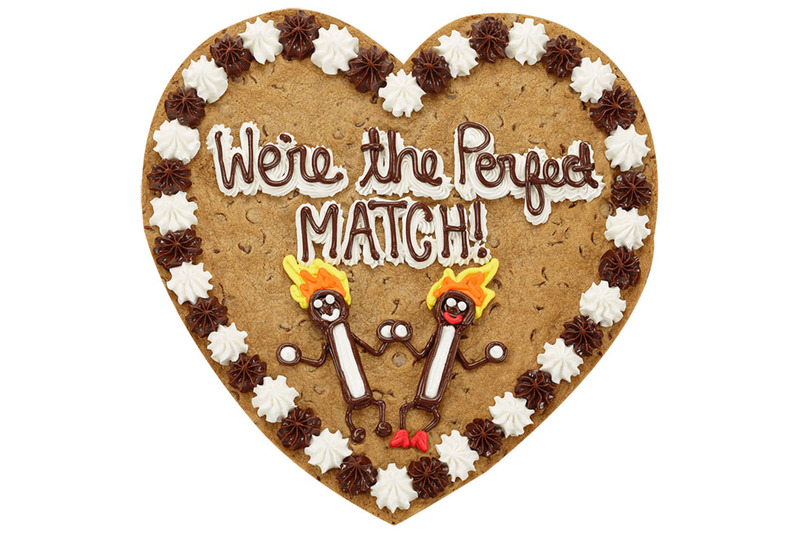 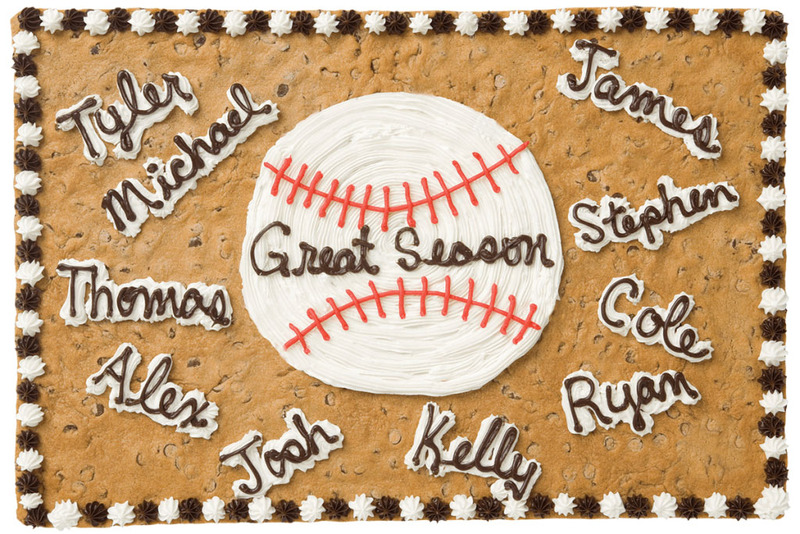 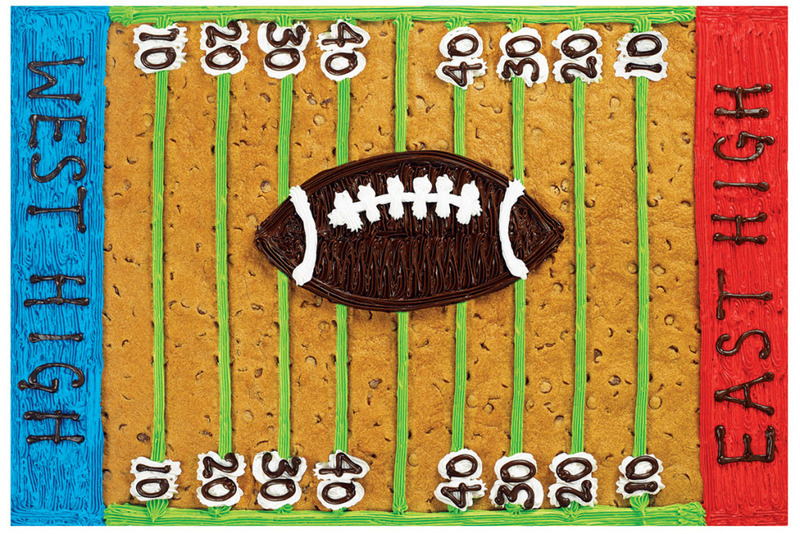 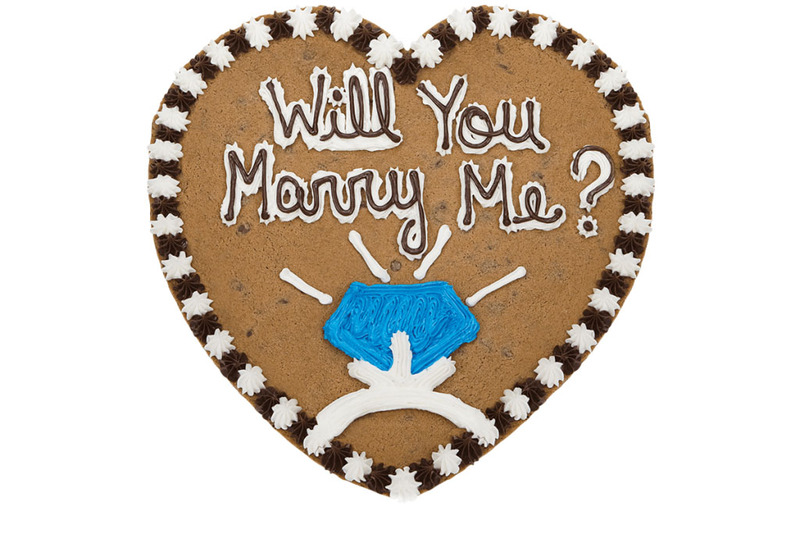 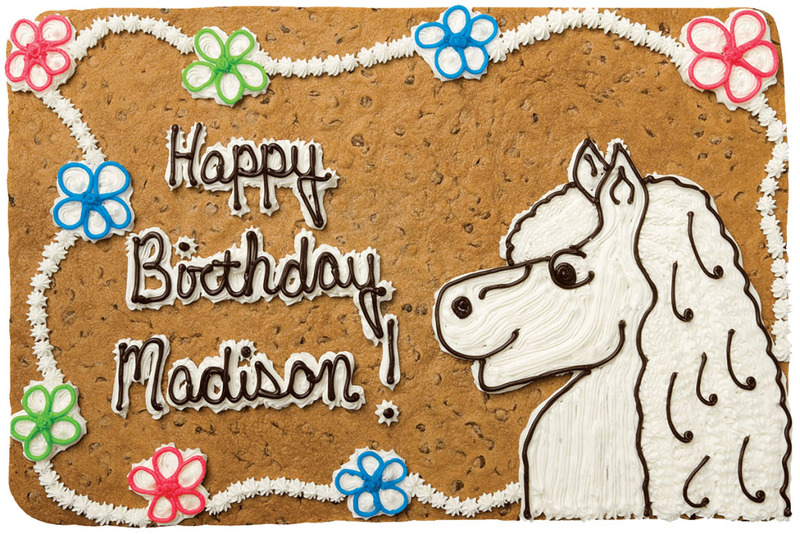 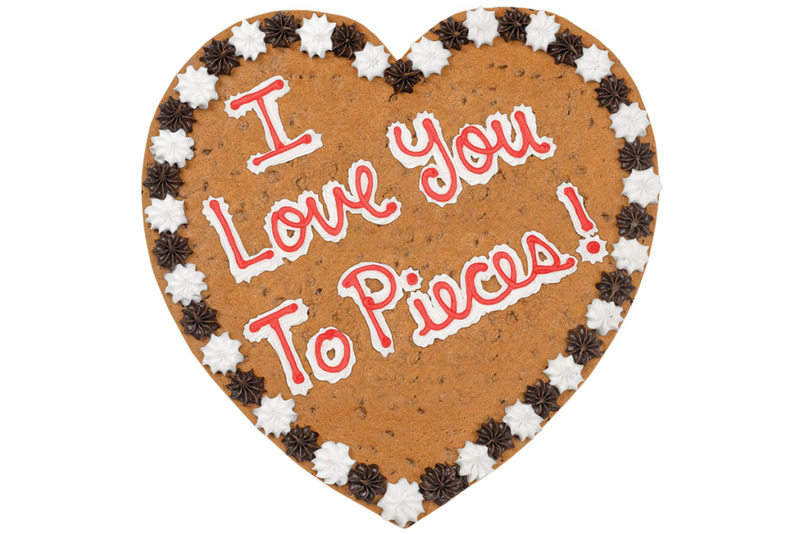 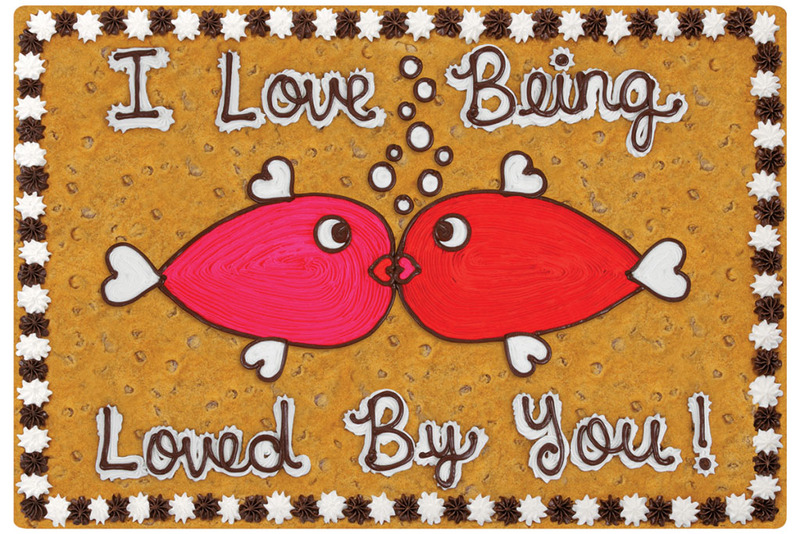 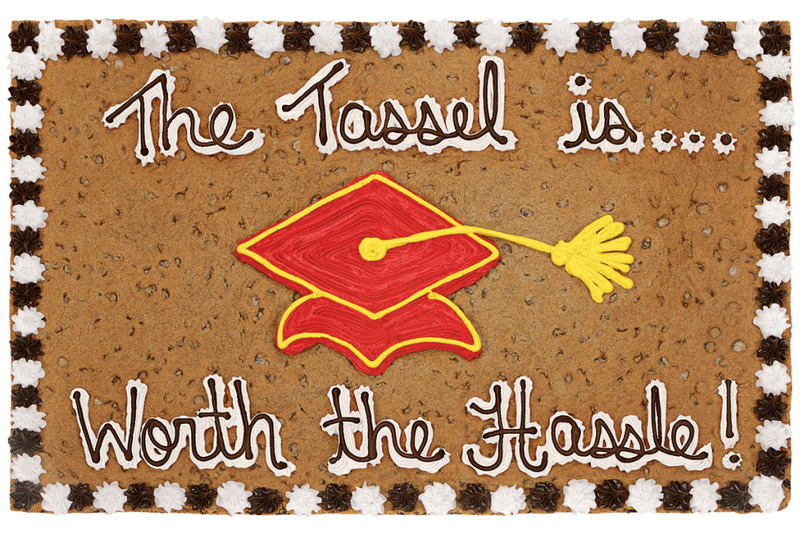 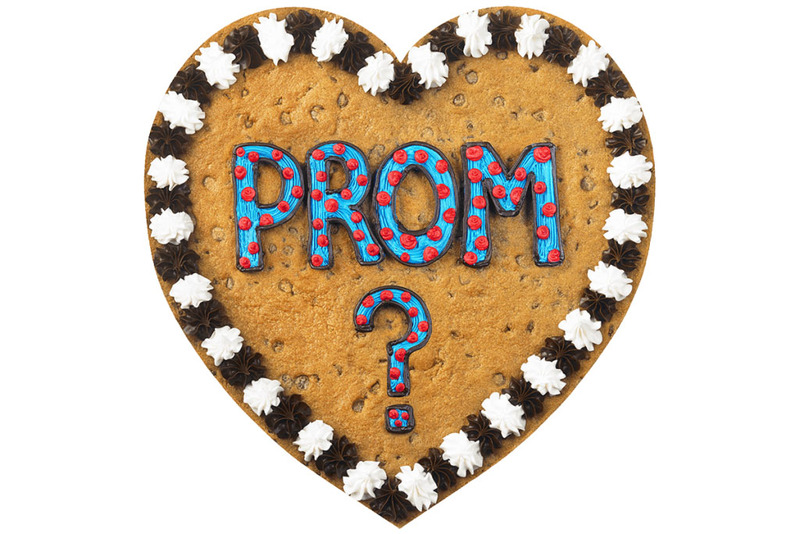 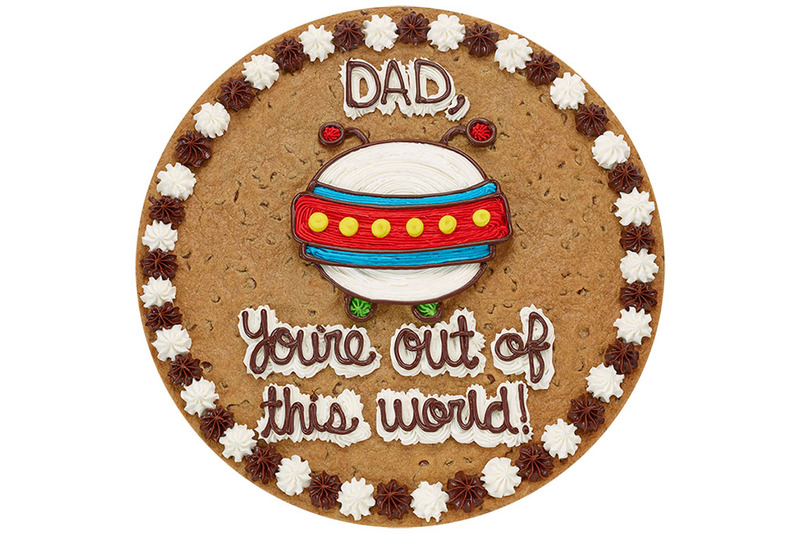 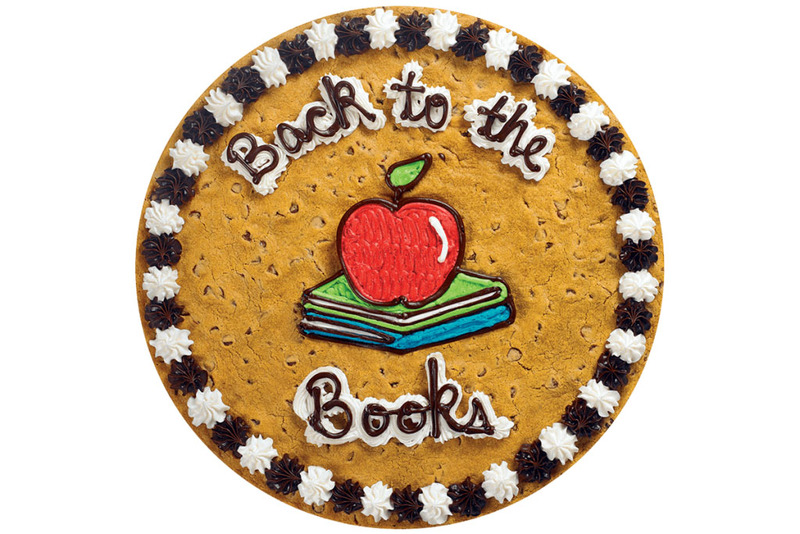 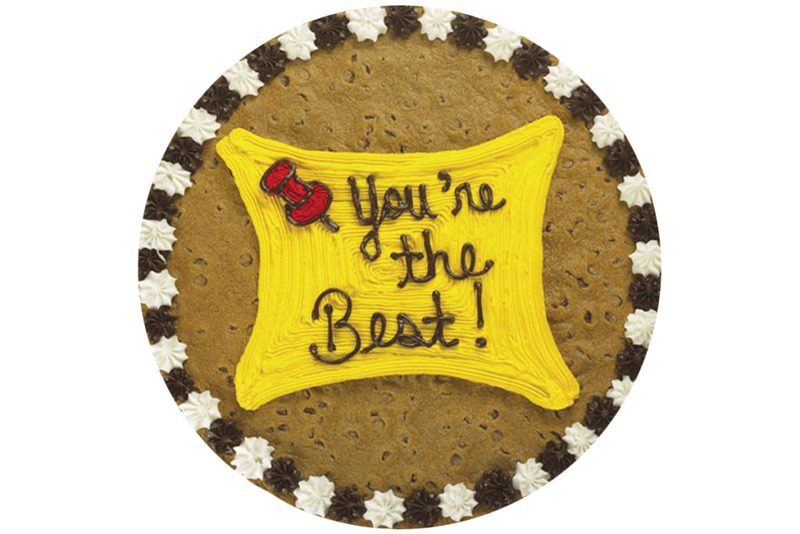 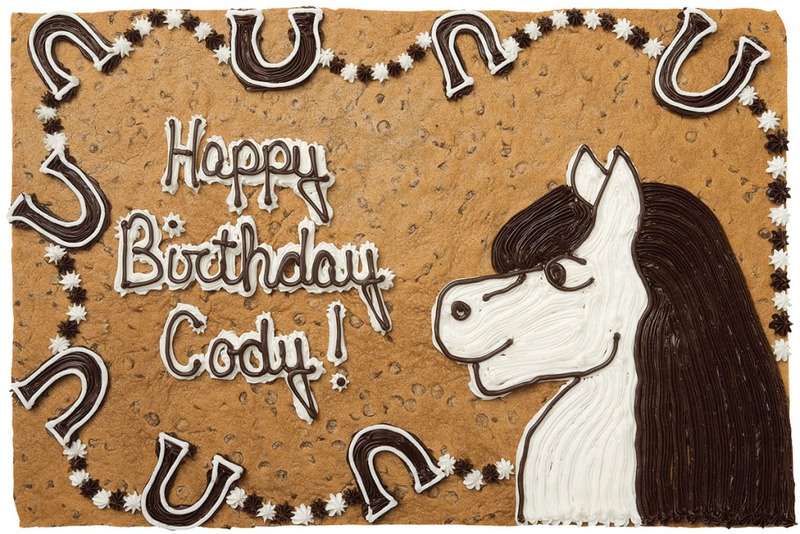 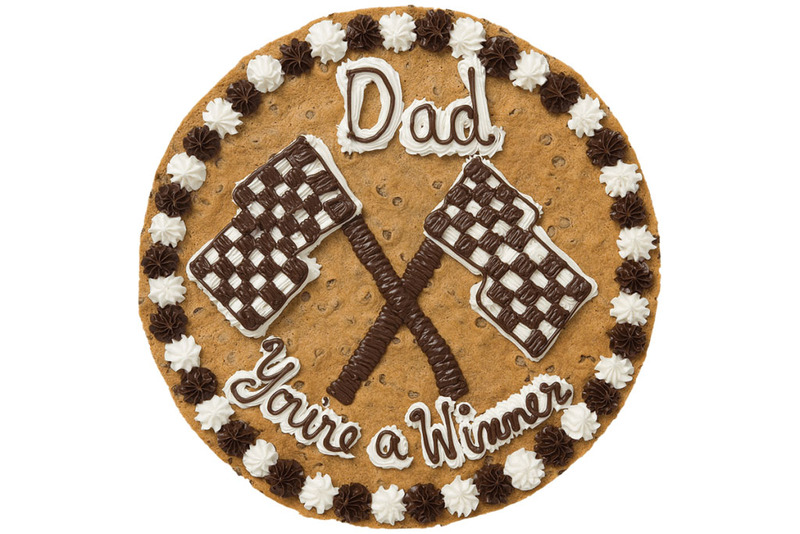 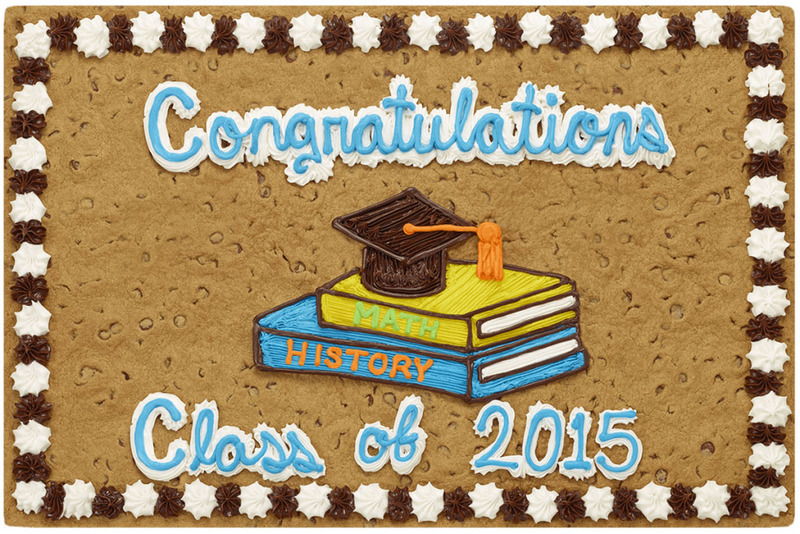 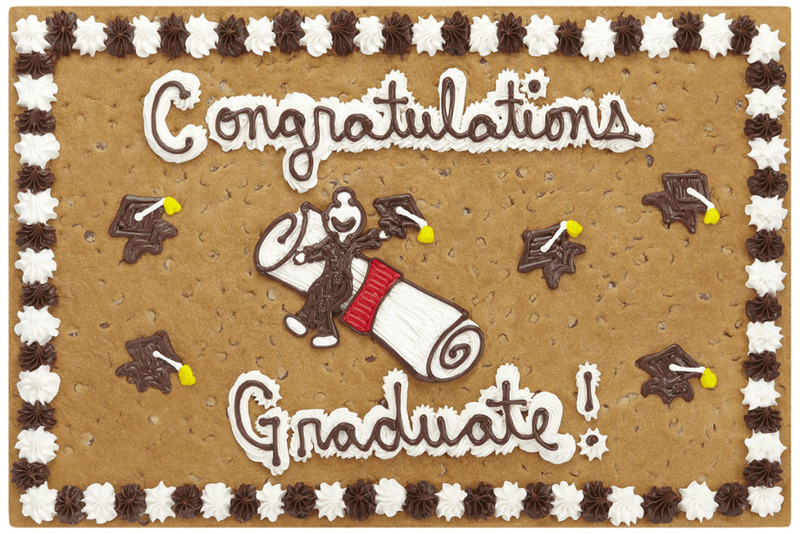 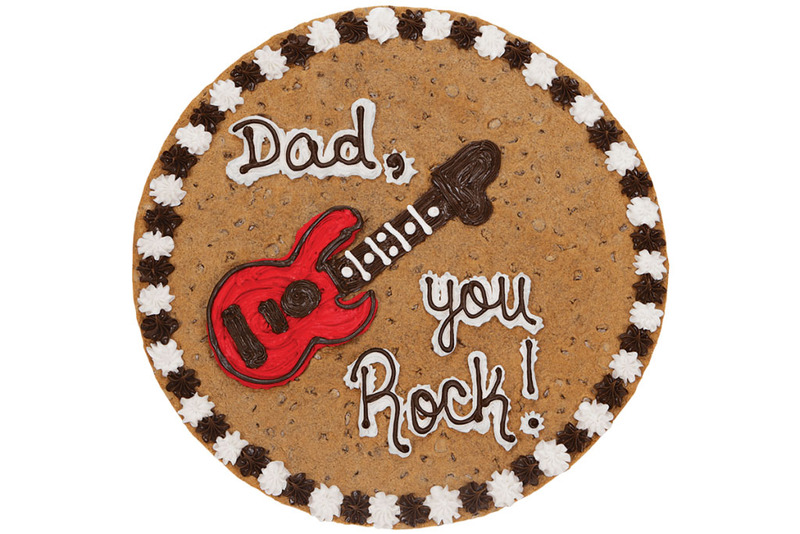 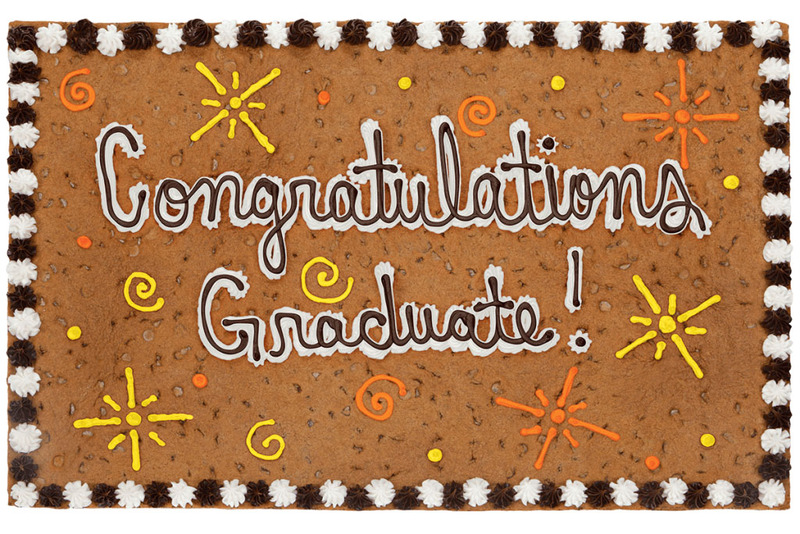 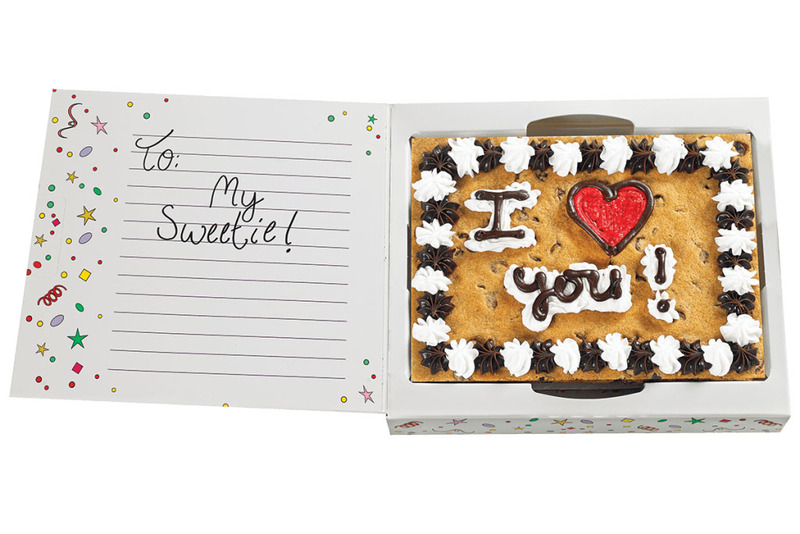 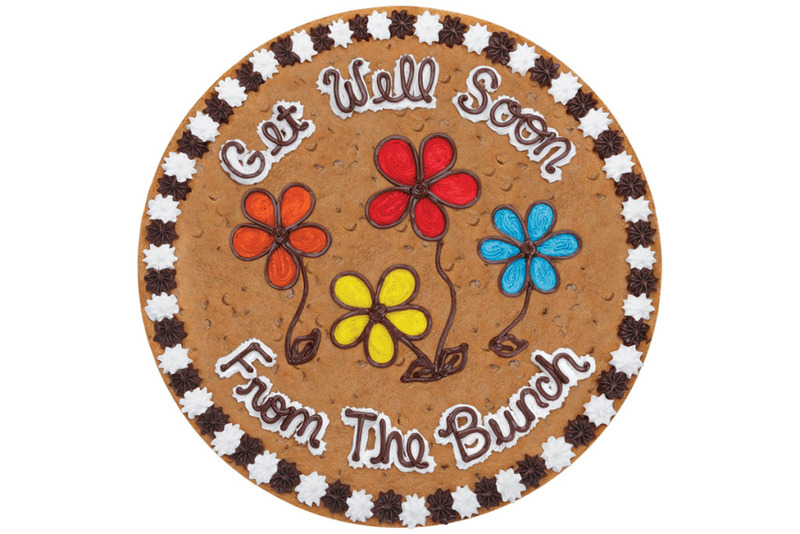 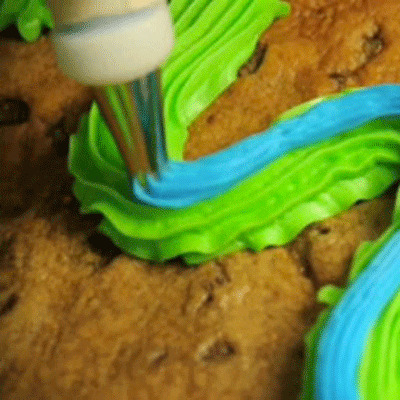 Cookie Cakes are the perfect way to say anything you want. 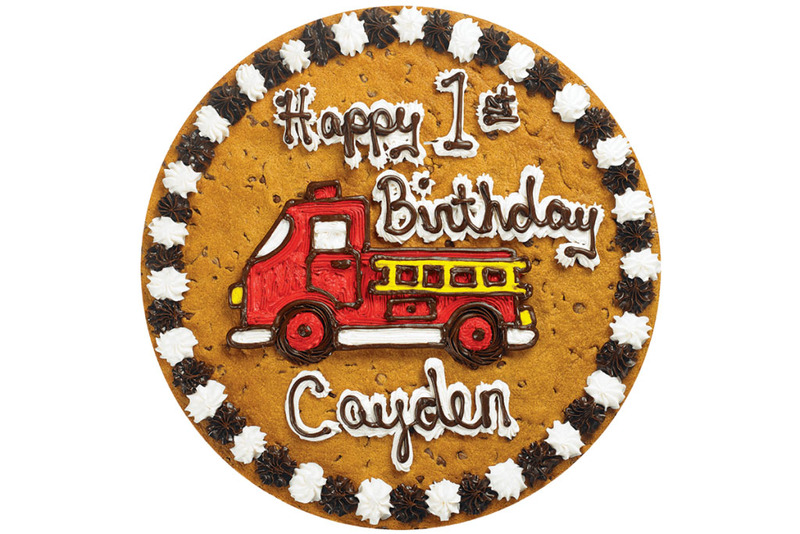 With nearly a hundred designs to choose from, we have any occasion you can think of covered. 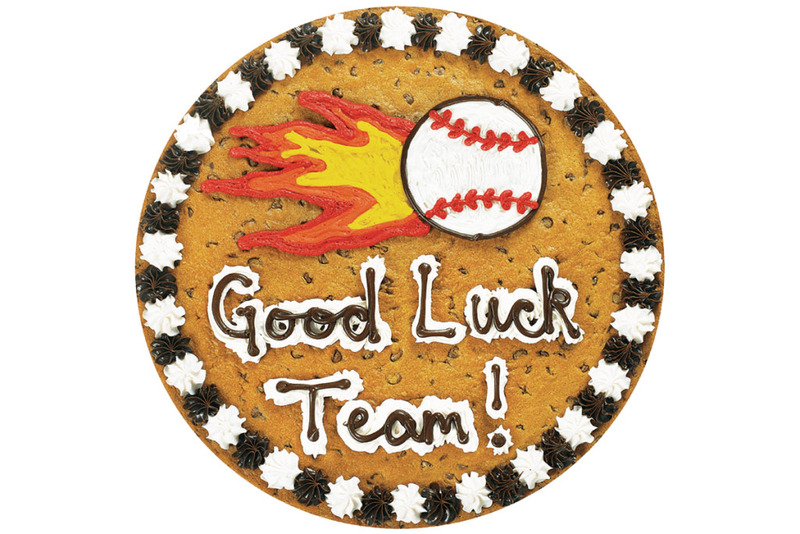 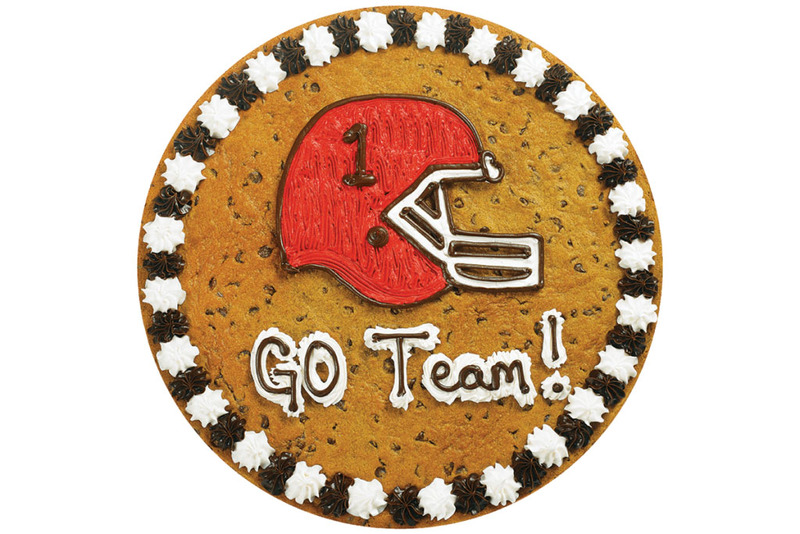 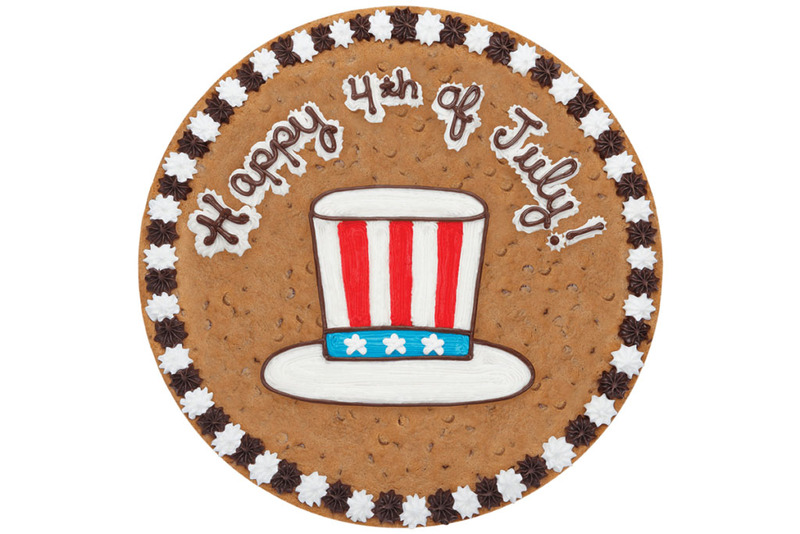 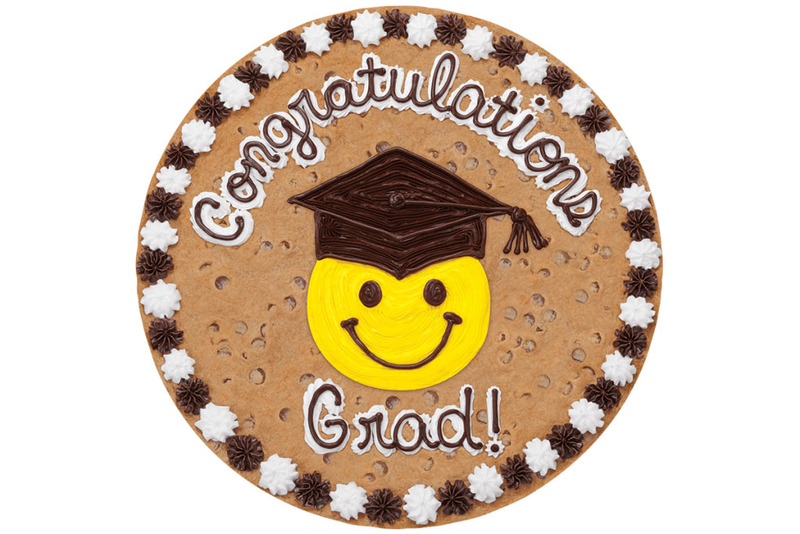 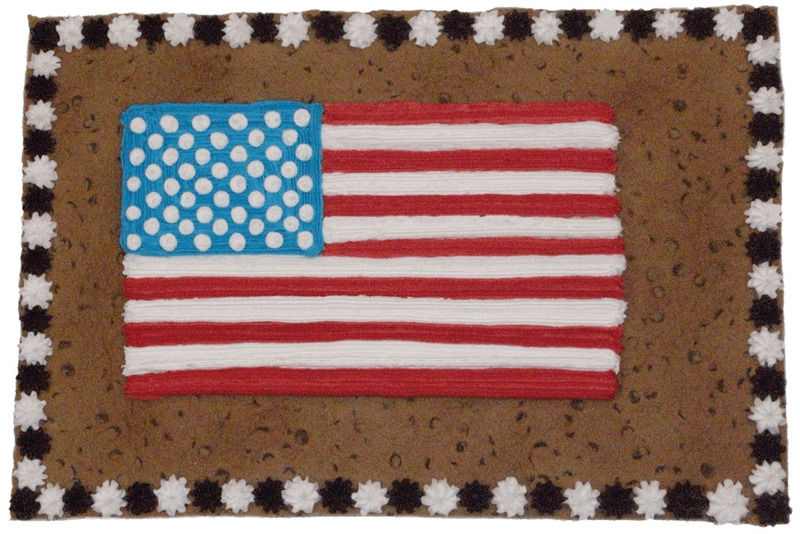 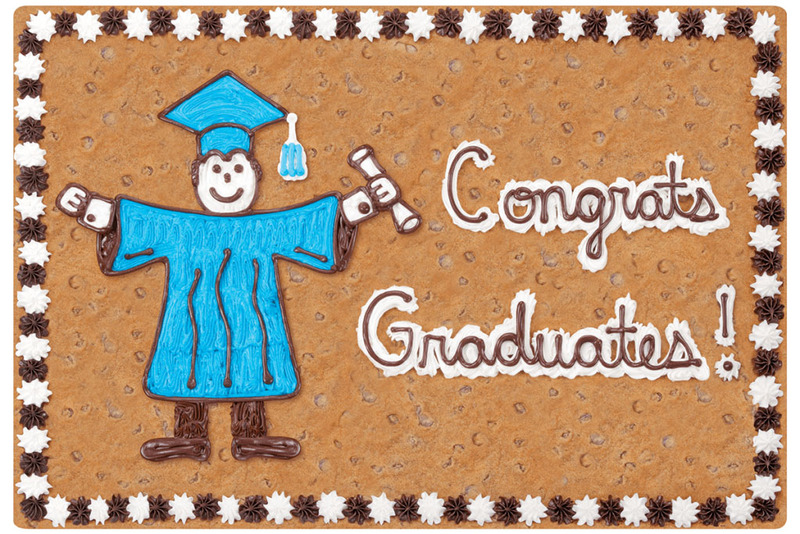 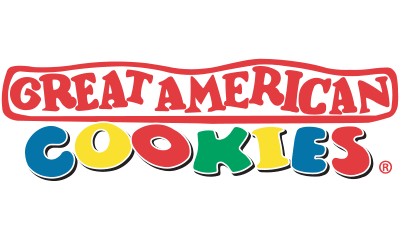 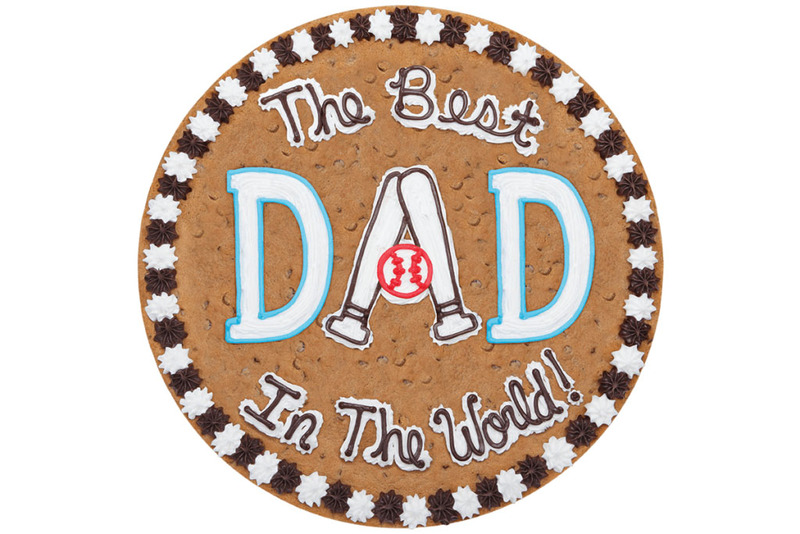 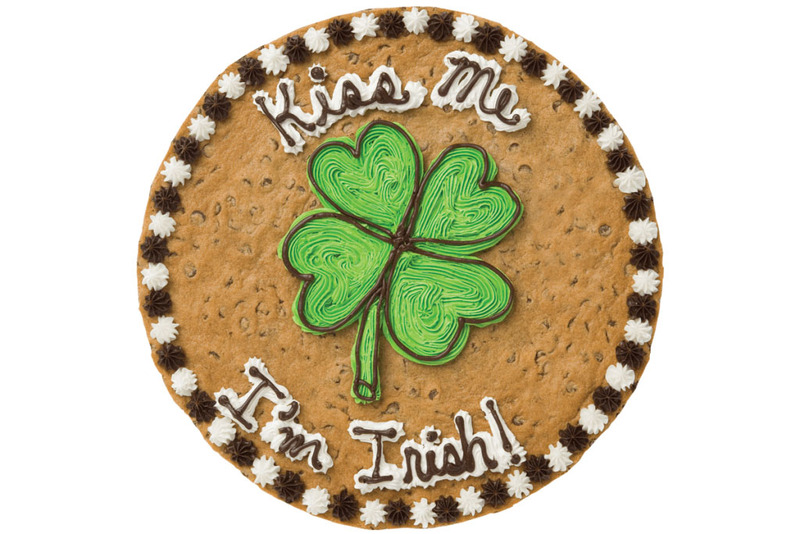 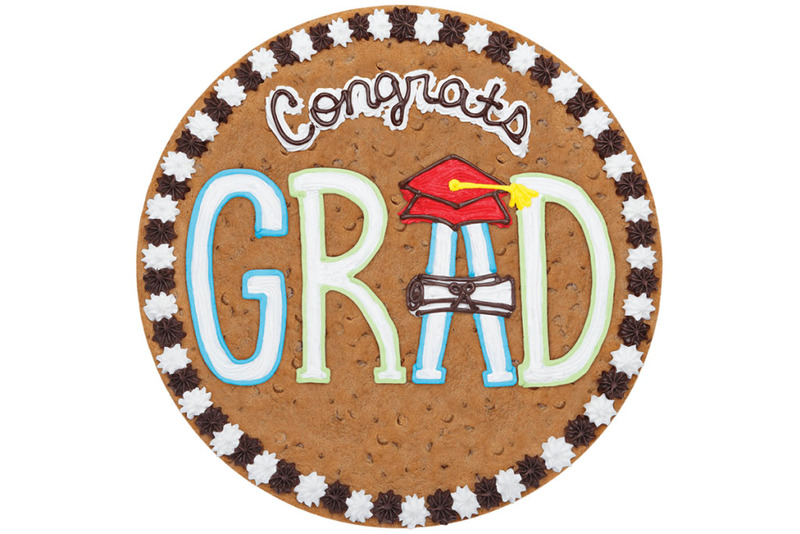 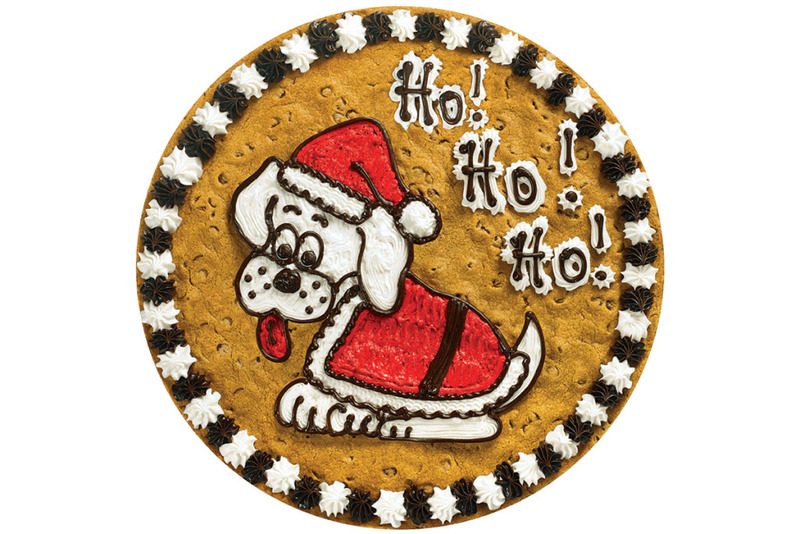 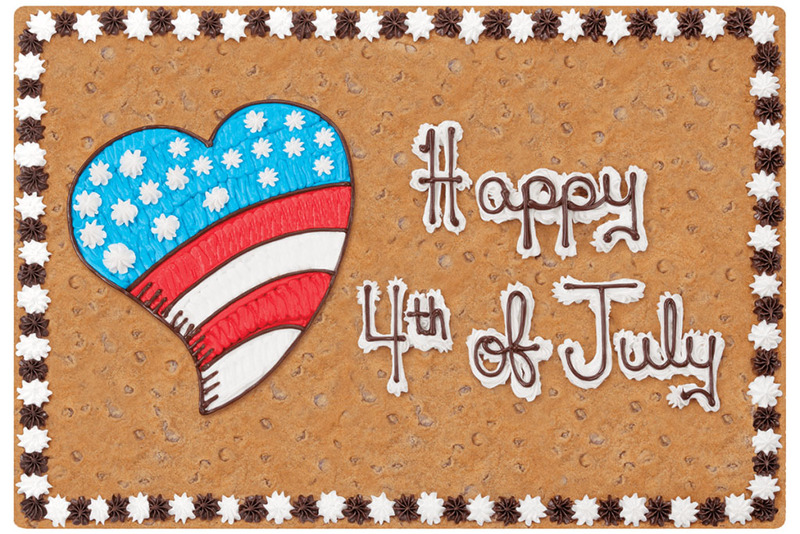 Check out our website www.greatamericancookies.com to view additional designs and color options in each category. 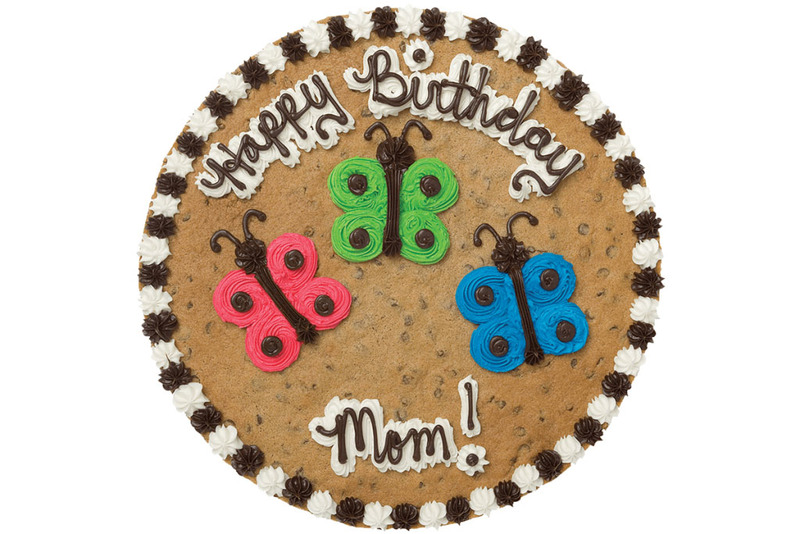 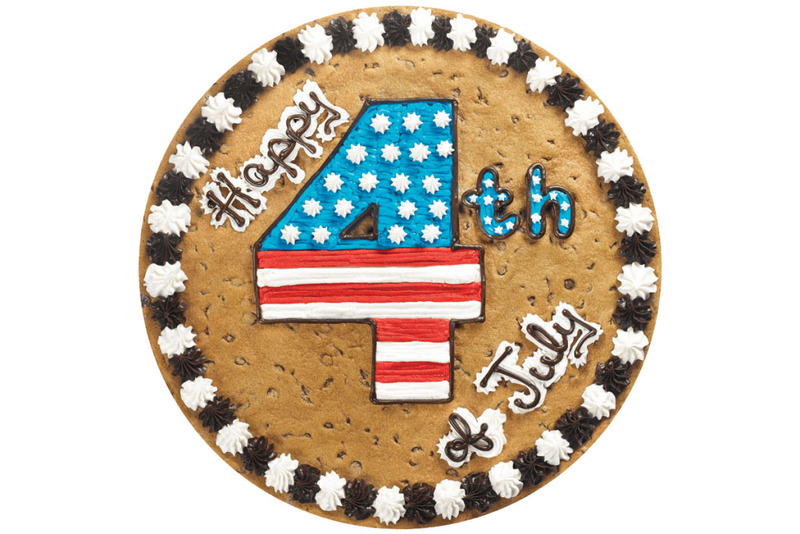 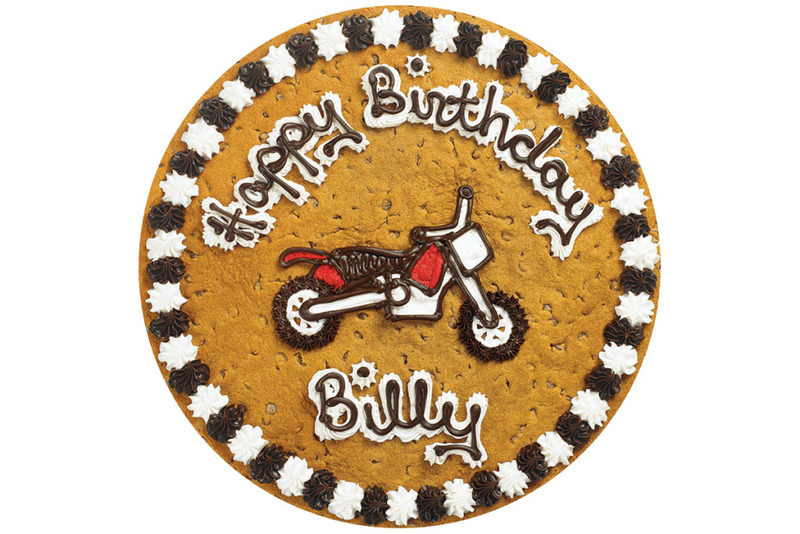 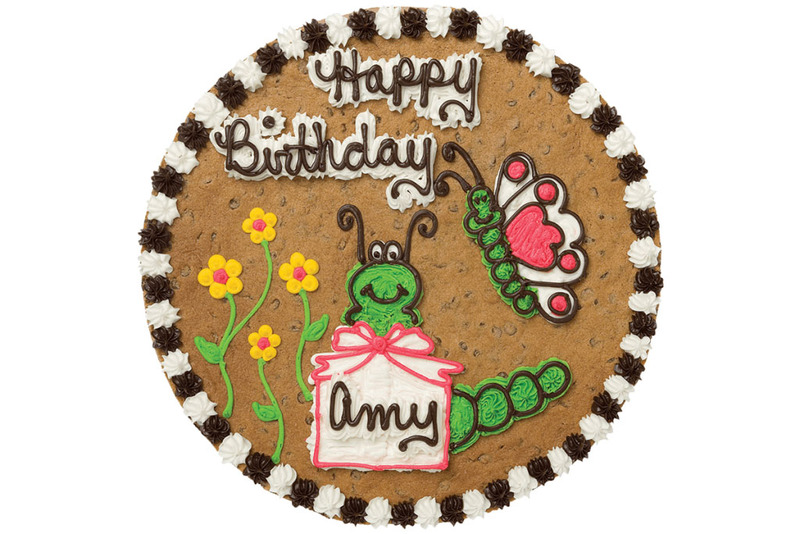 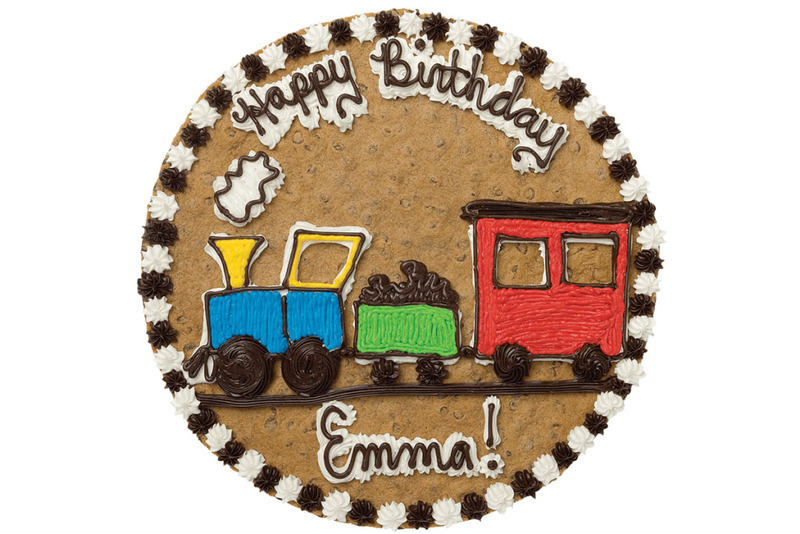 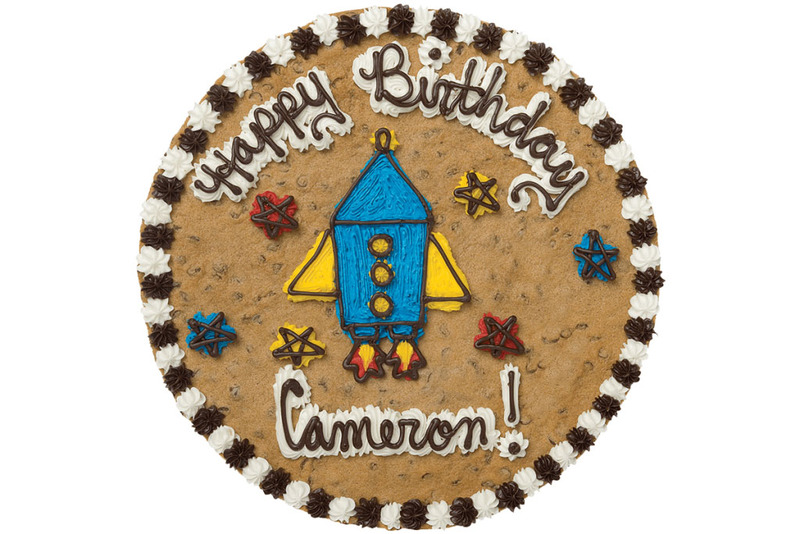 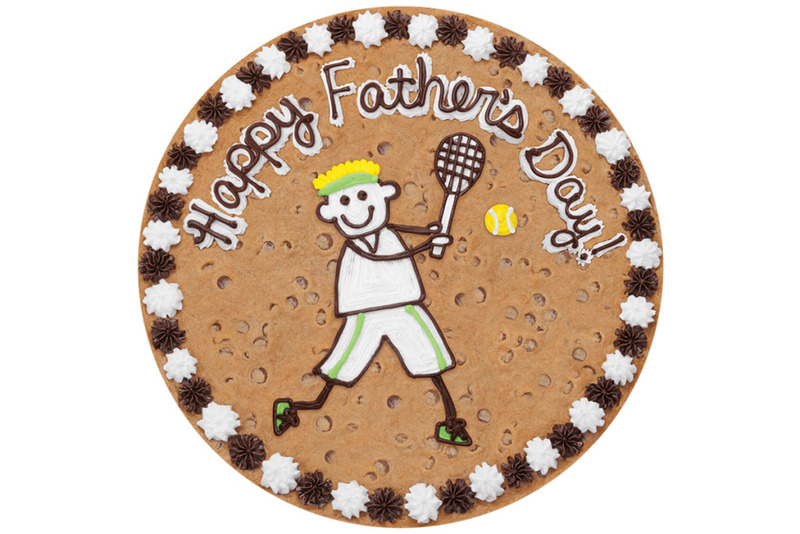 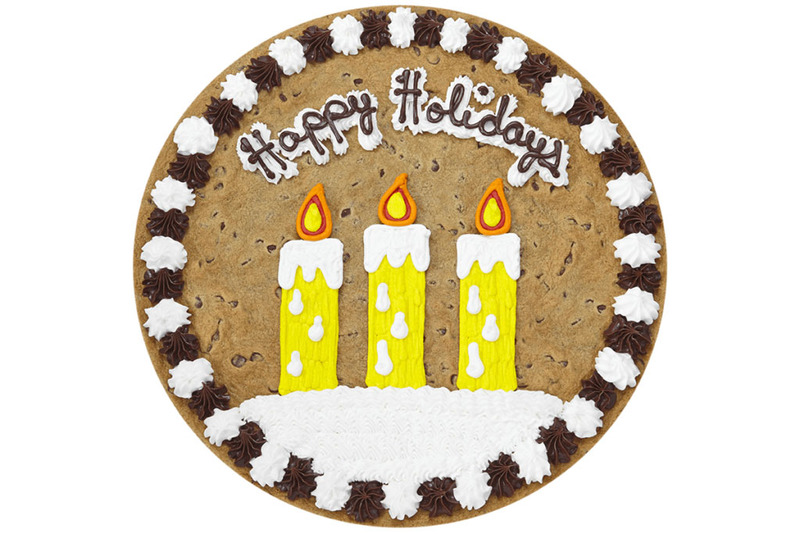 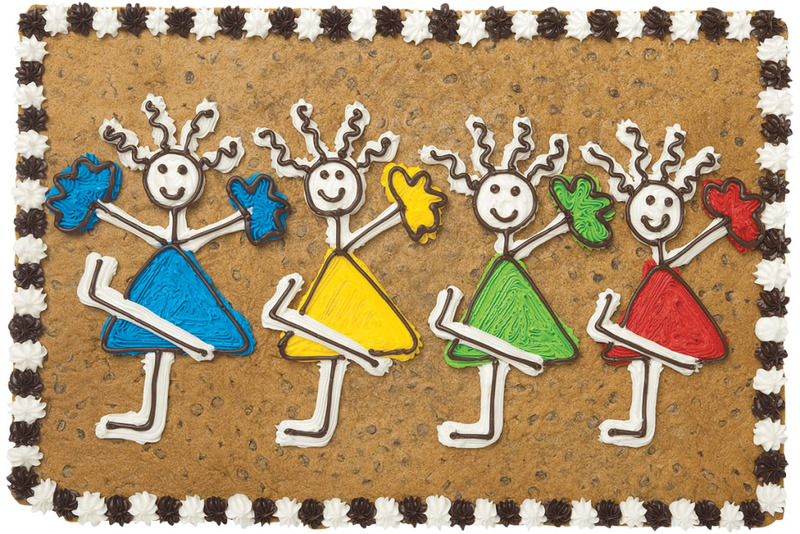 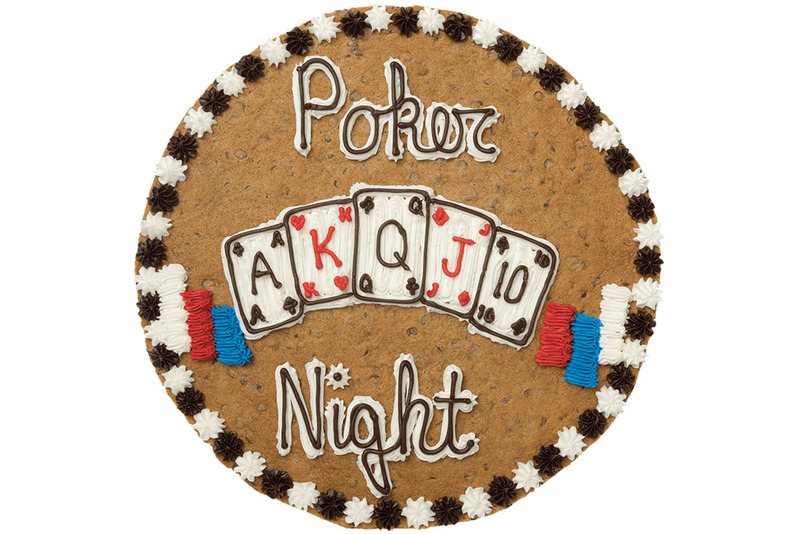 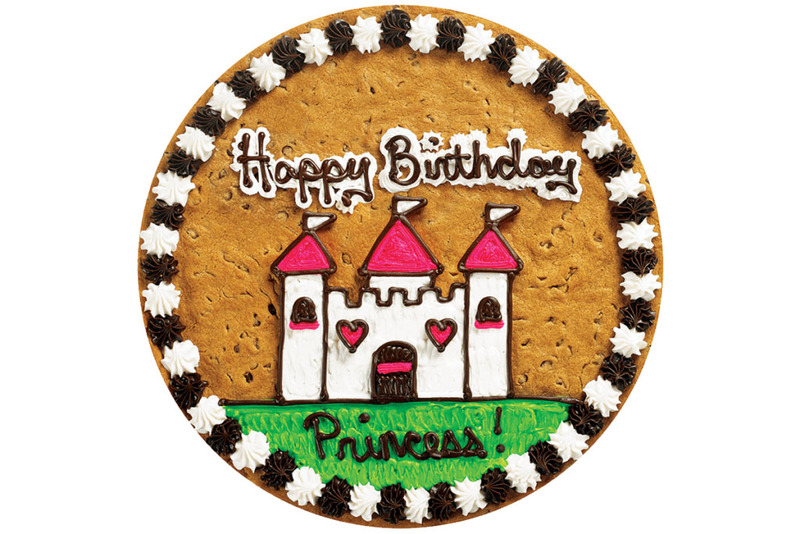 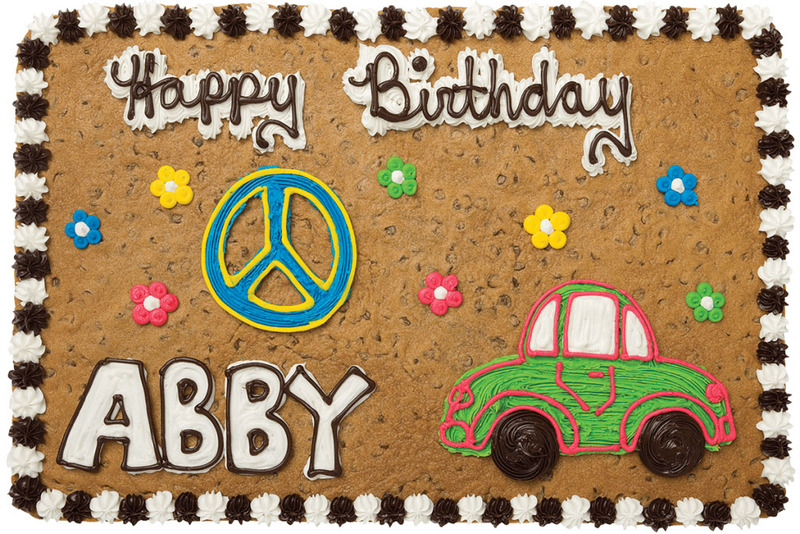 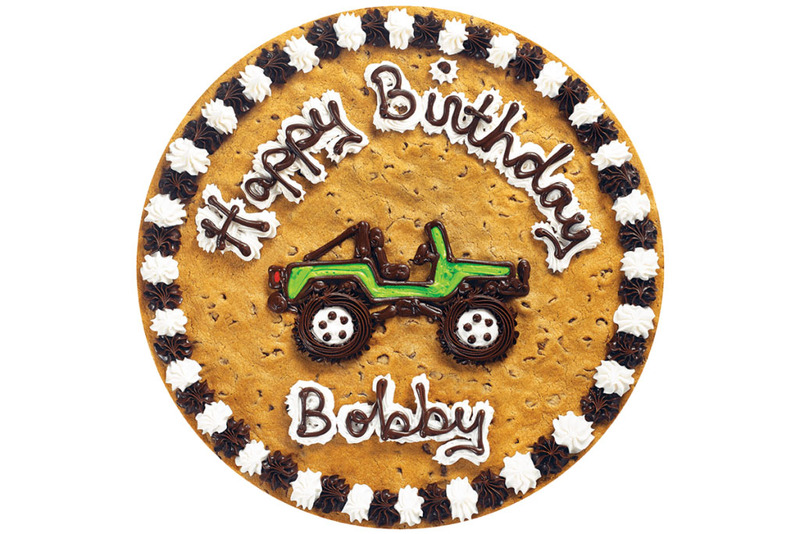 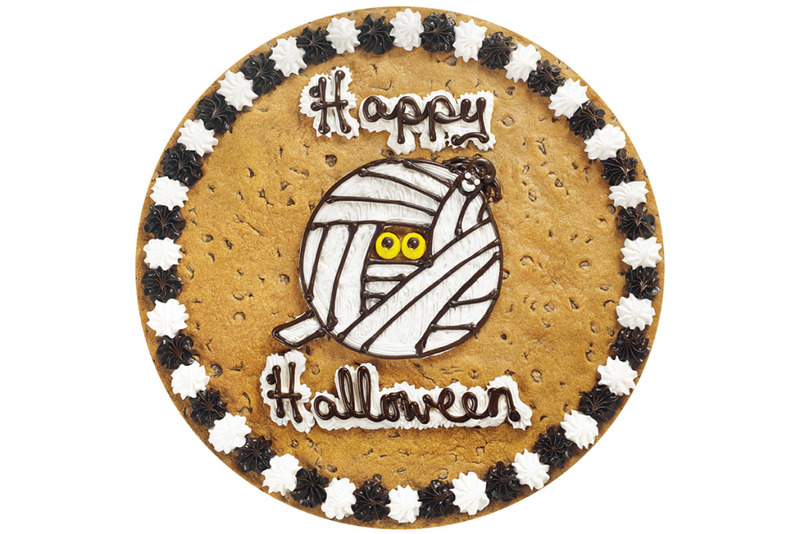 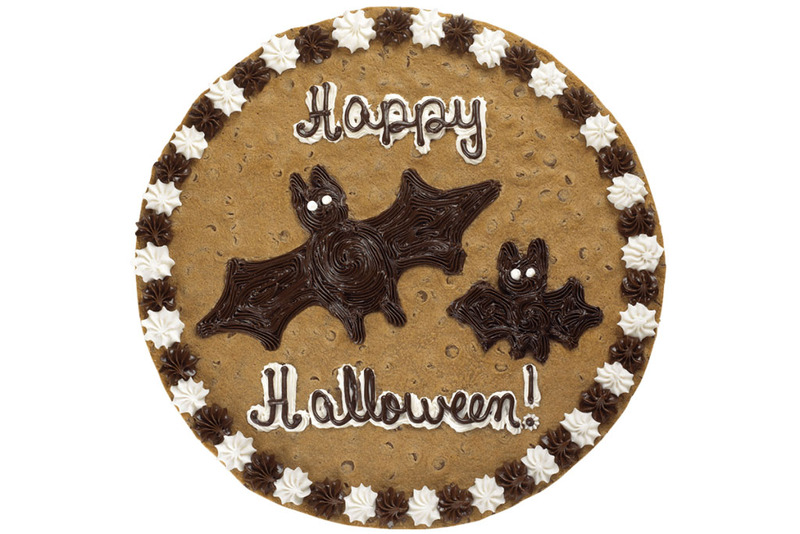 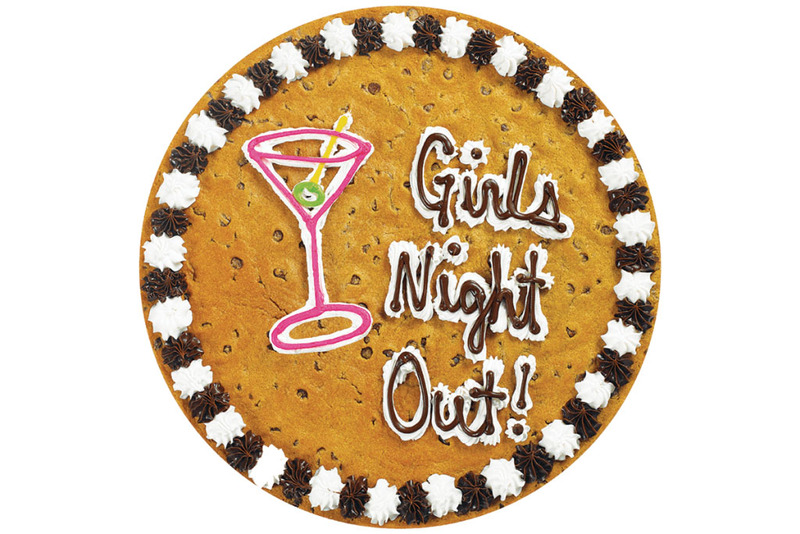 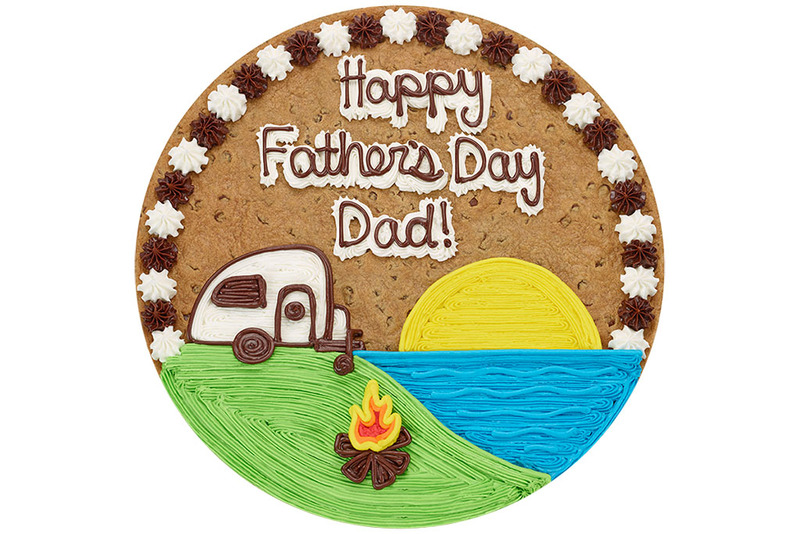 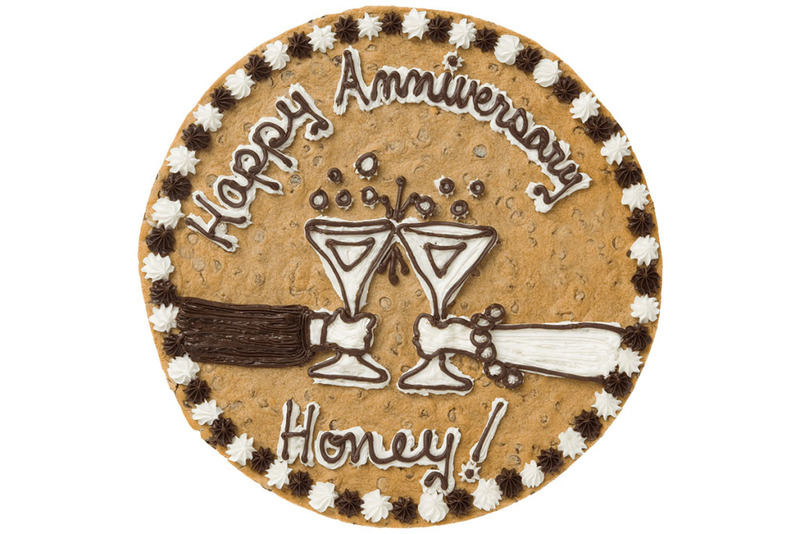 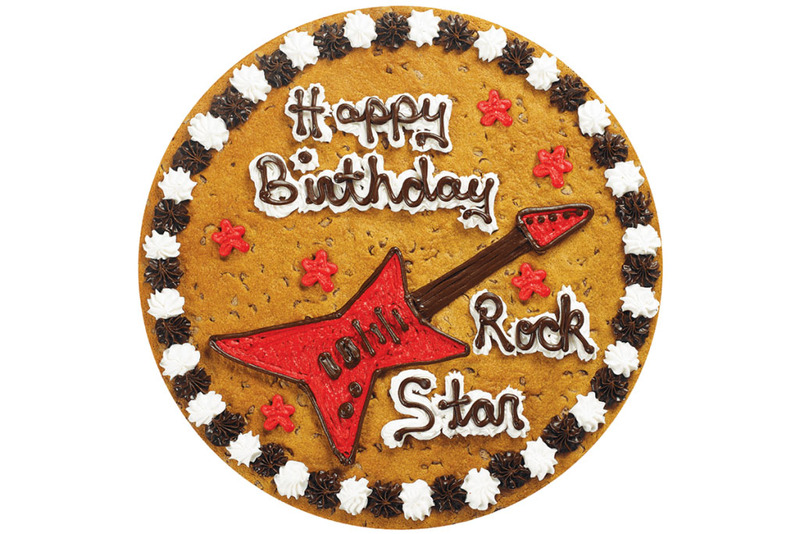 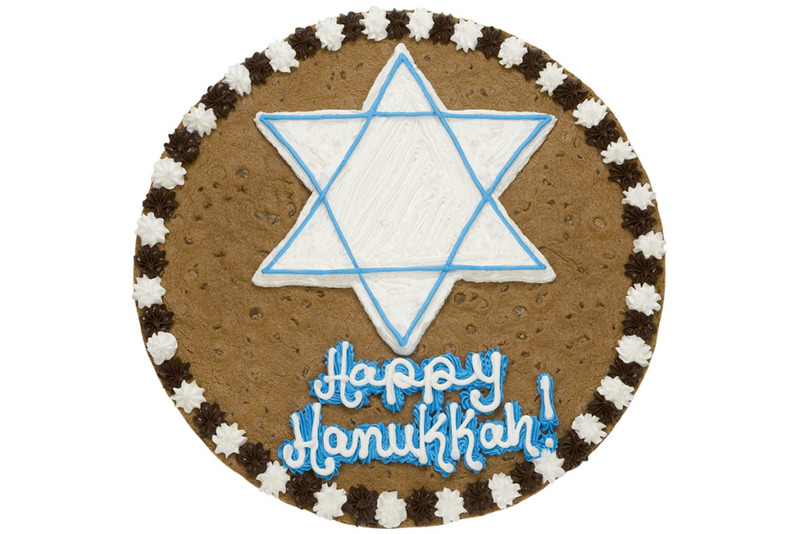 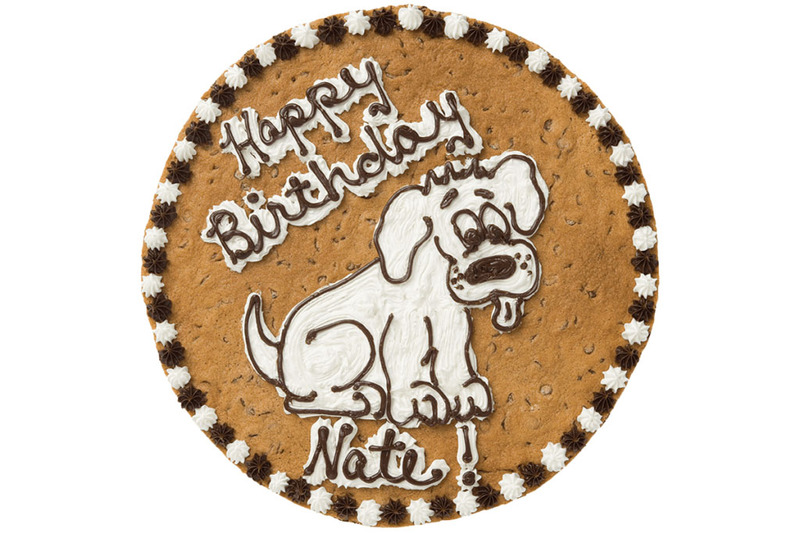 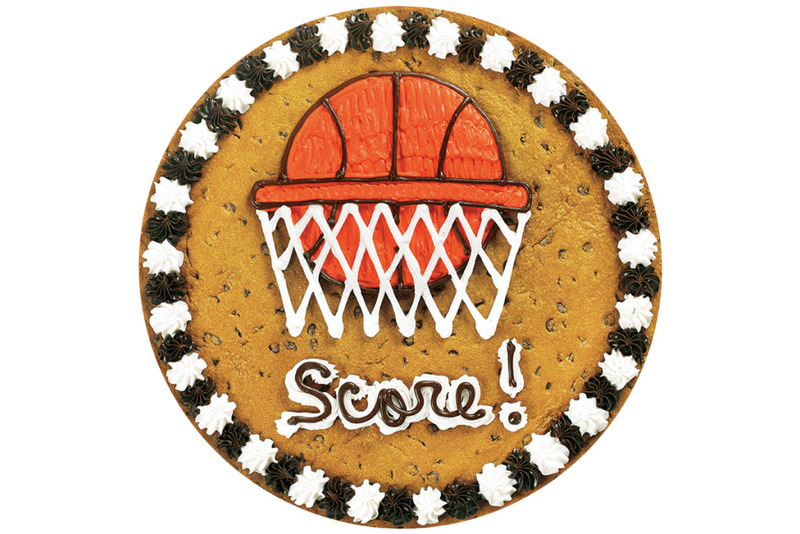 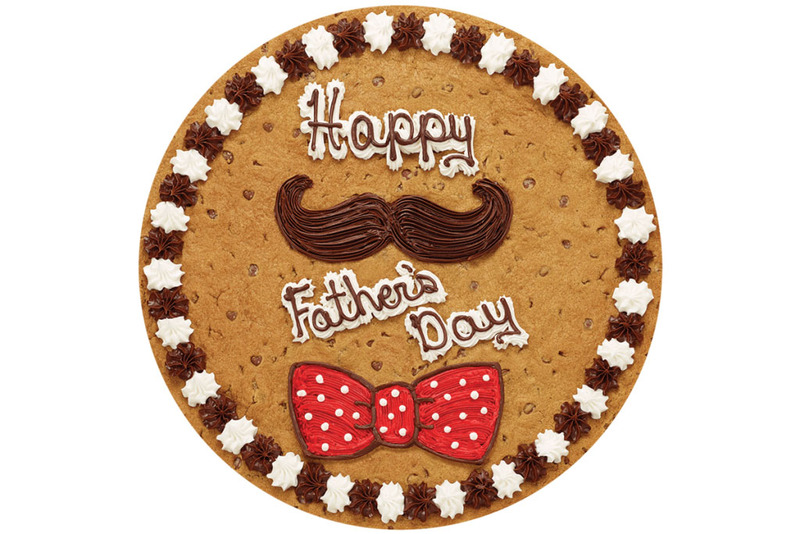 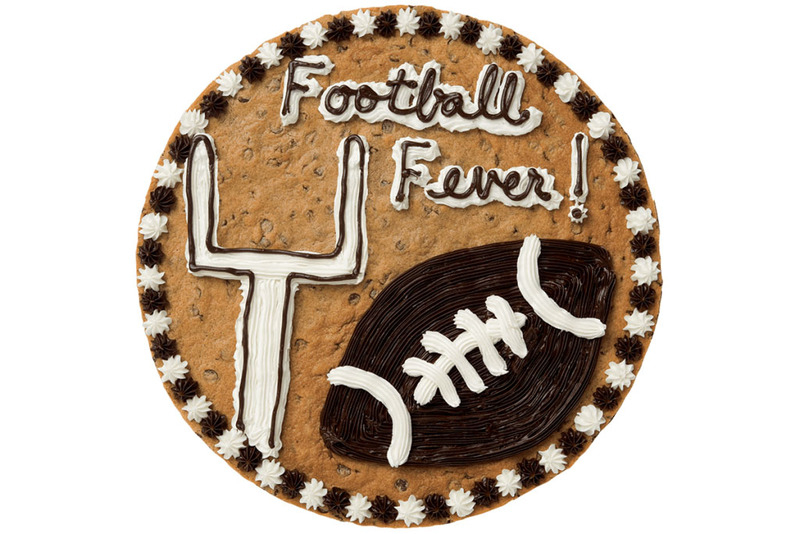 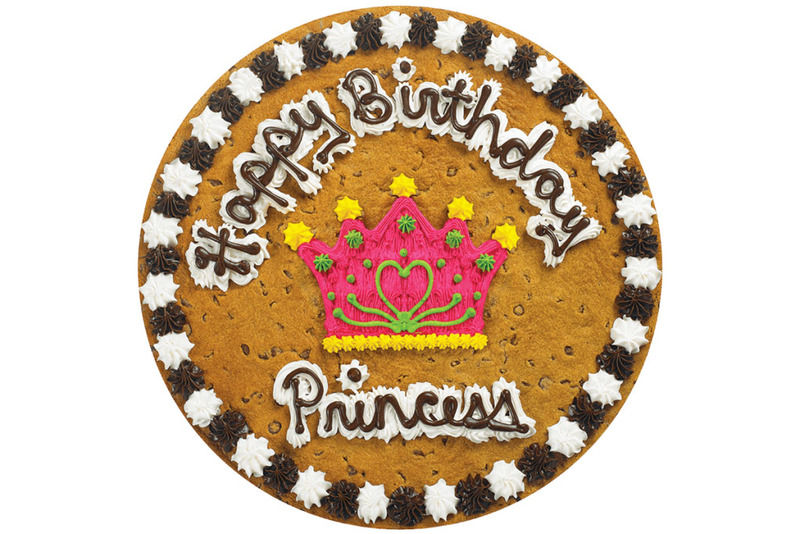 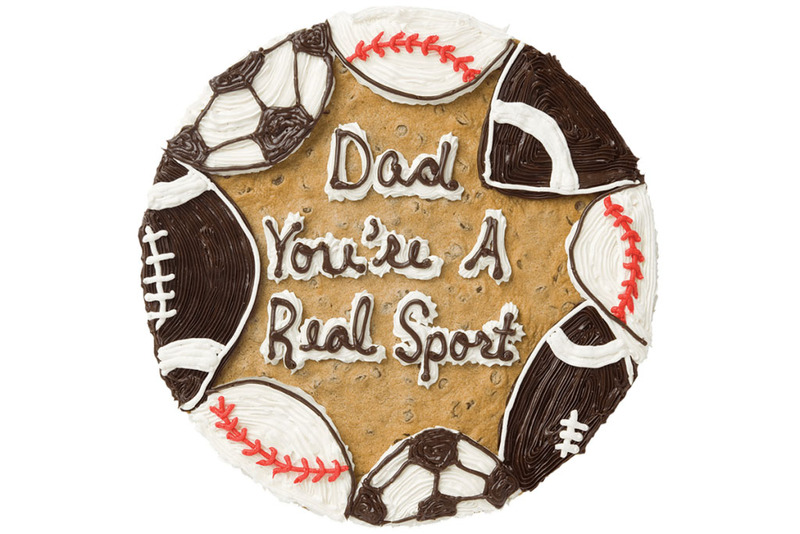 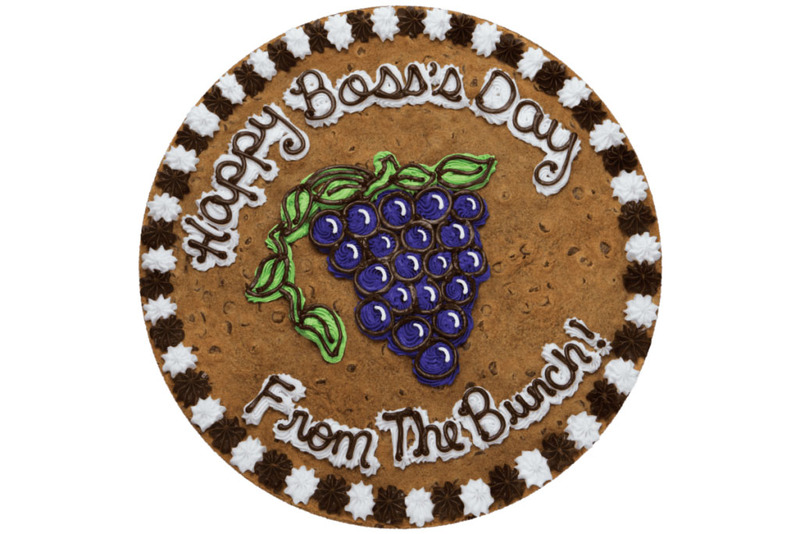 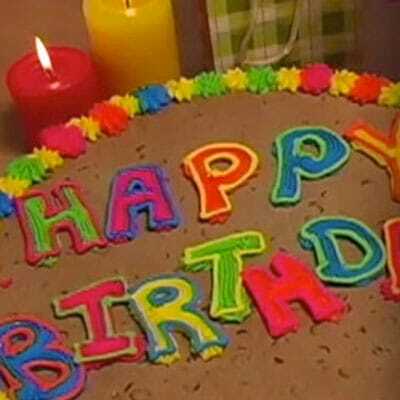 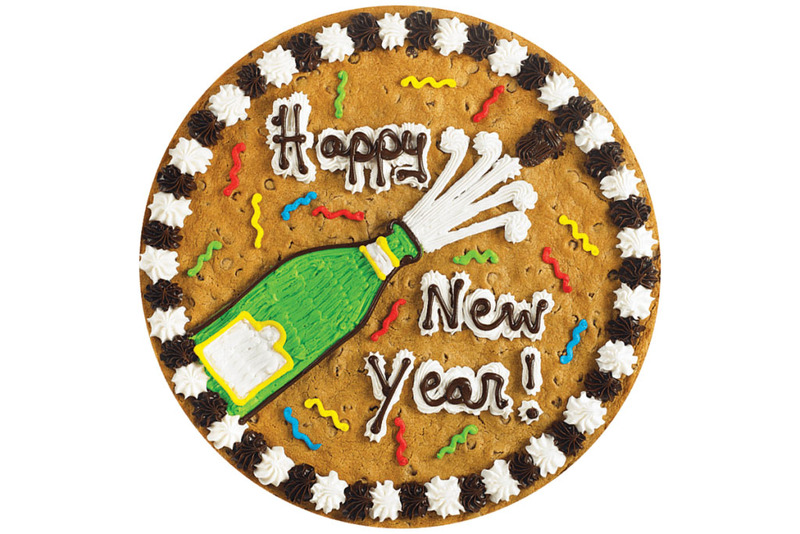 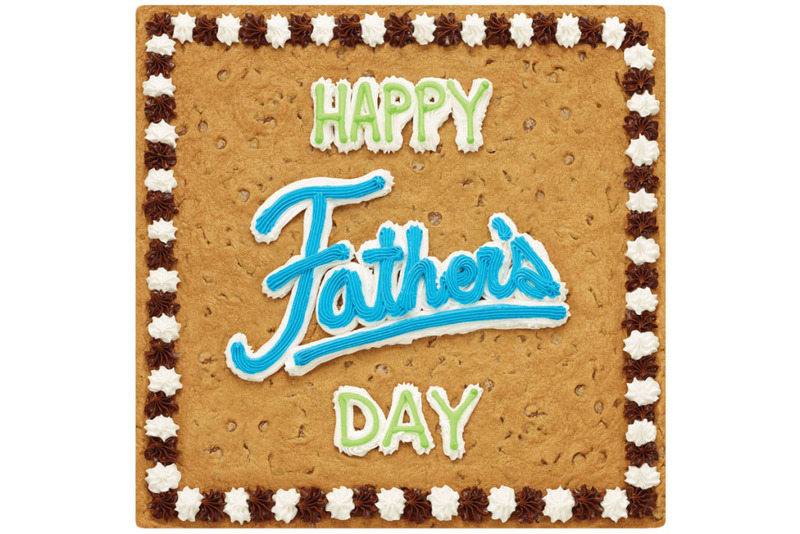 Whether yours is a big bash, a small celebration or something in-between, we’ve got a Cookie Cake to match. 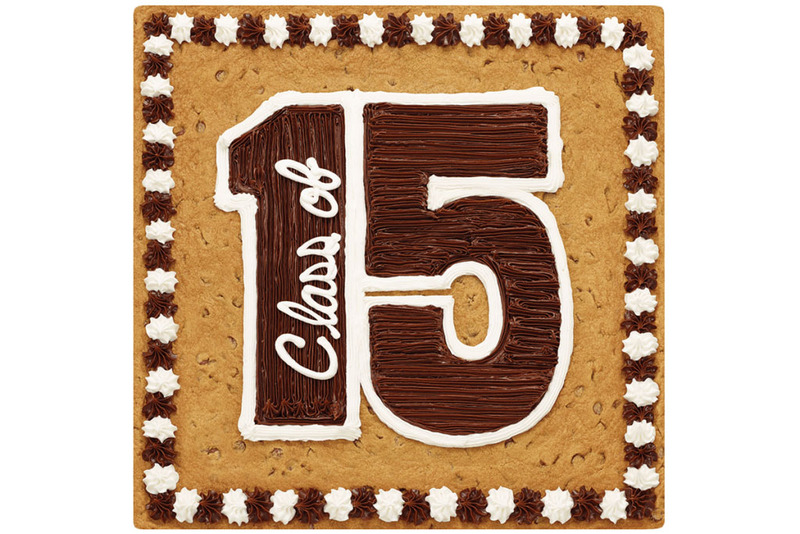 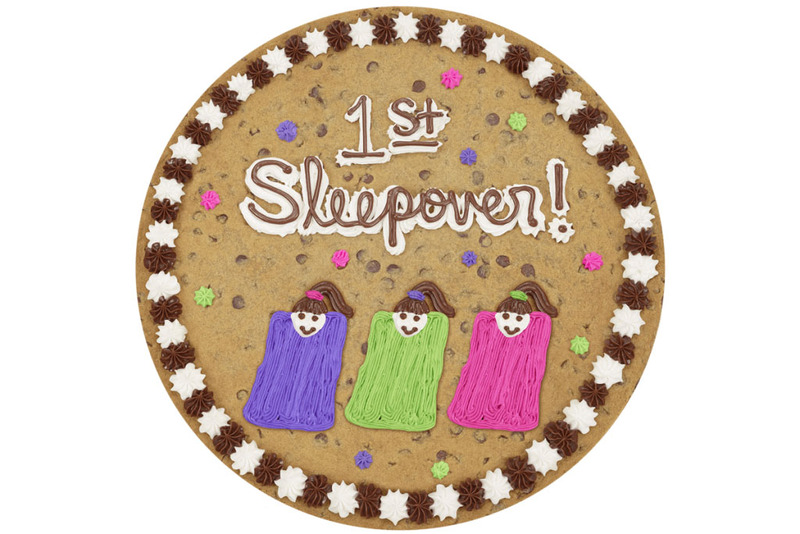 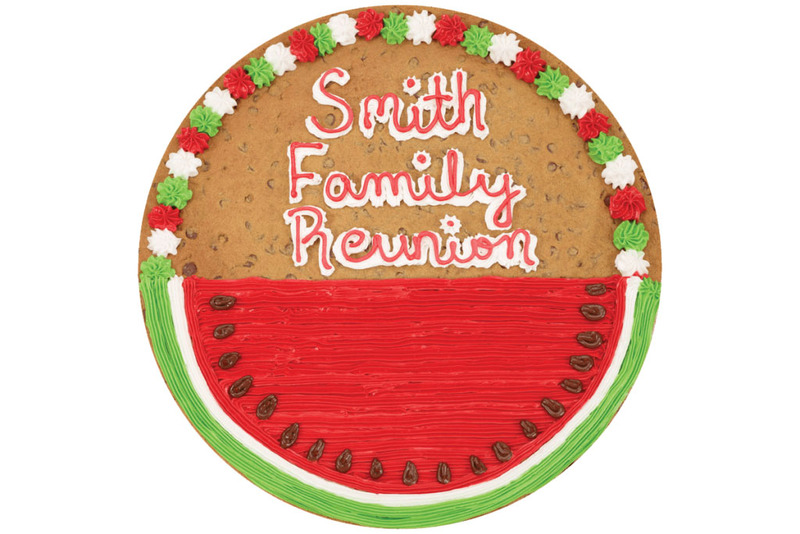 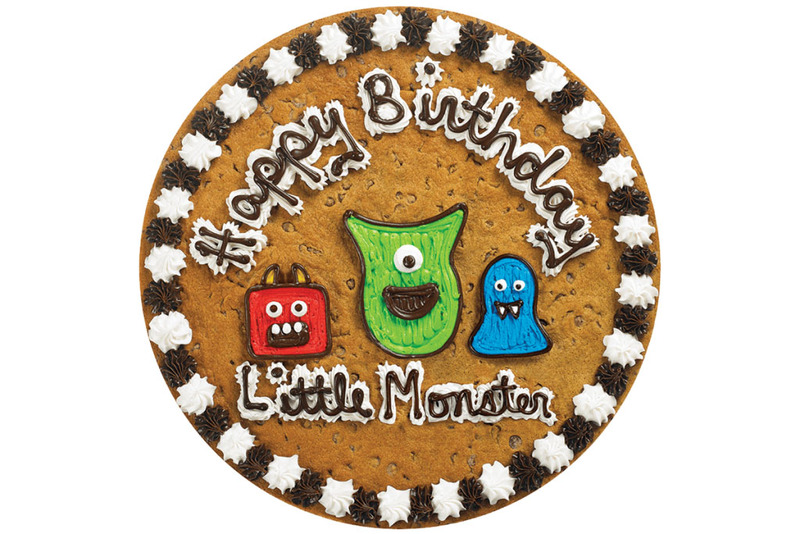 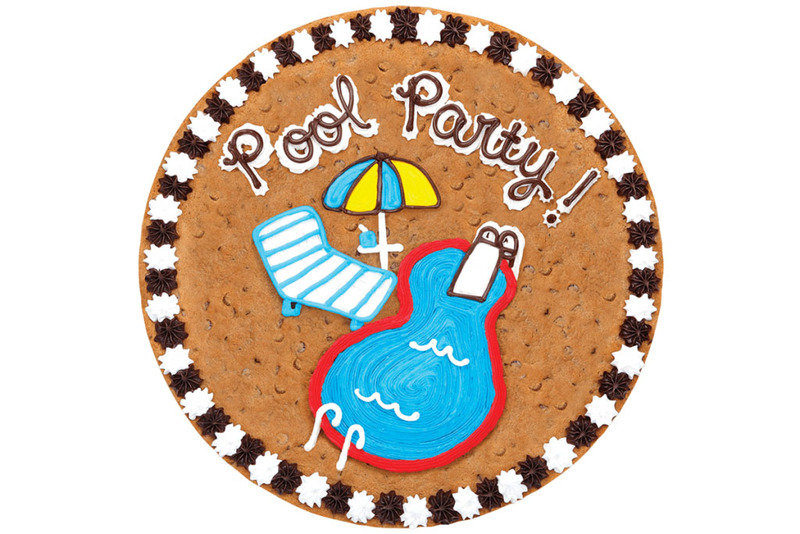 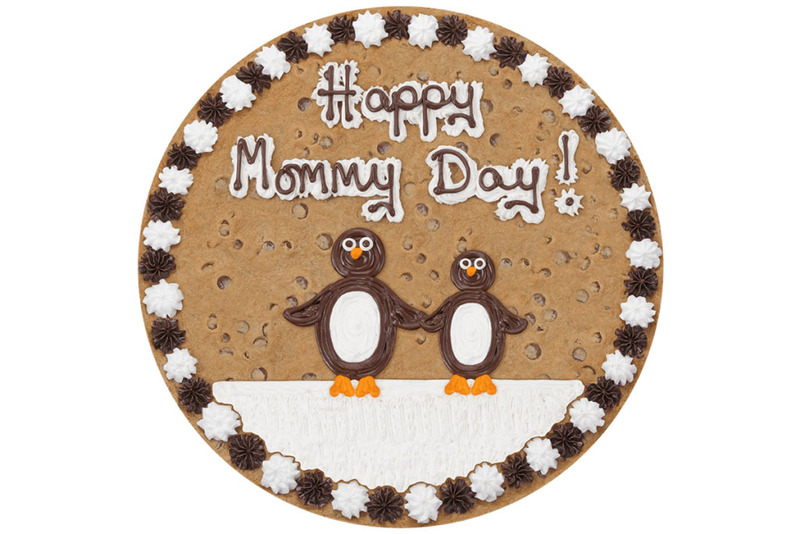 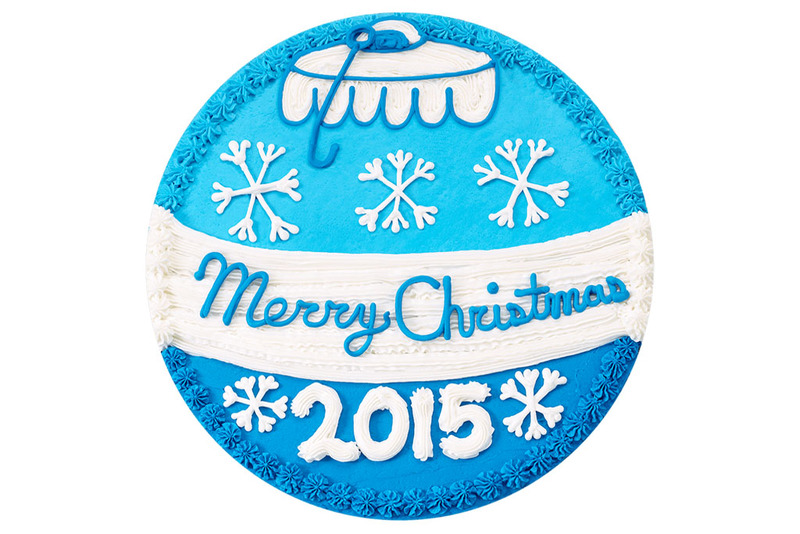 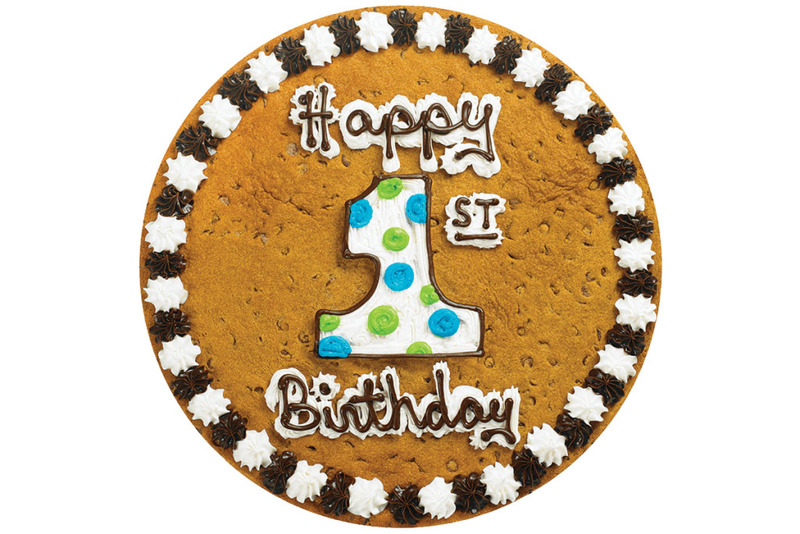 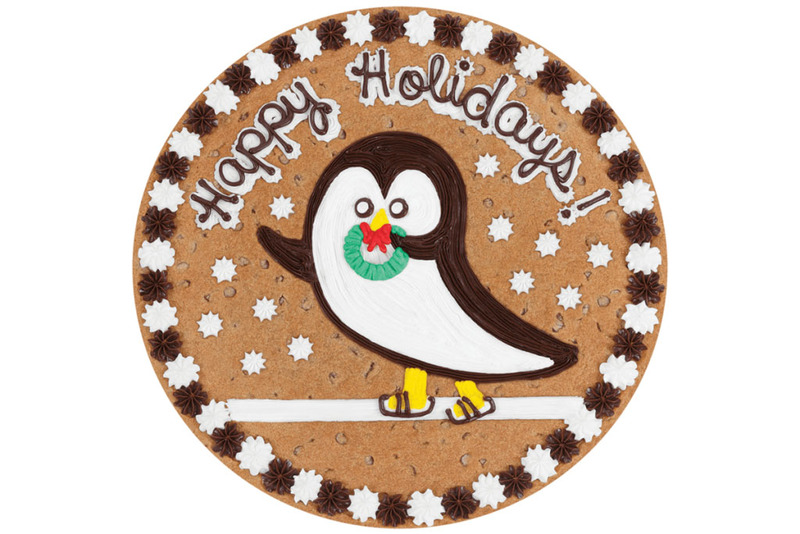 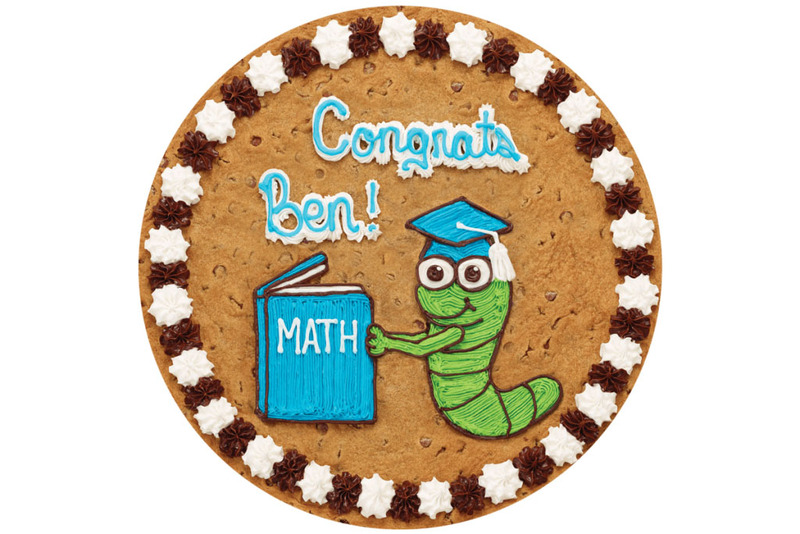 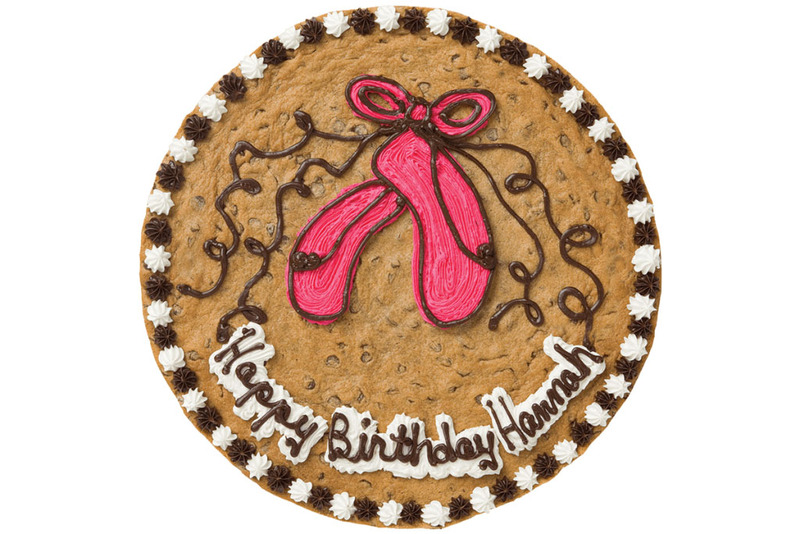 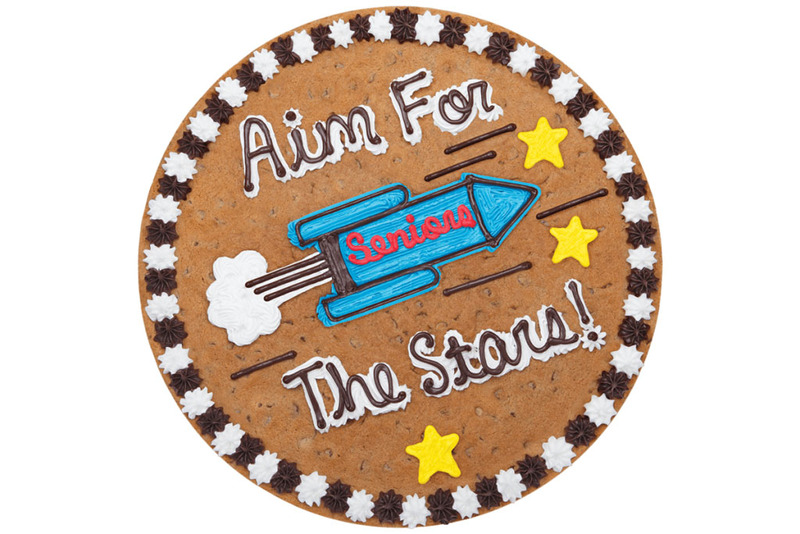 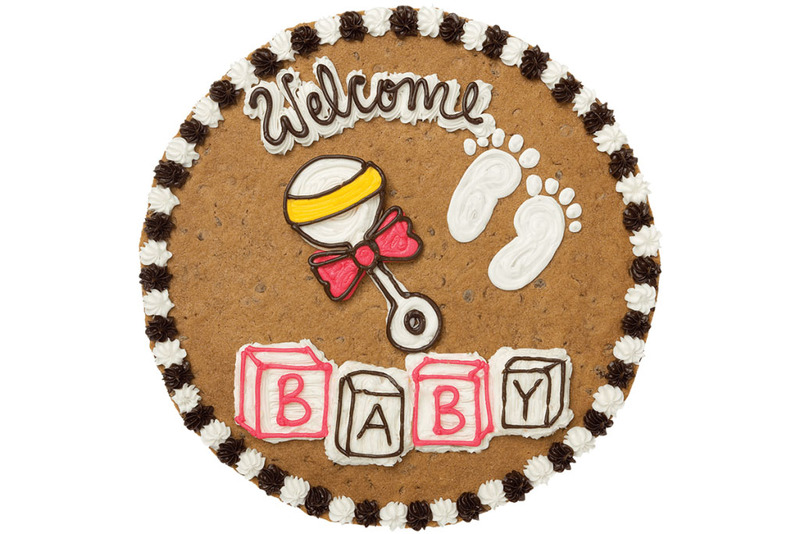 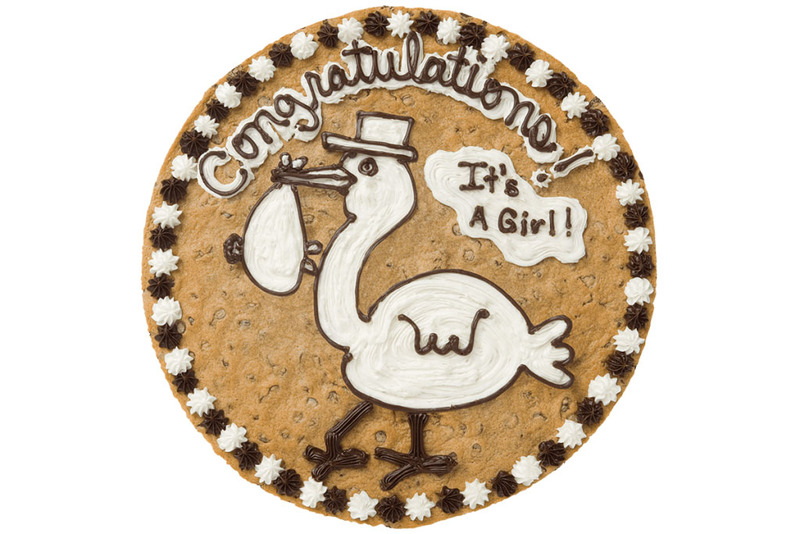 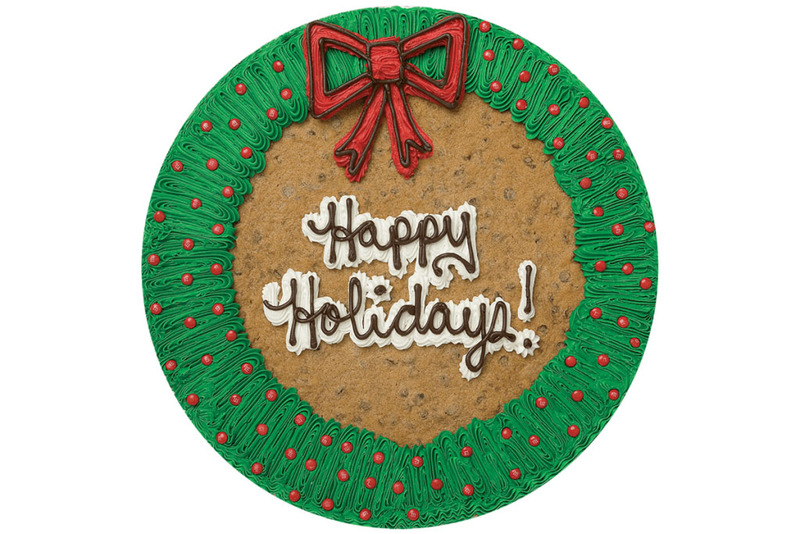 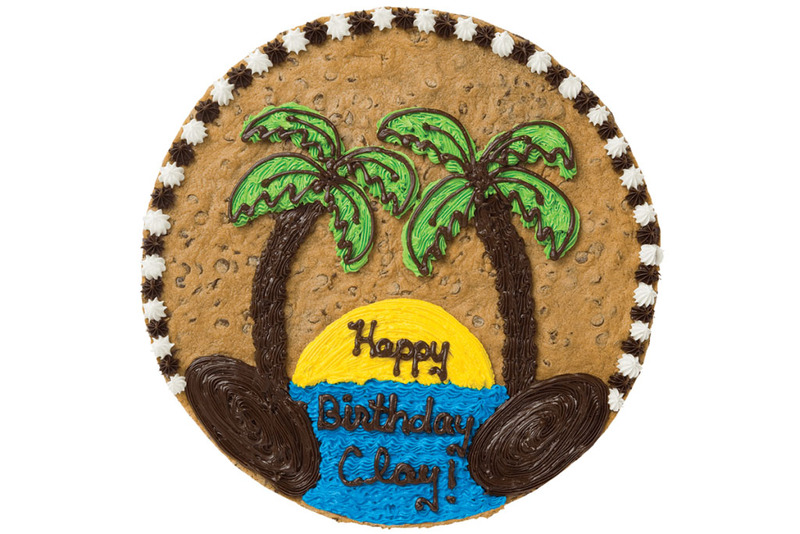 The 12" Cookie Cake serves 8 with ease, while the 16" is perfect for parties up to 16. 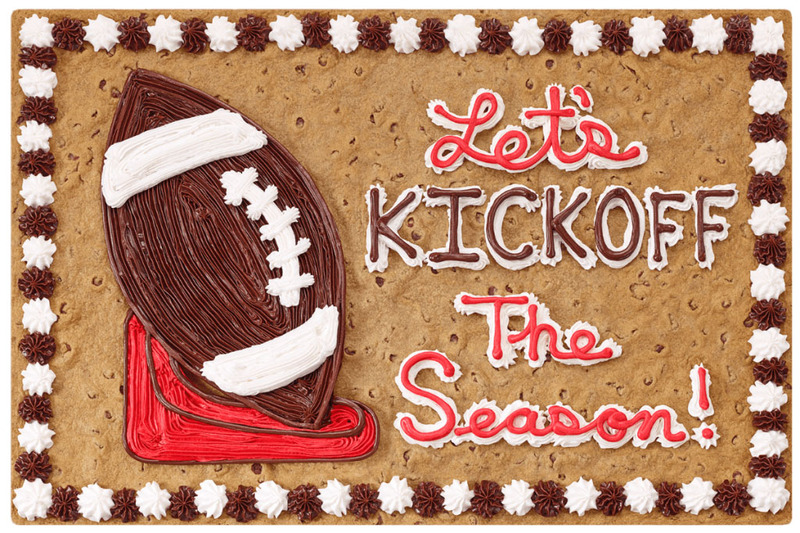 Expecting a real crowd? 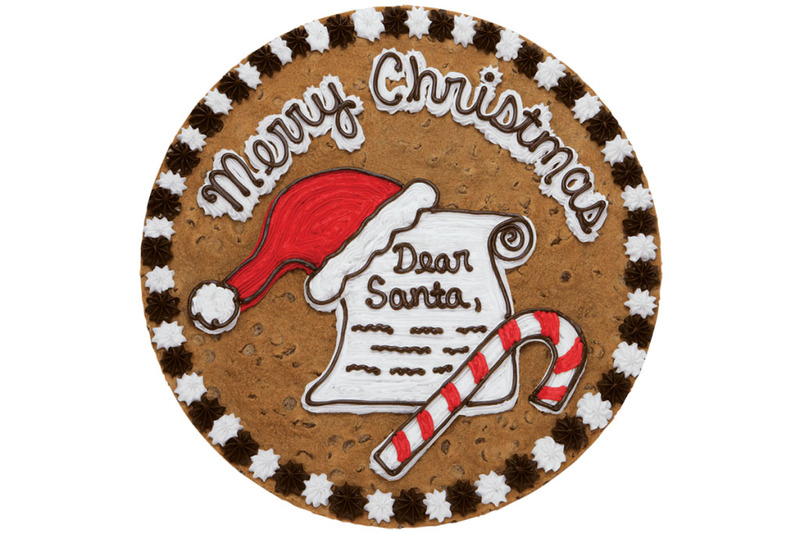 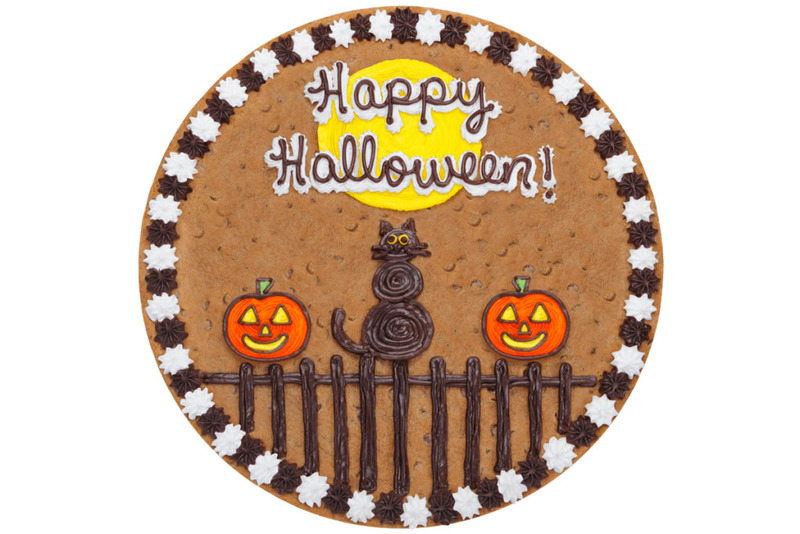 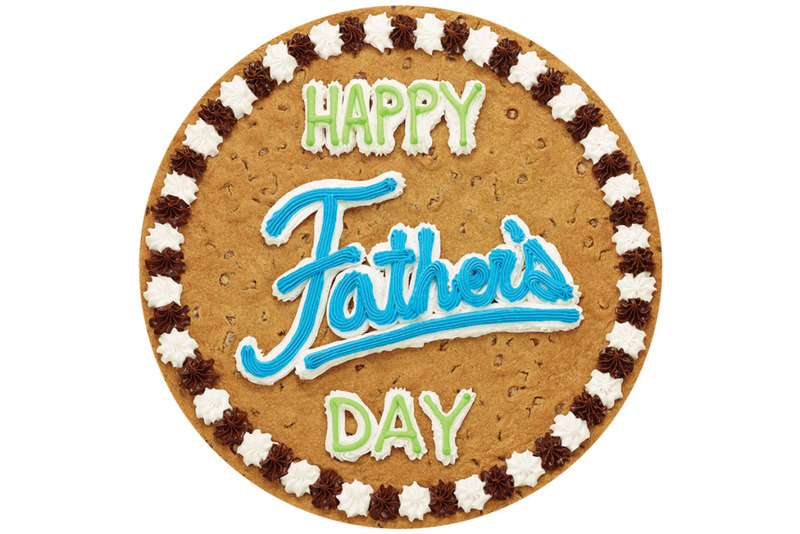 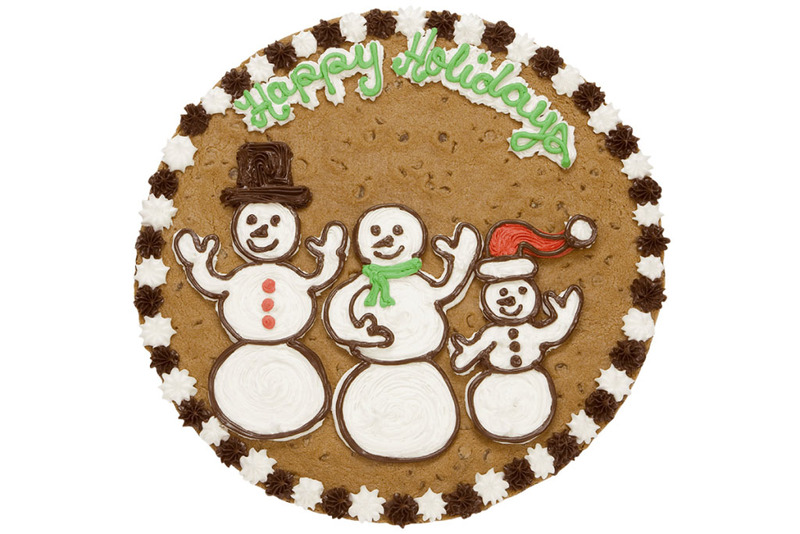 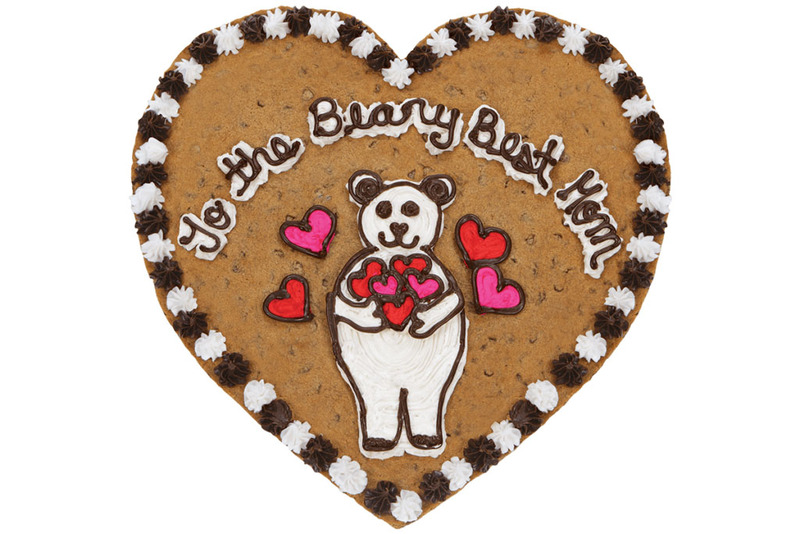 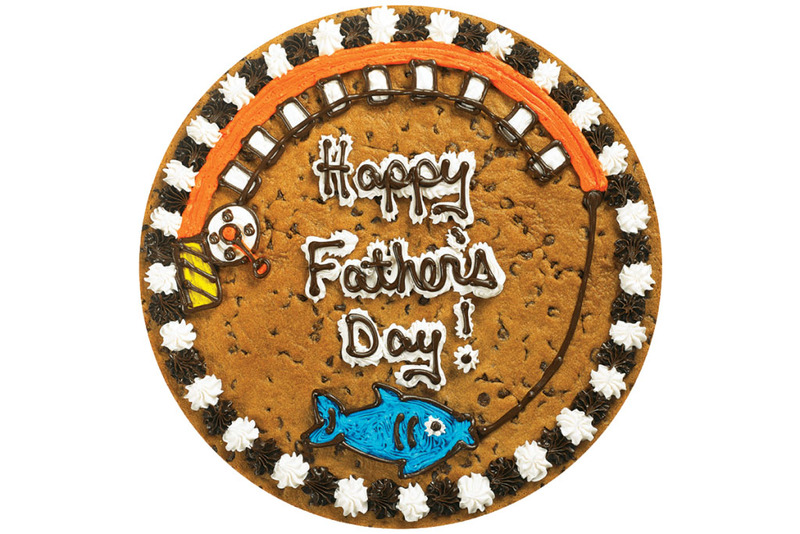 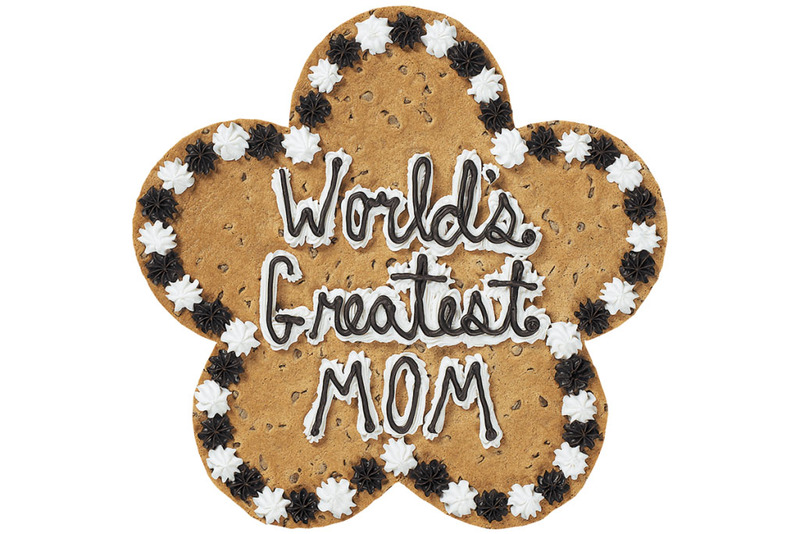 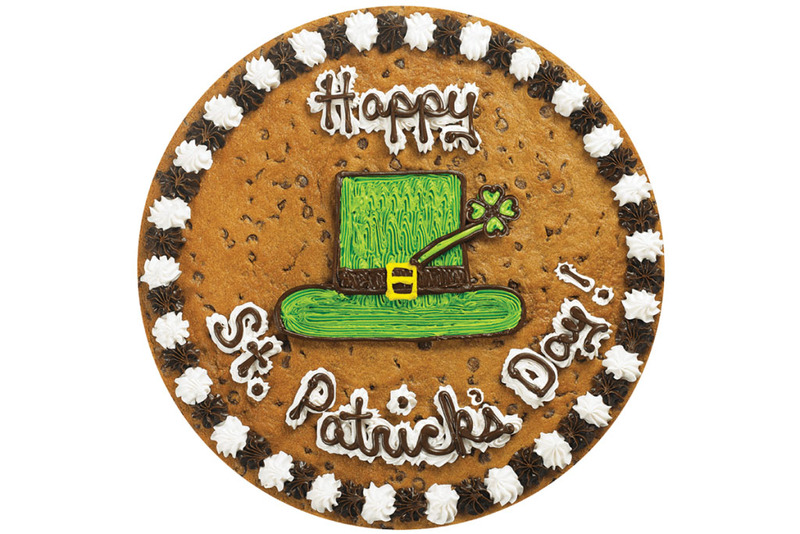 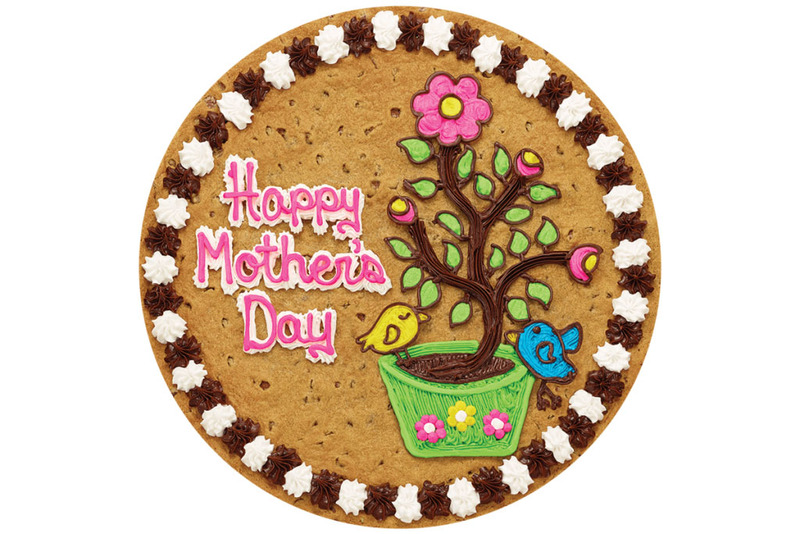 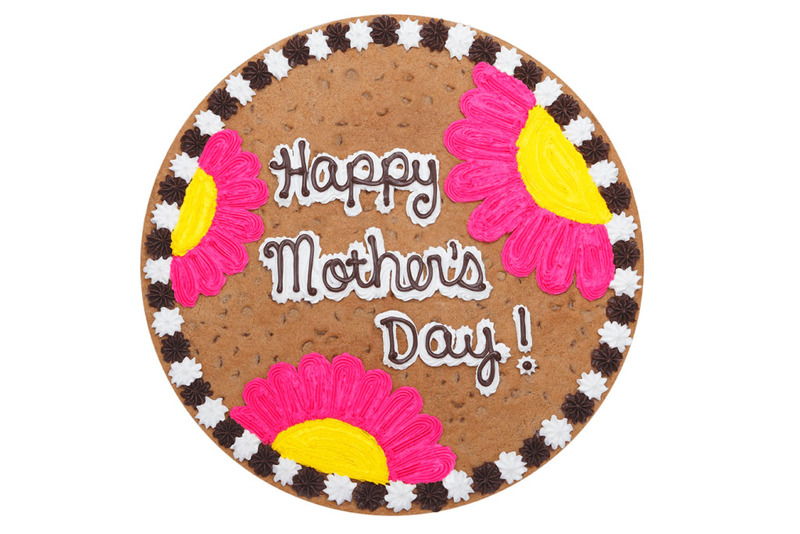 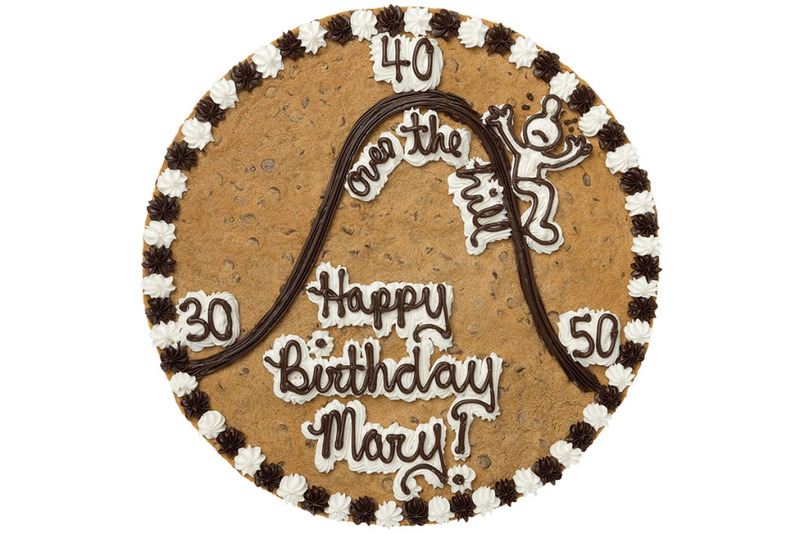 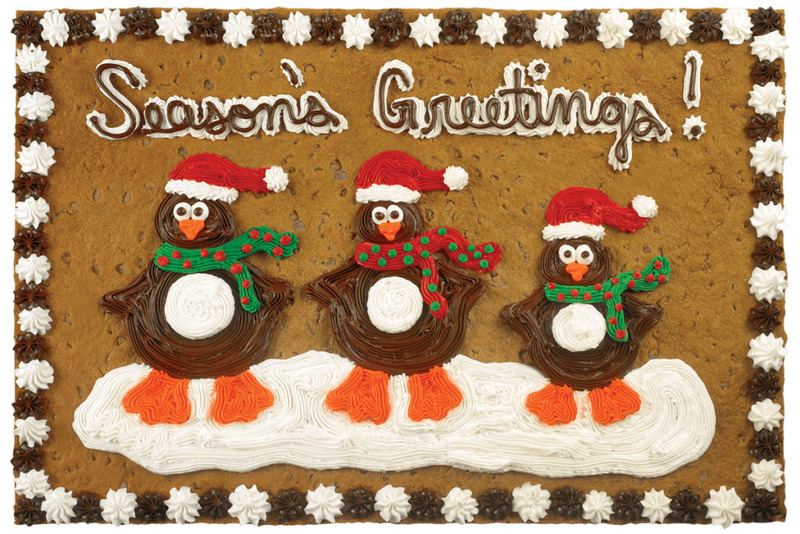 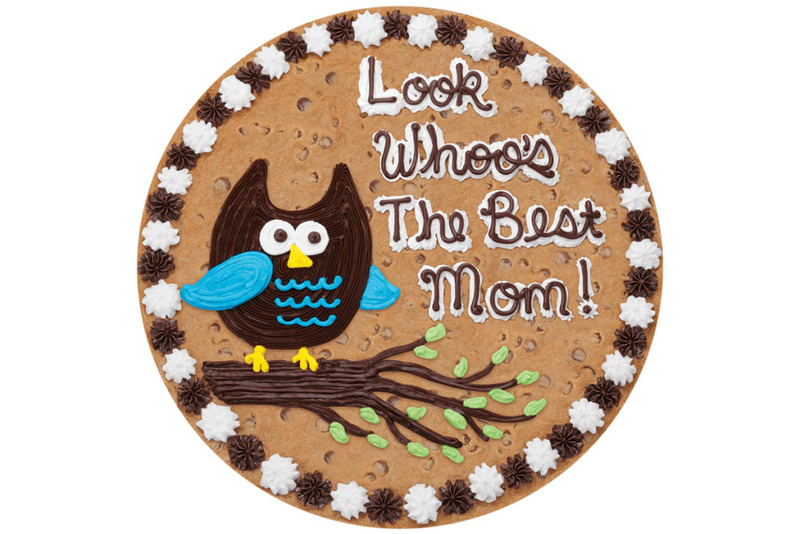 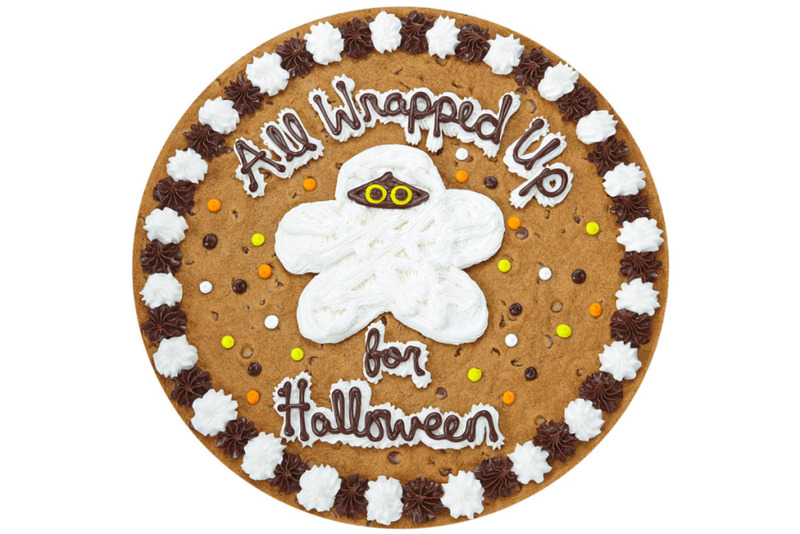 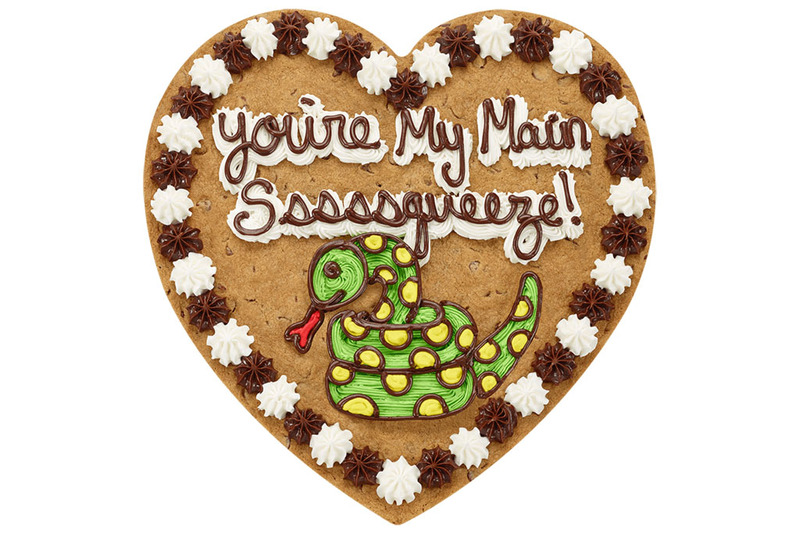 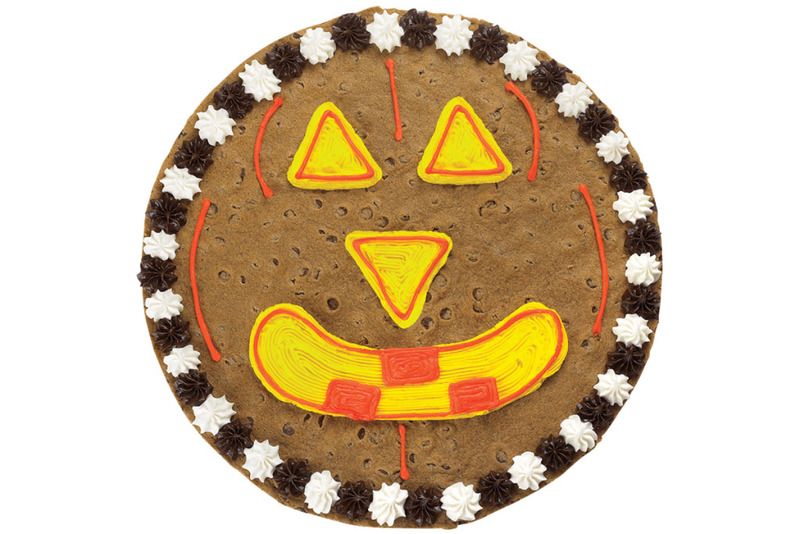 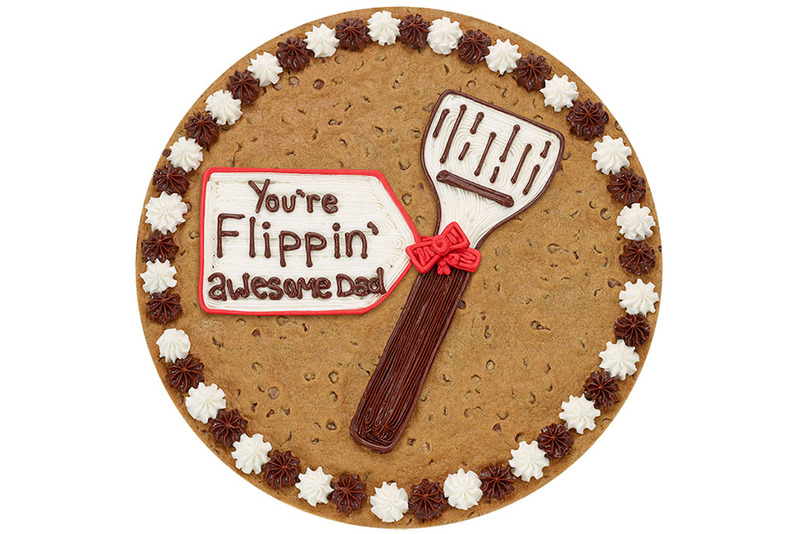 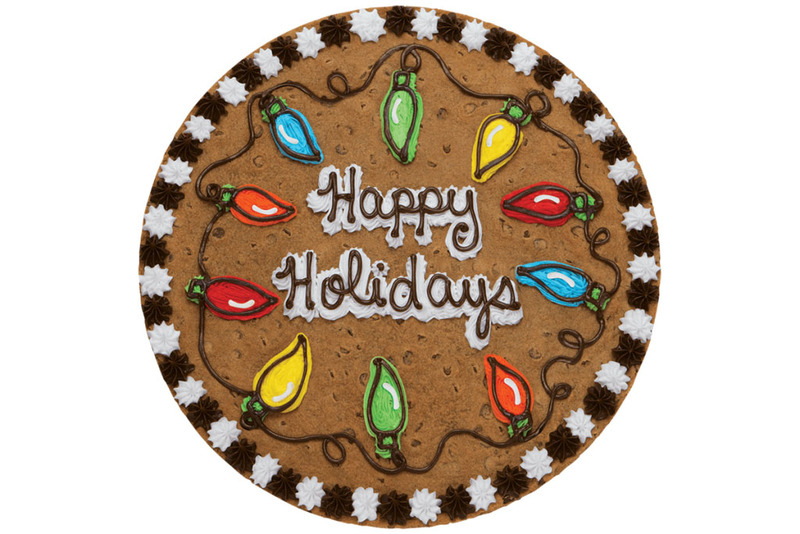 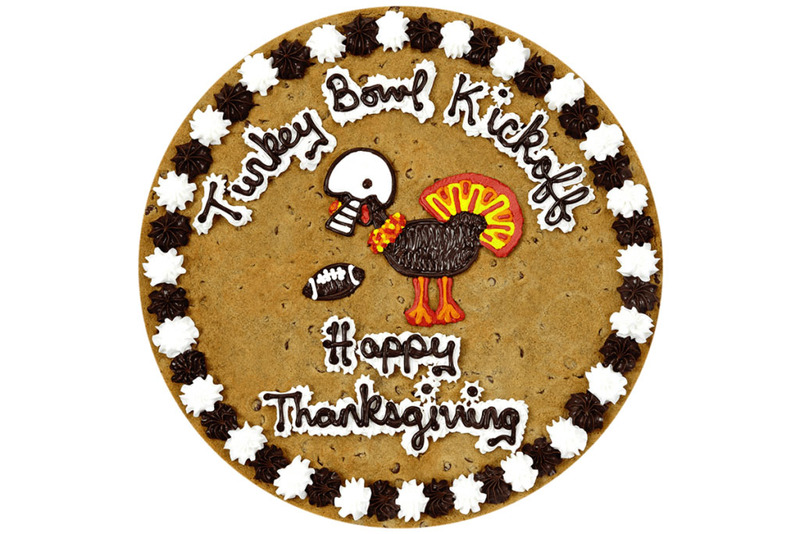 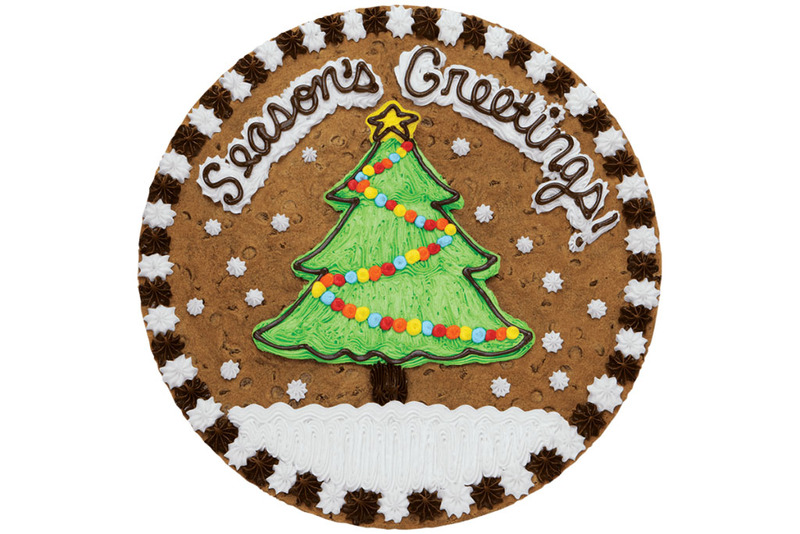 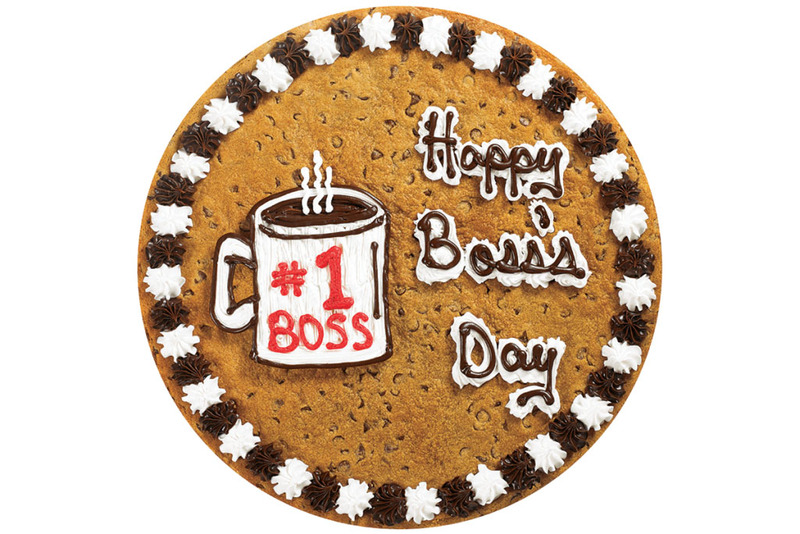 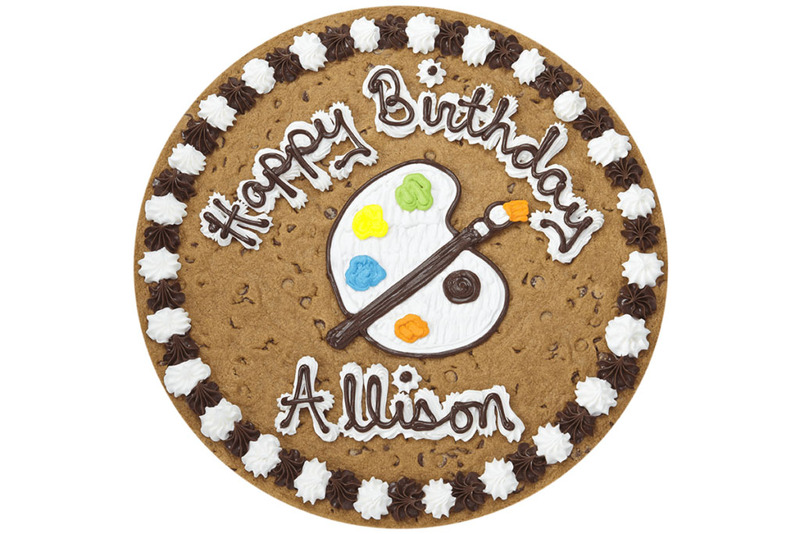 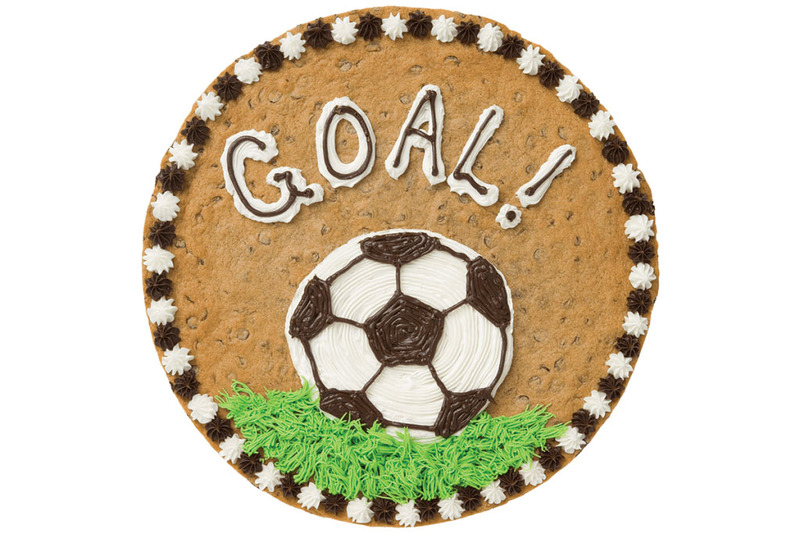 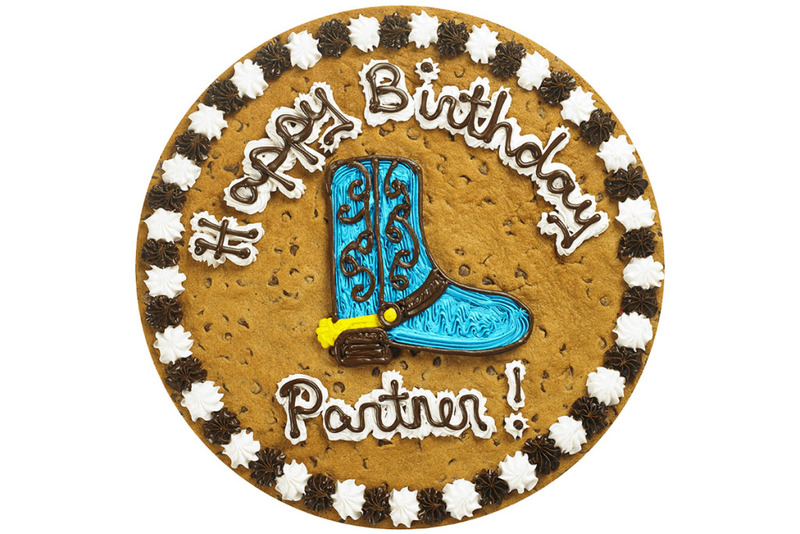 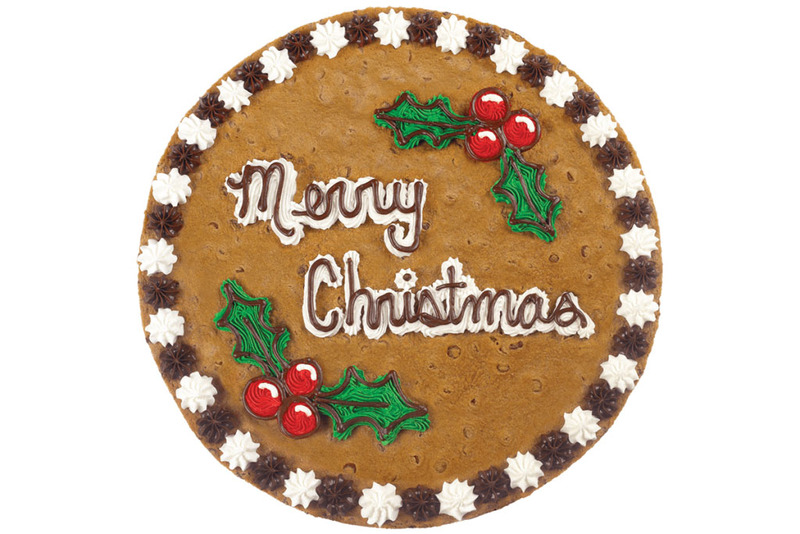 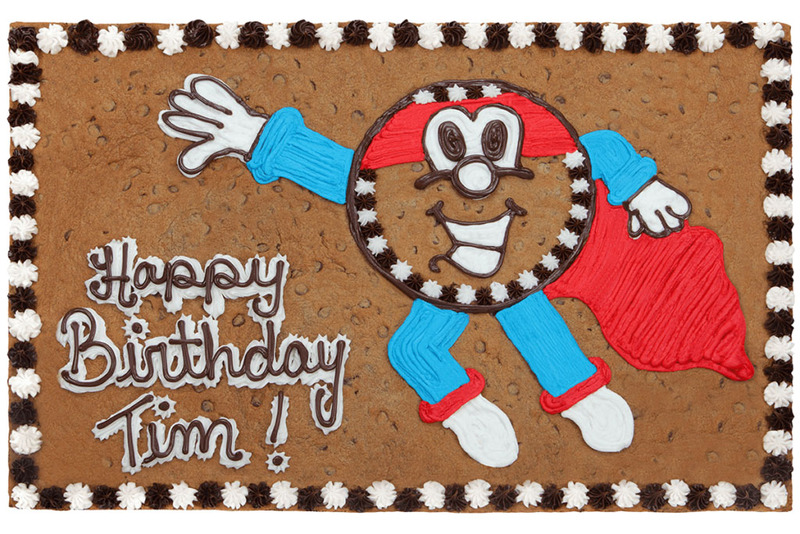 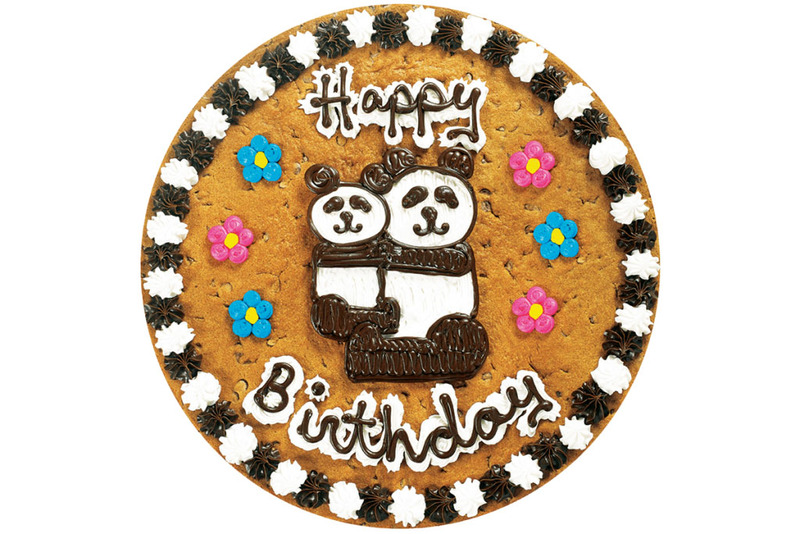 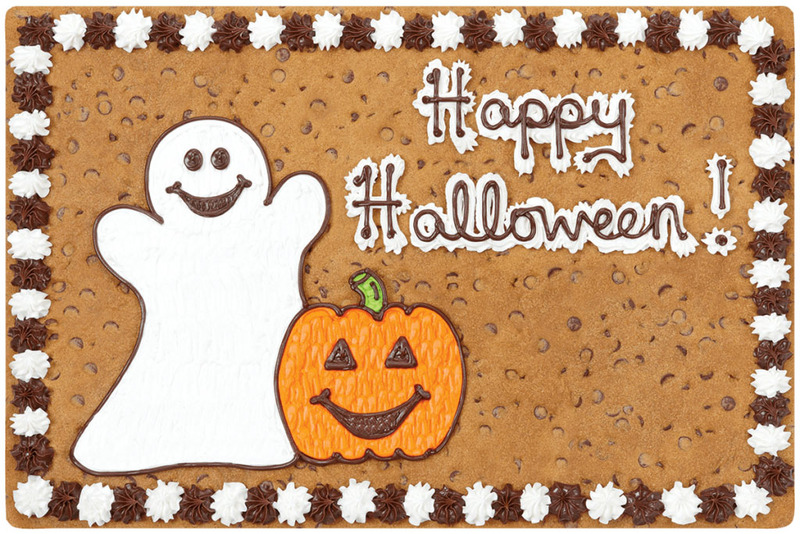 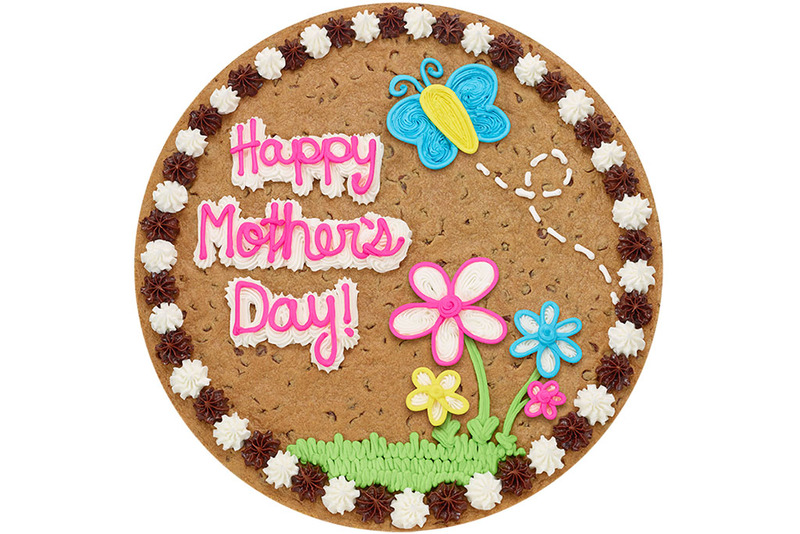 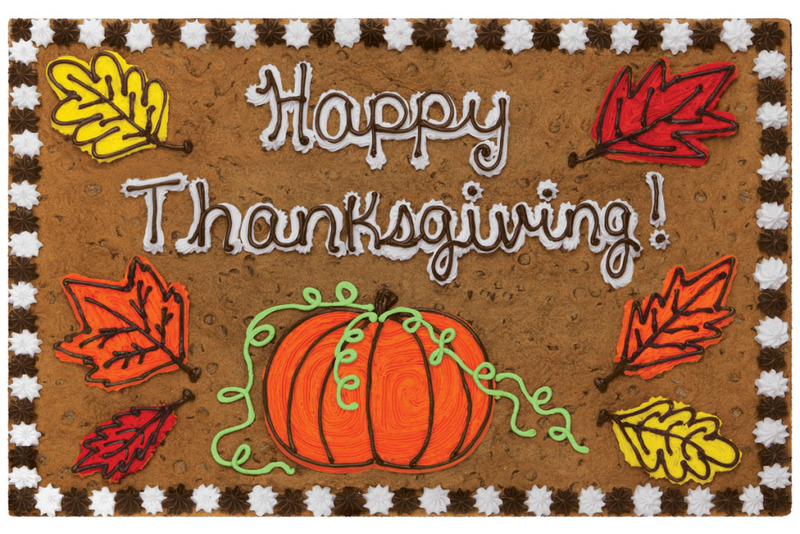 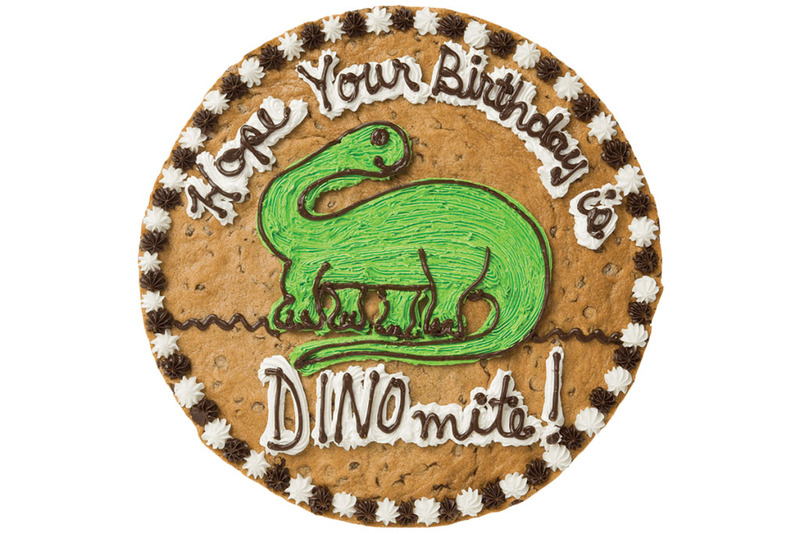 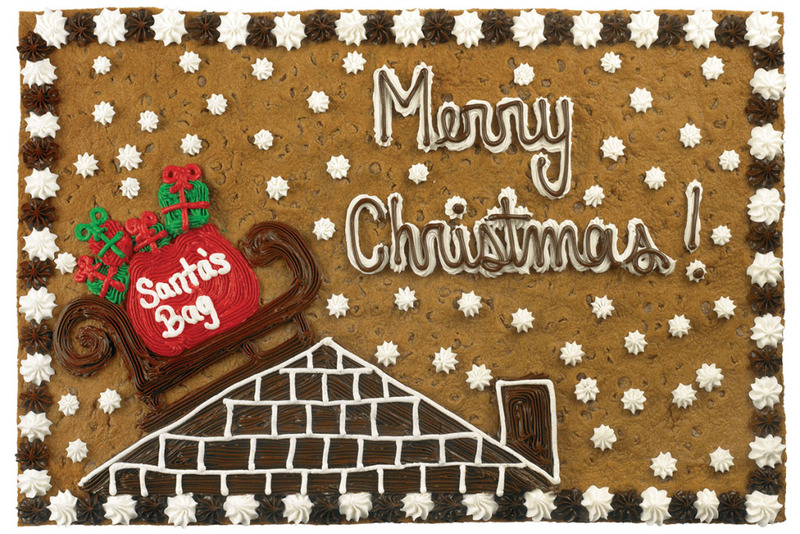 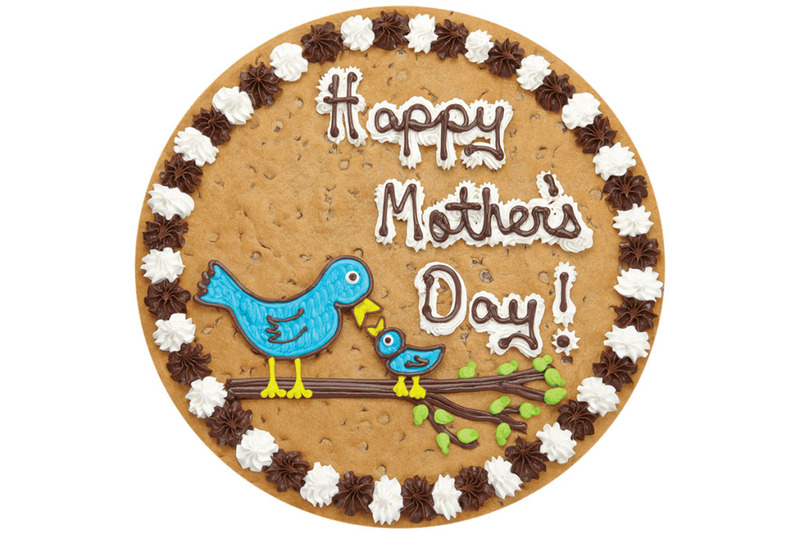 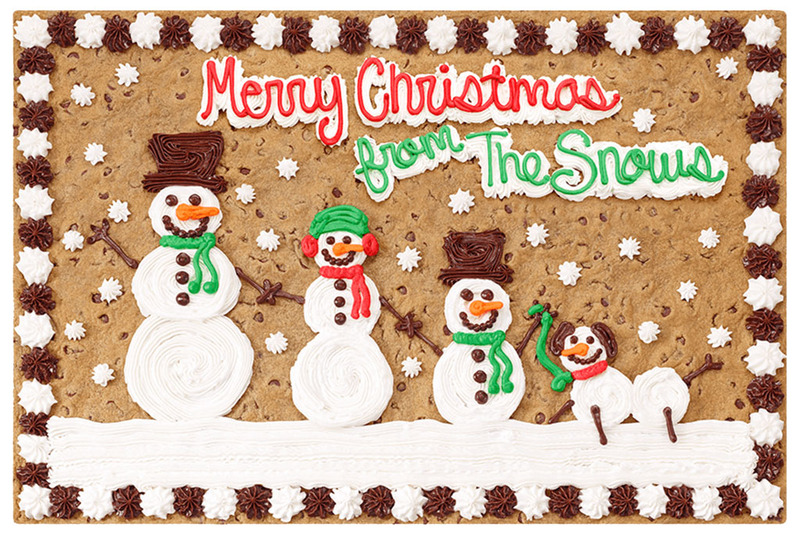 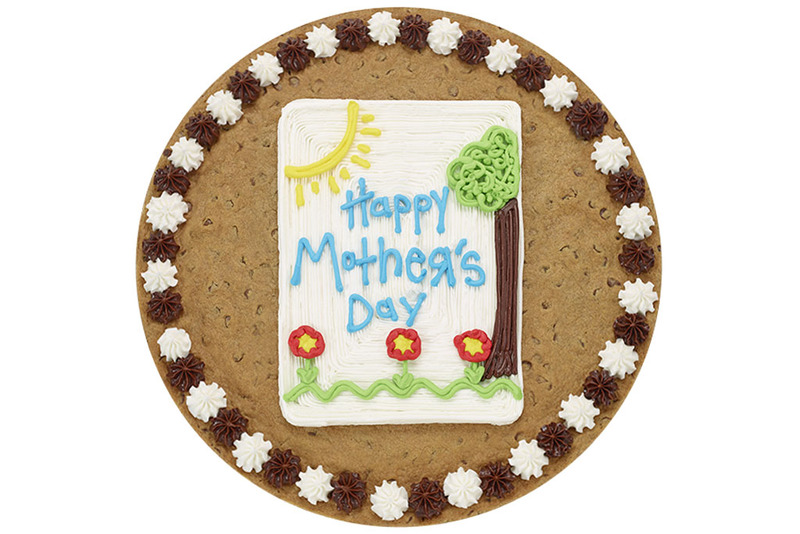 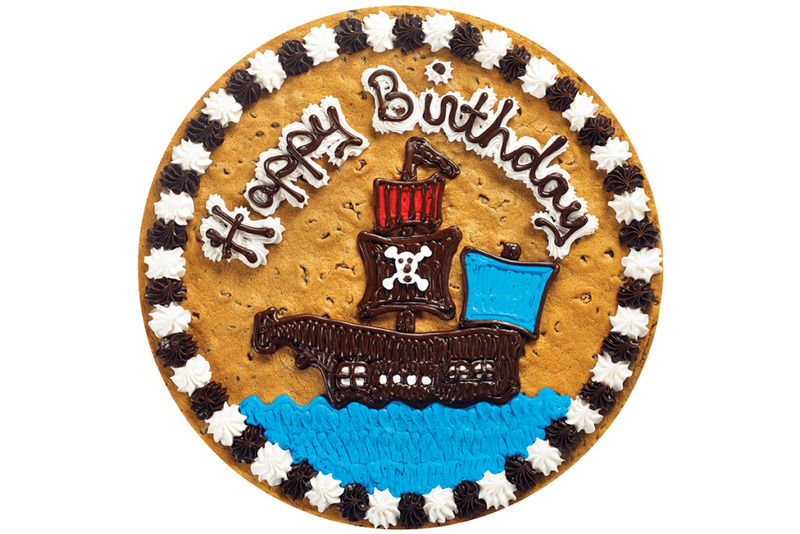 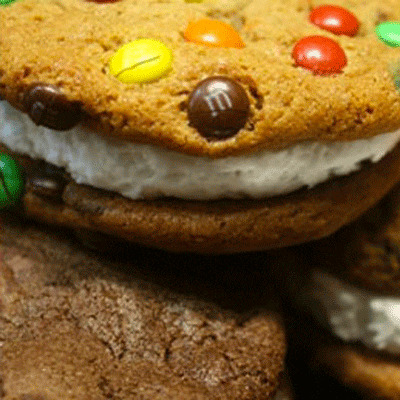 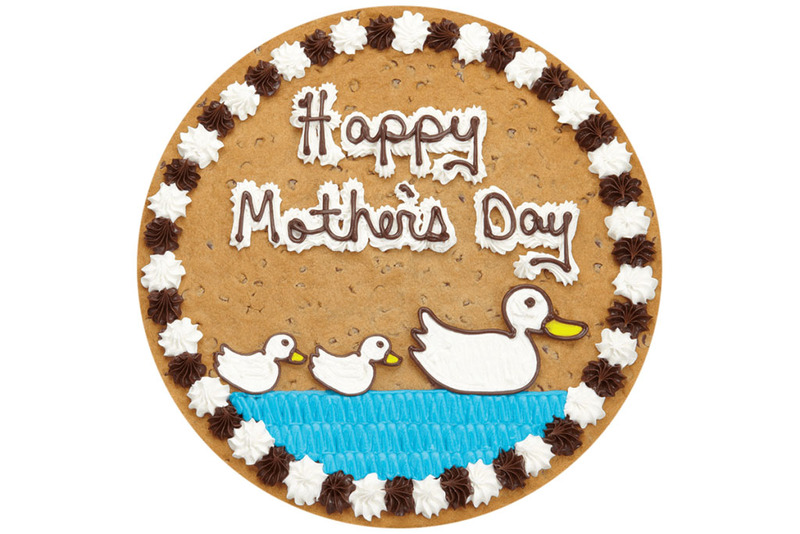 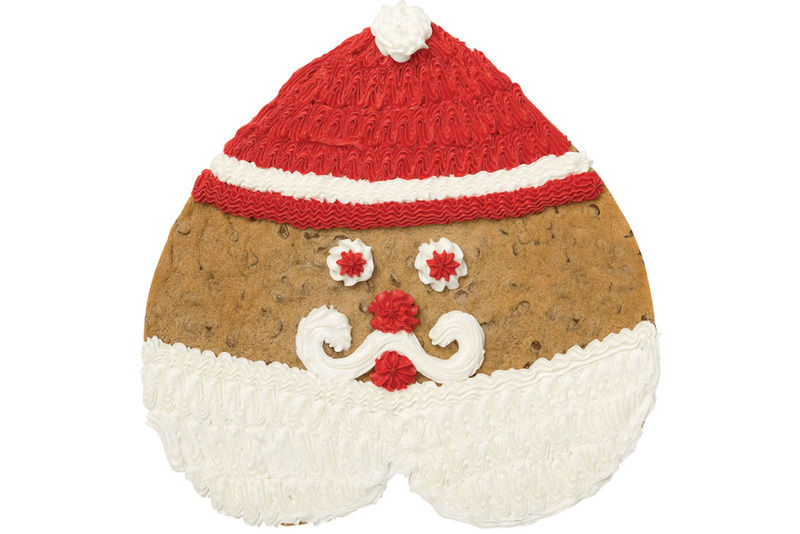 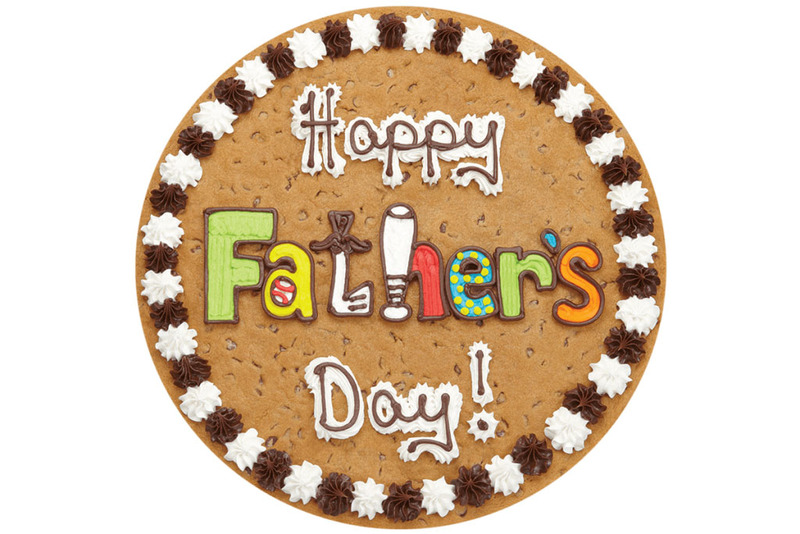 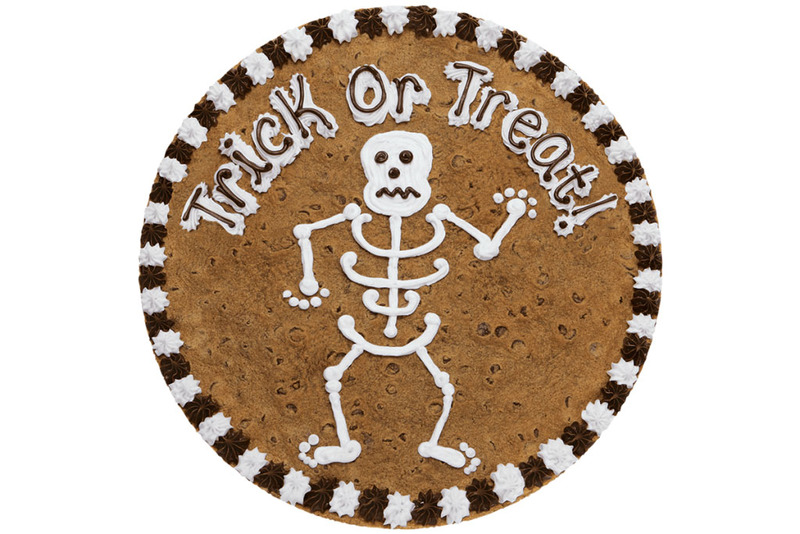 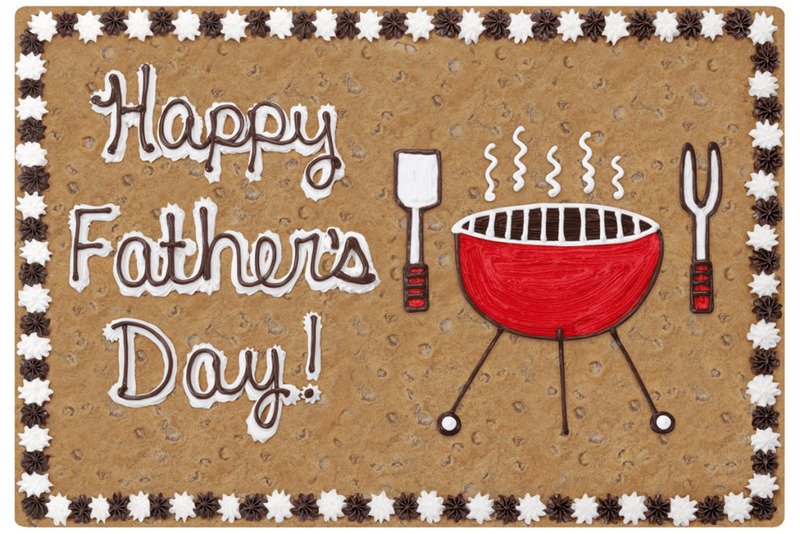 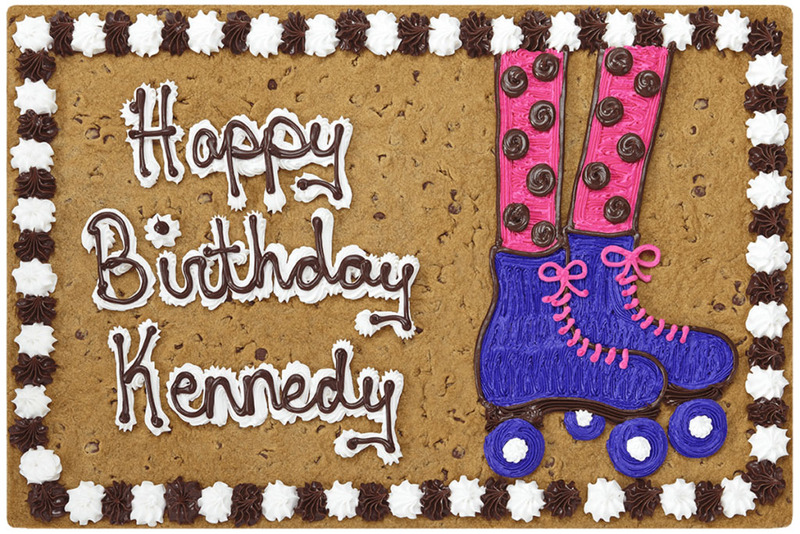 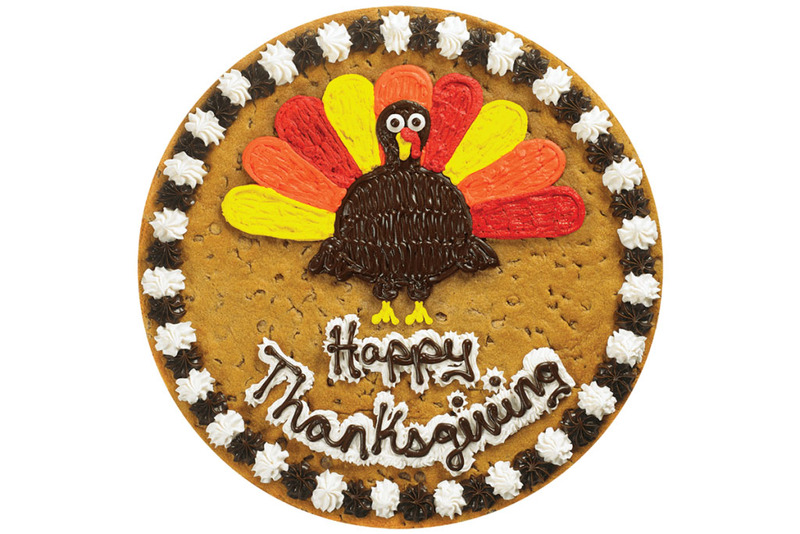 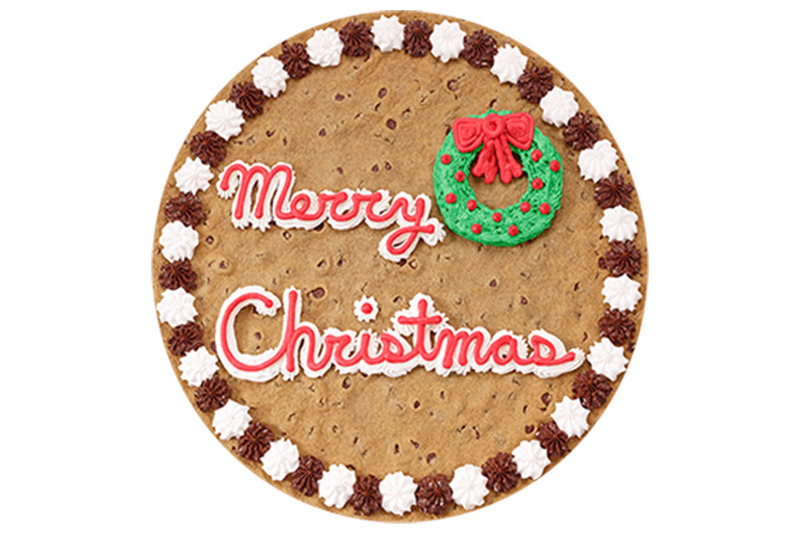 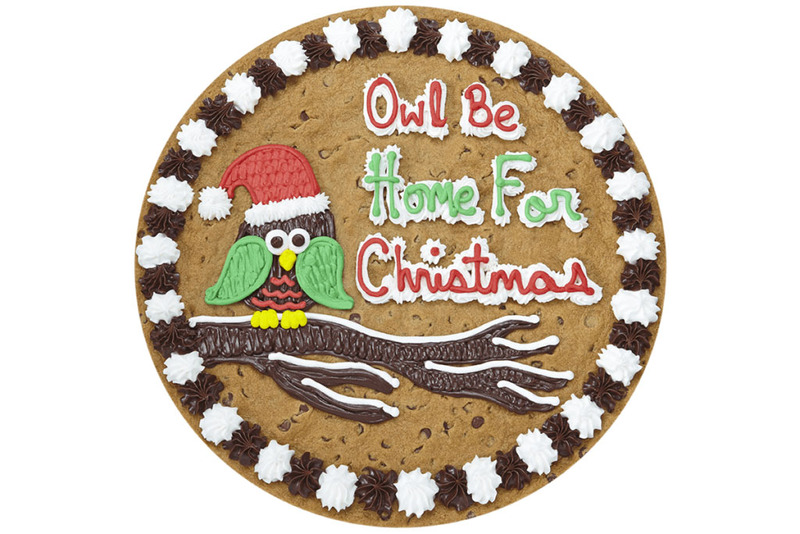 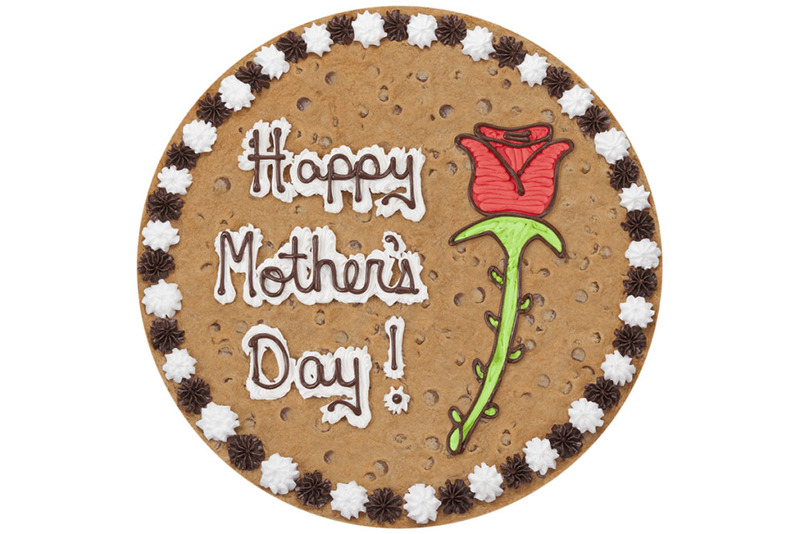 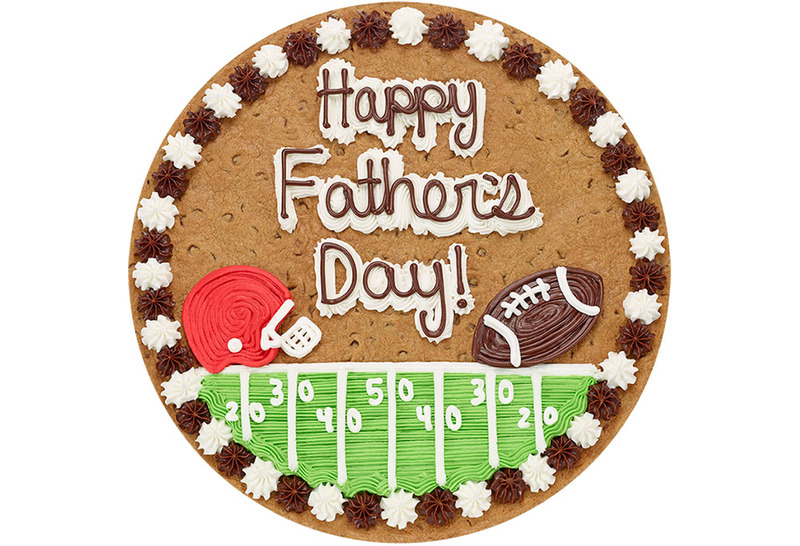 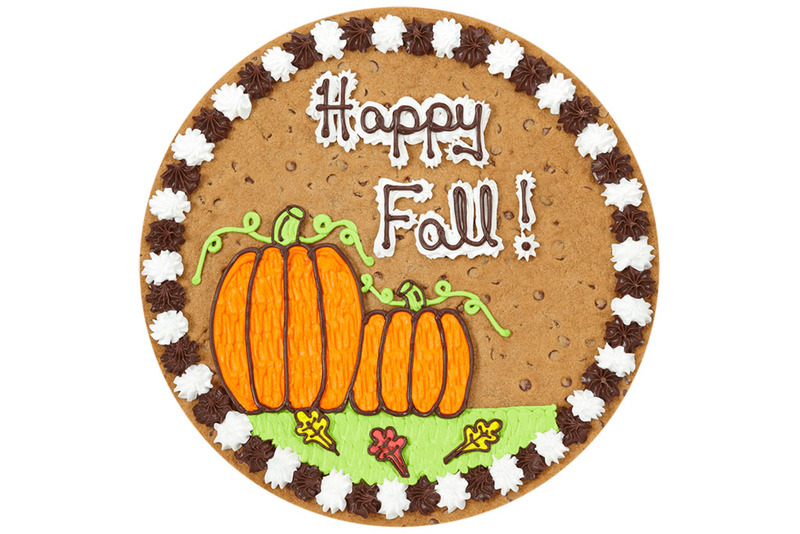 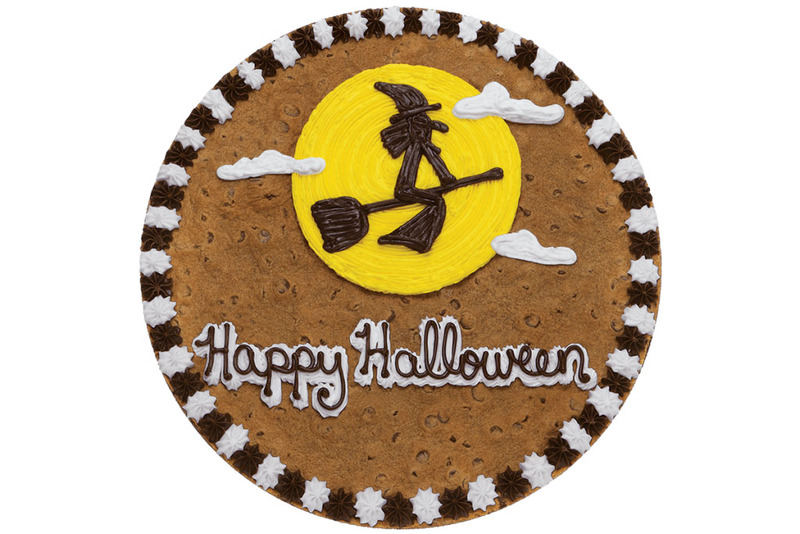 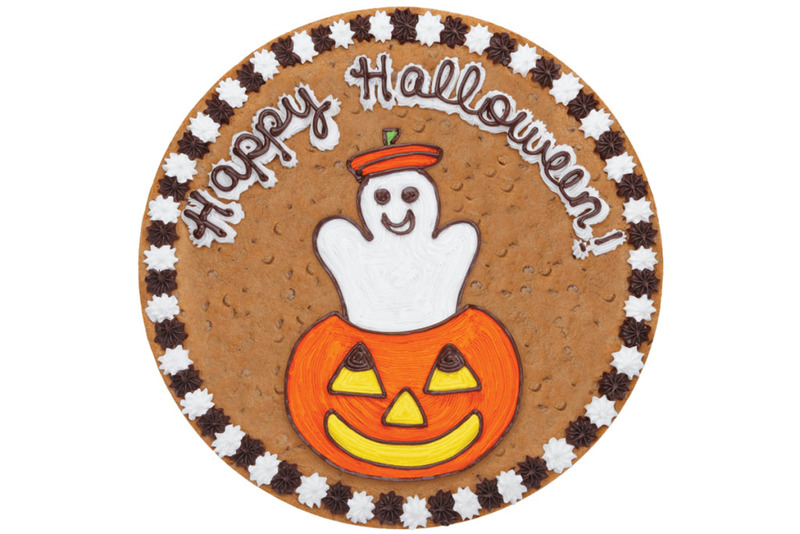 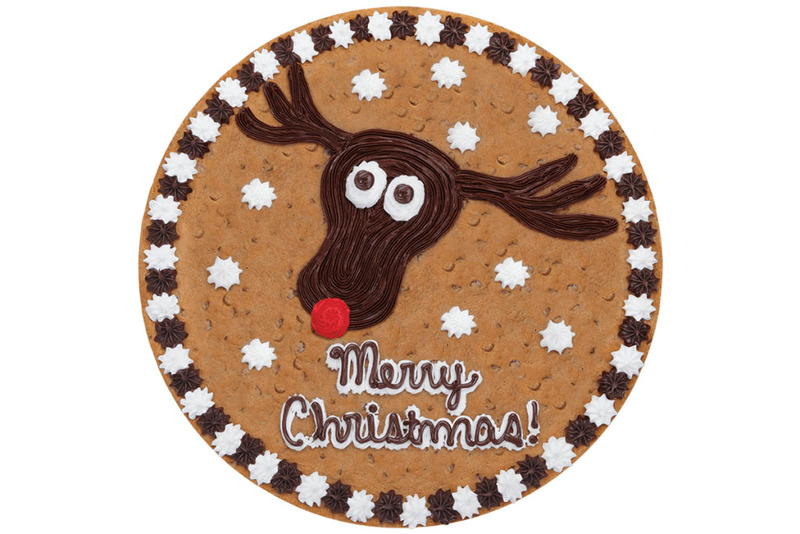 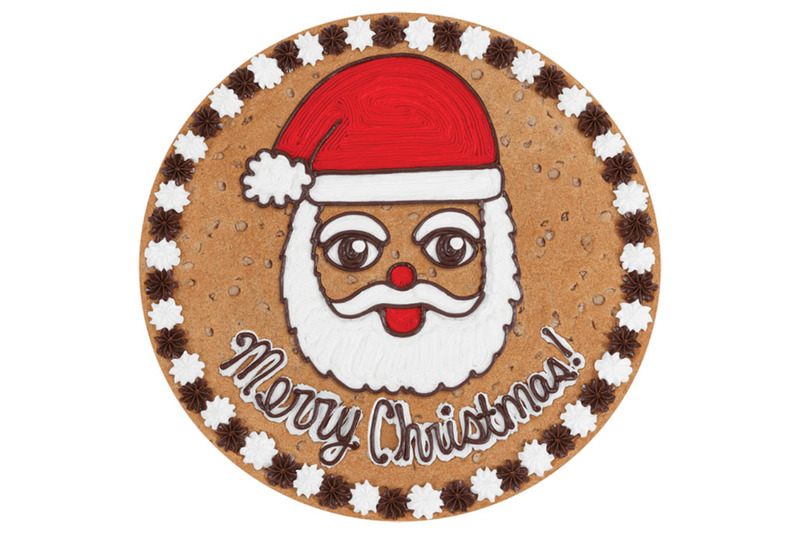 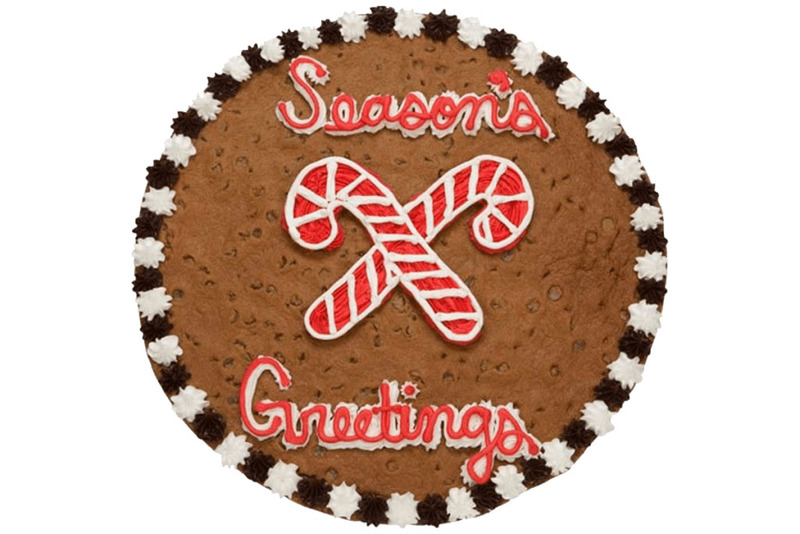 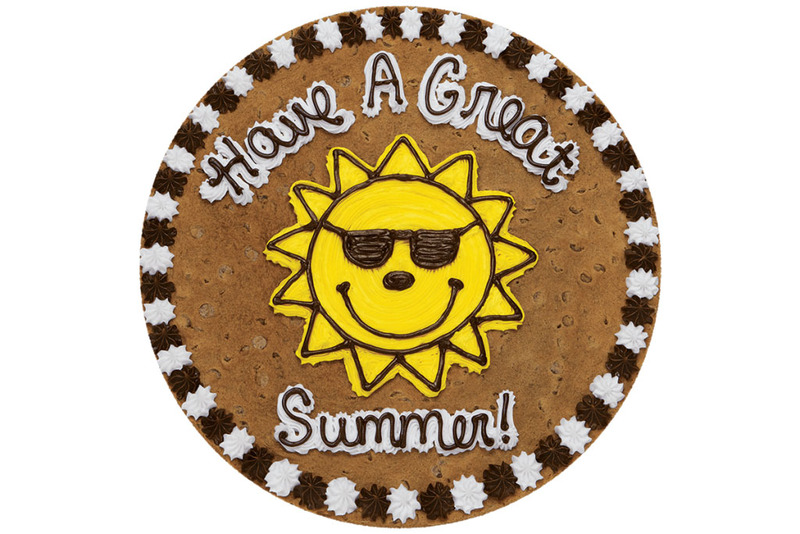 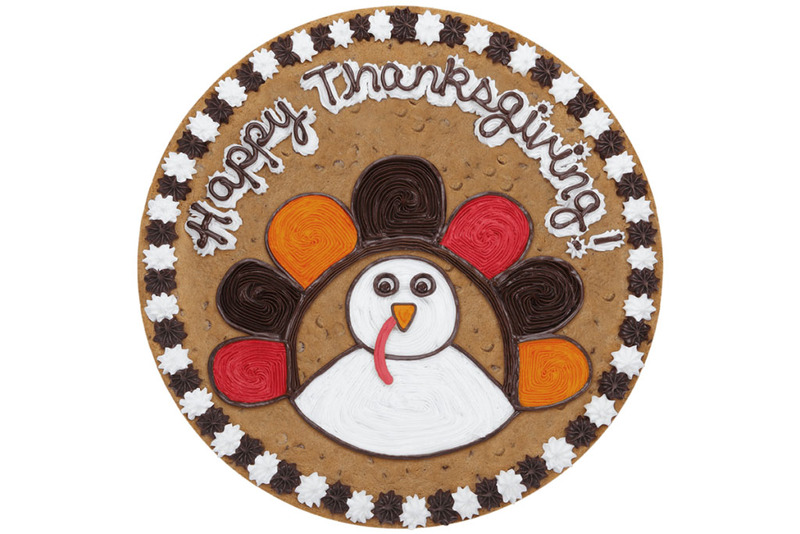 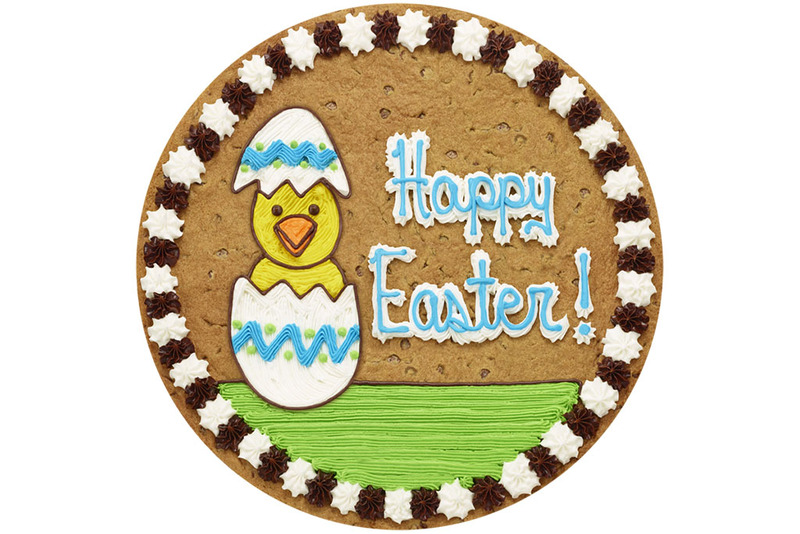 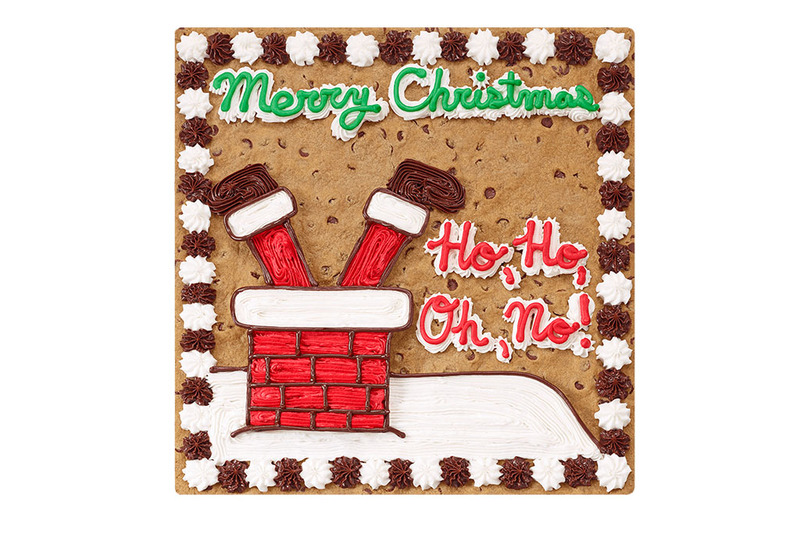 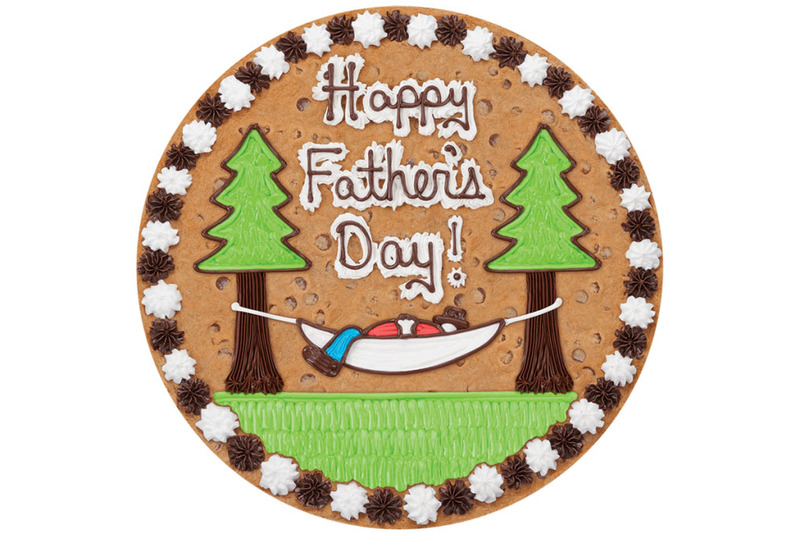 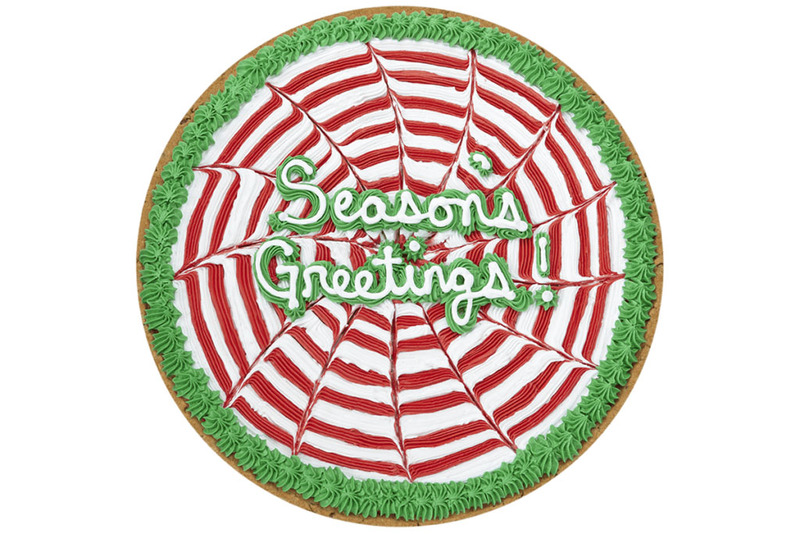 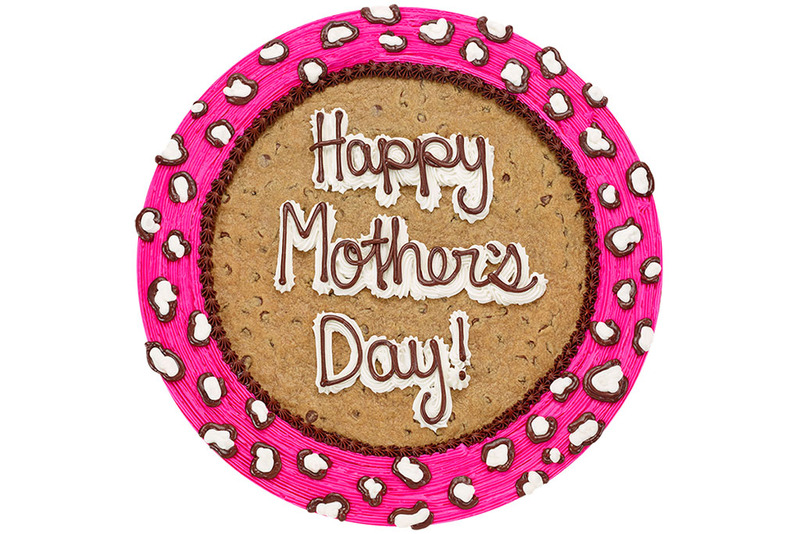 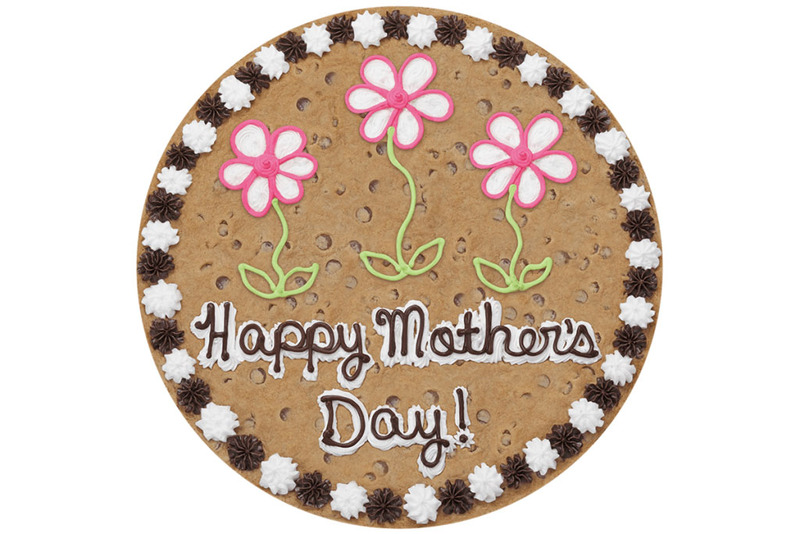 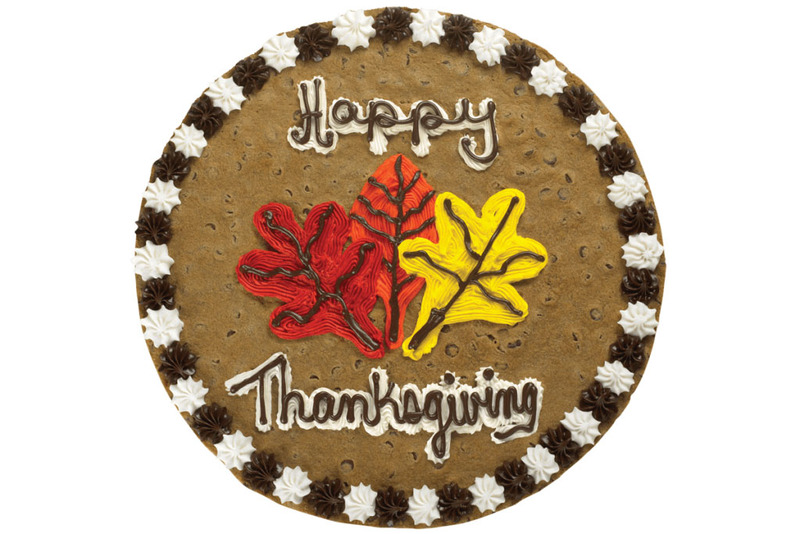 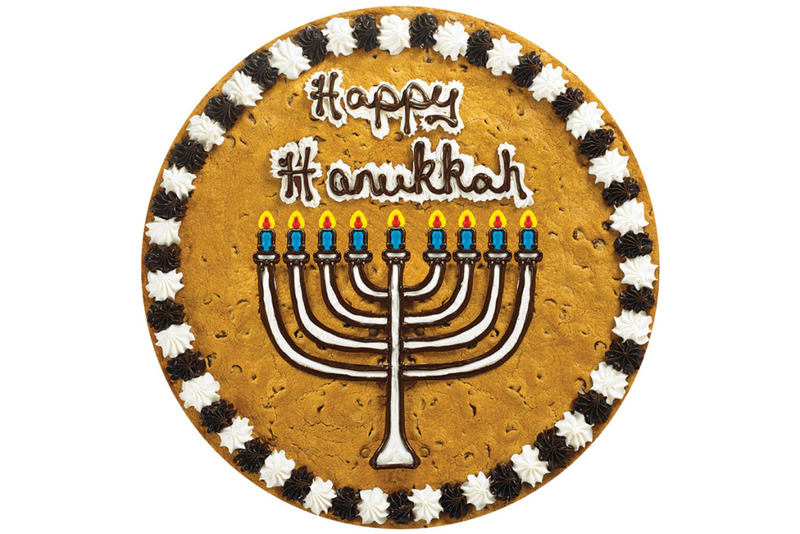 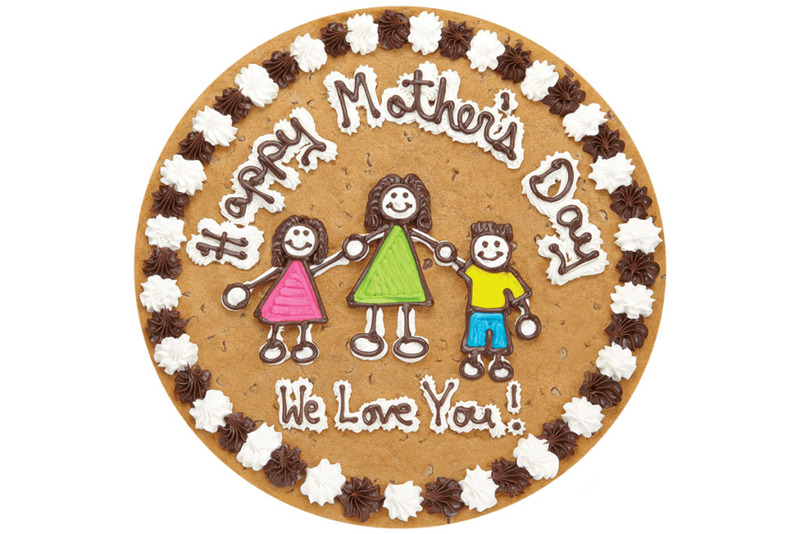 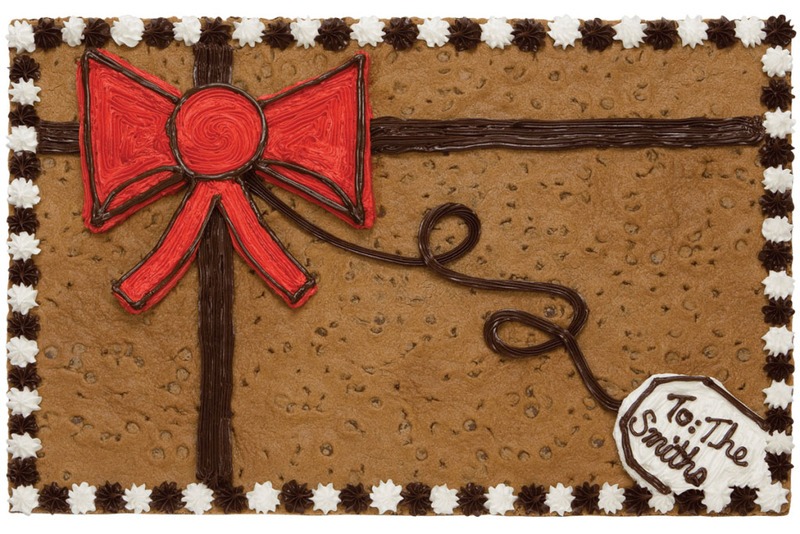 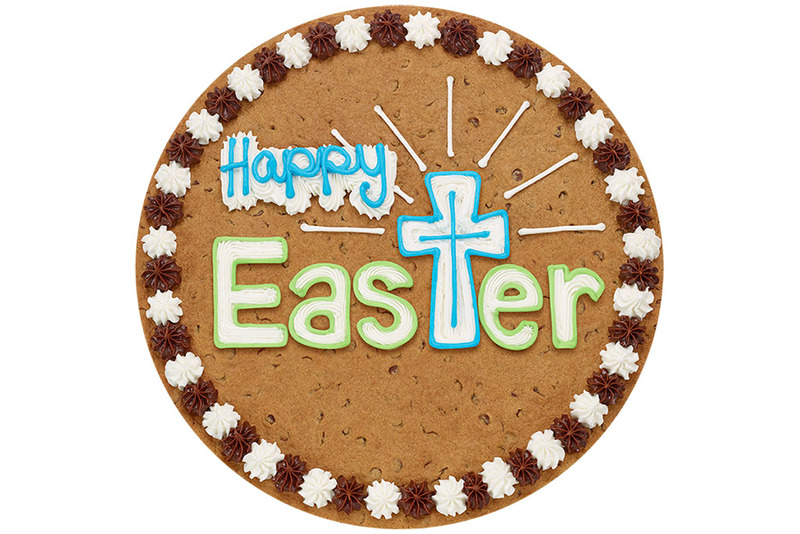 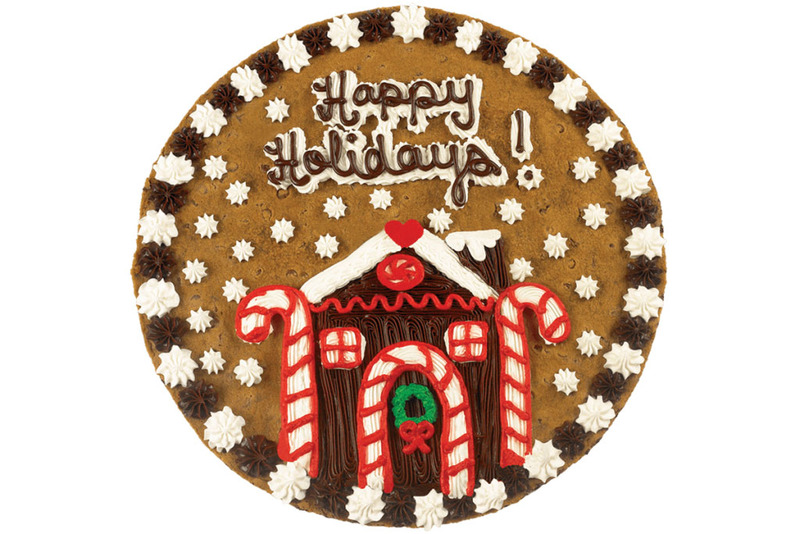 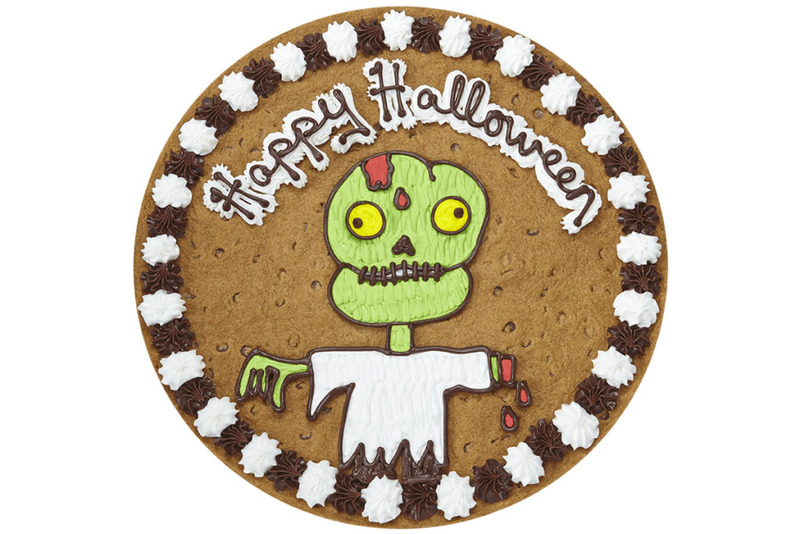 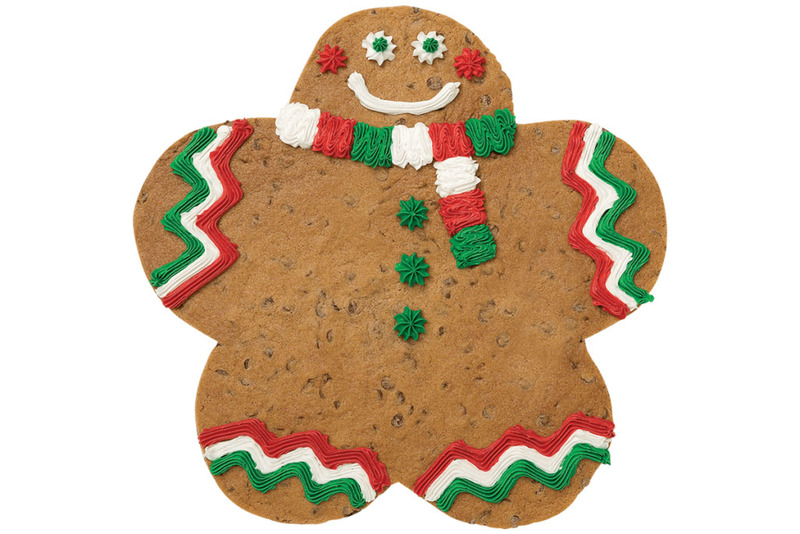 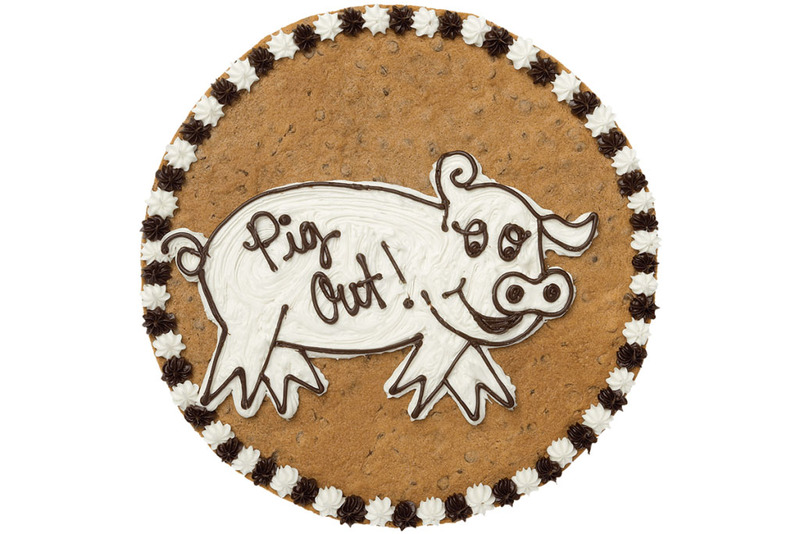 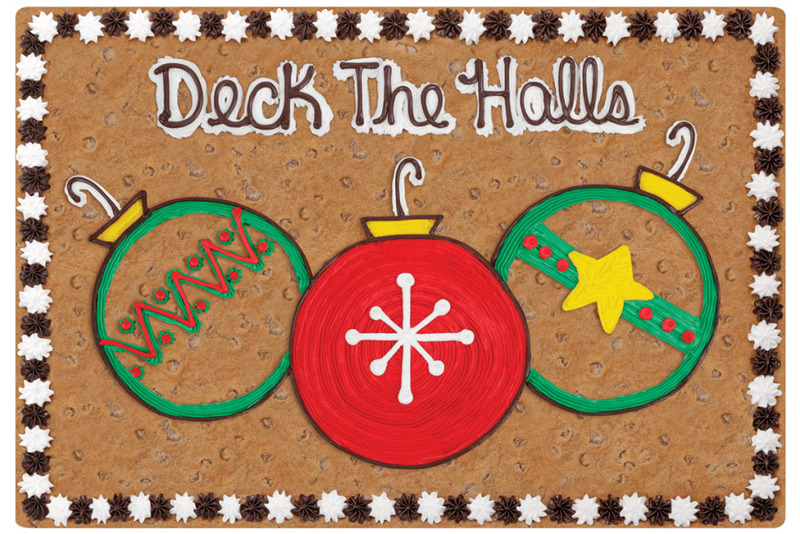 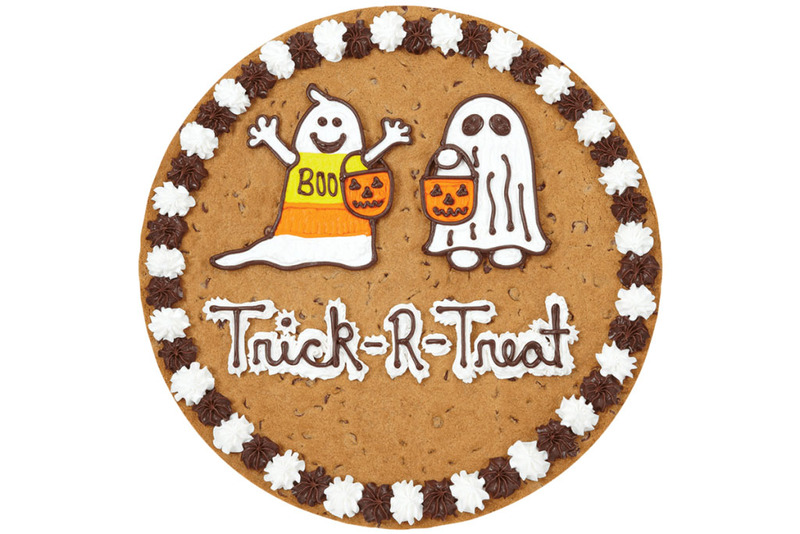 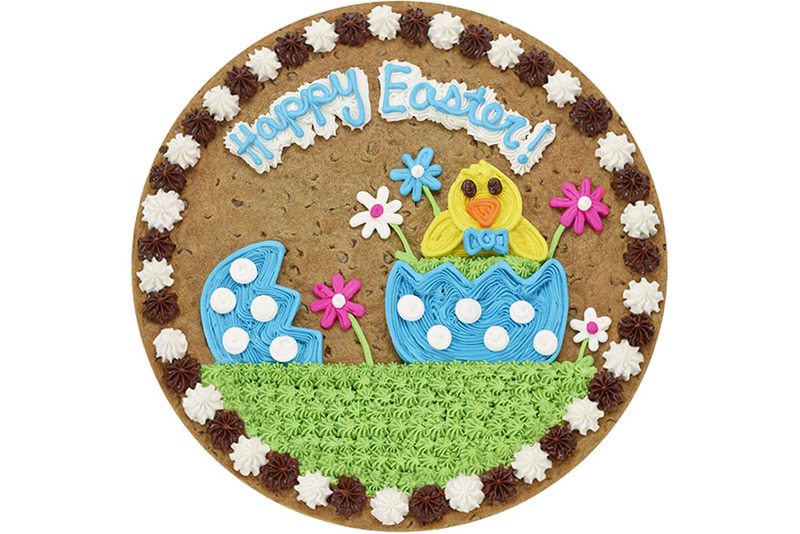 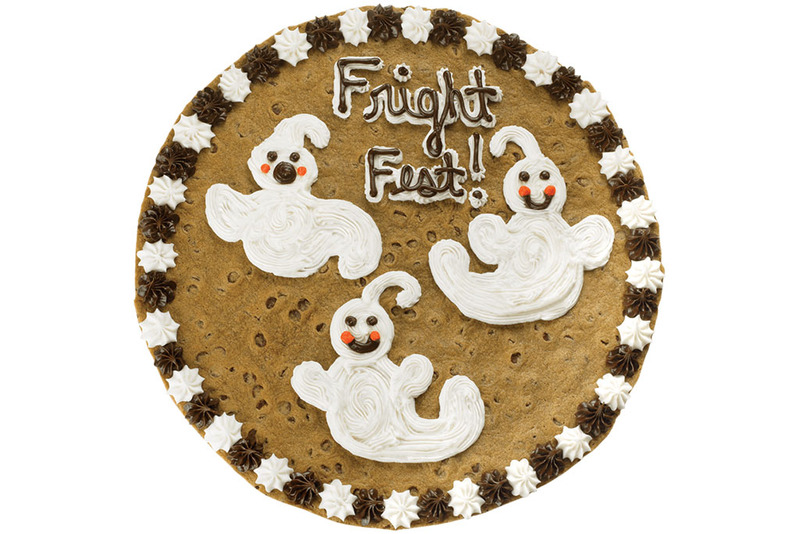 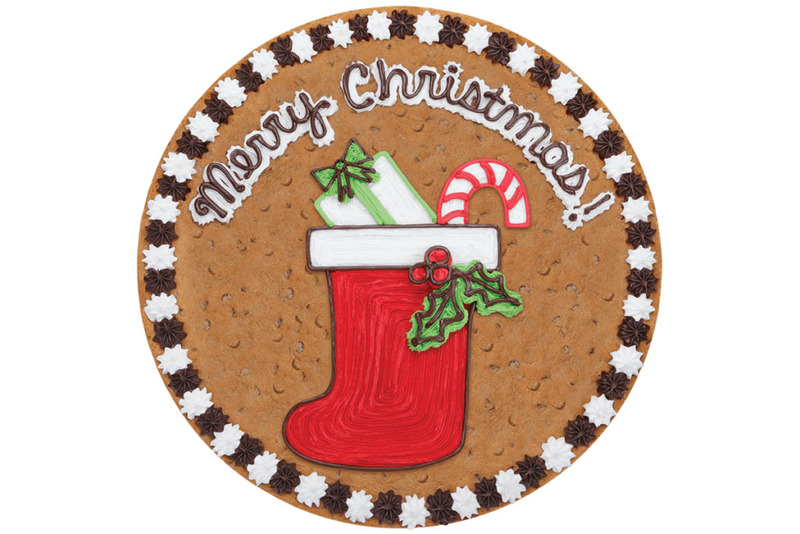 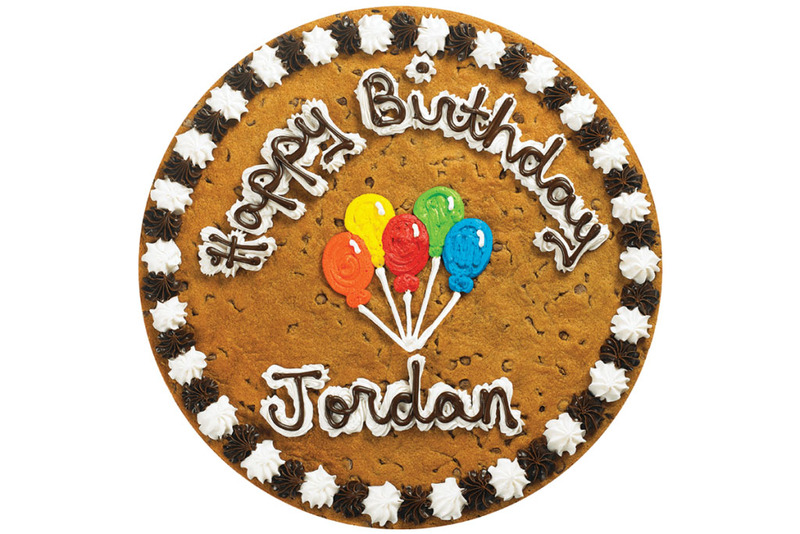 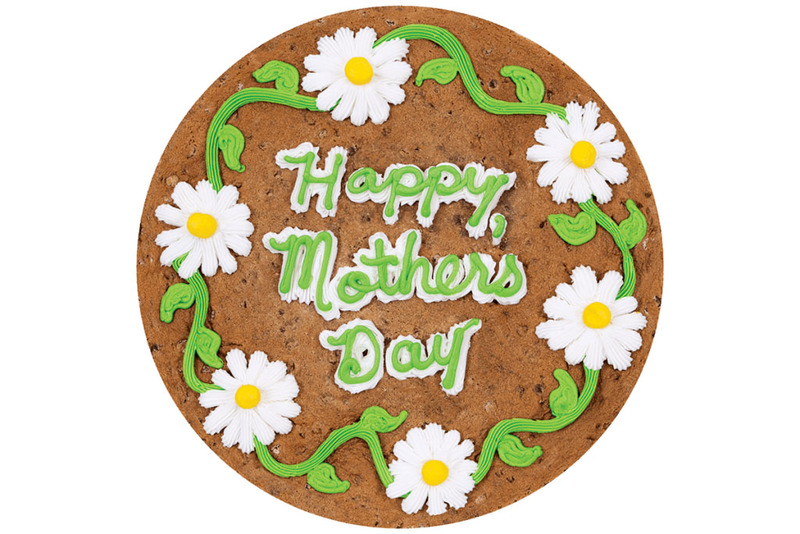 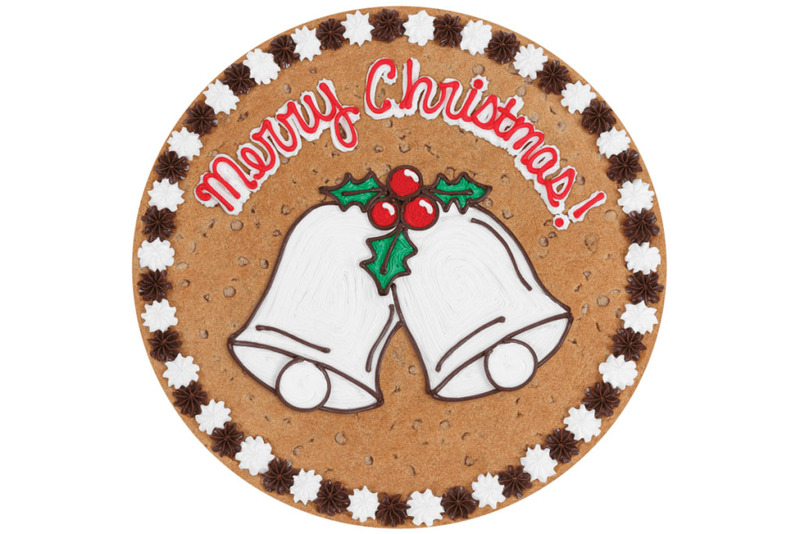 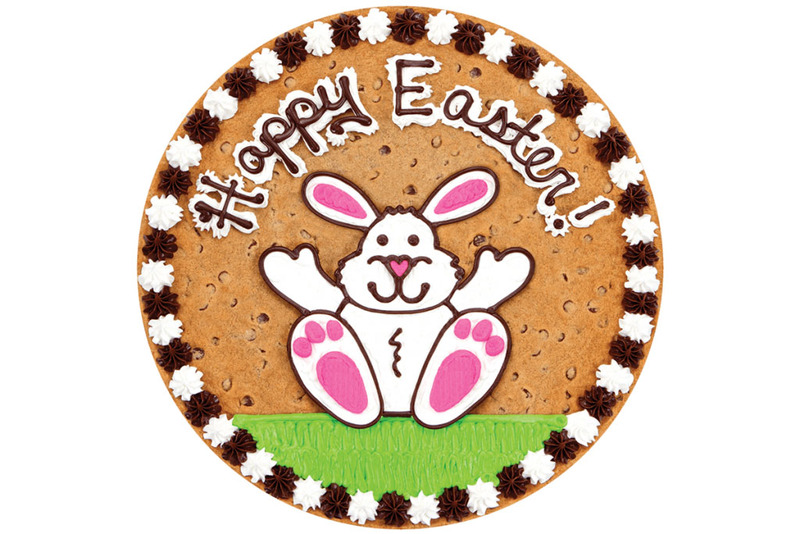 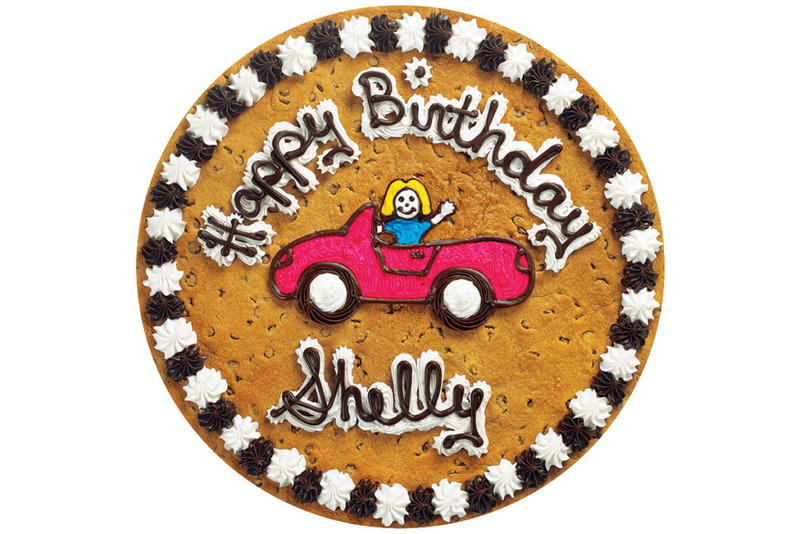 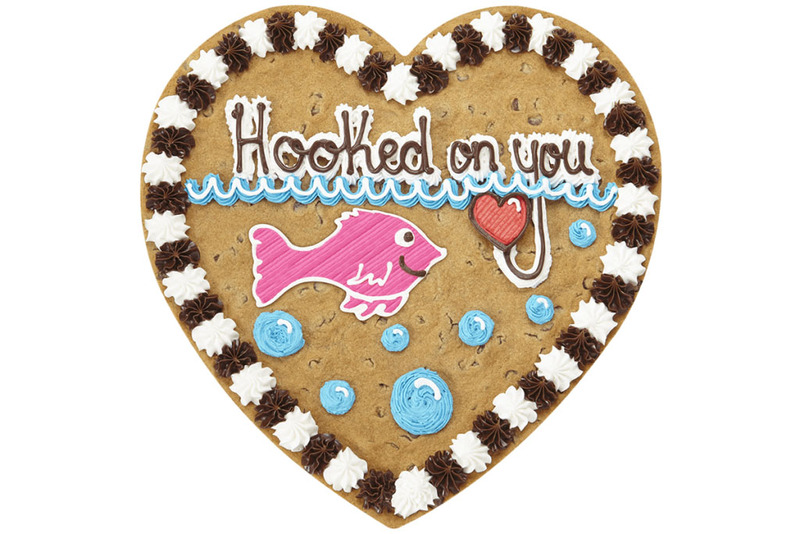 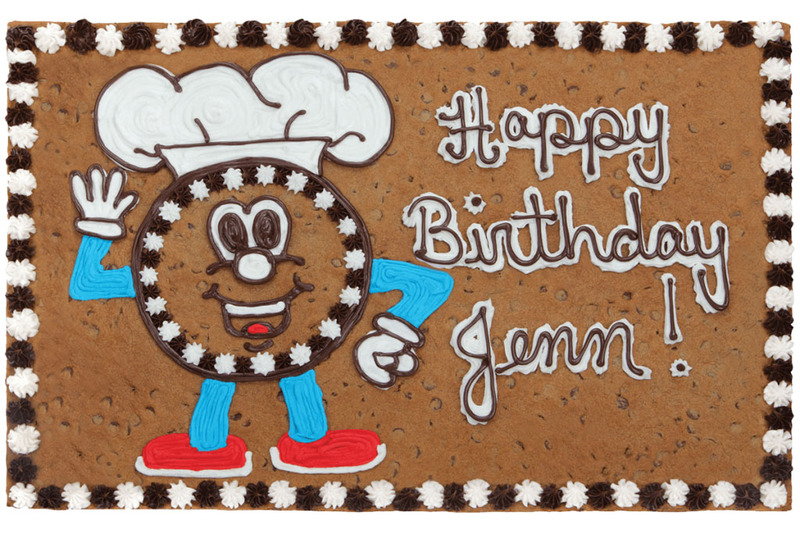 Go to delicious extremes with our 24" Pan Size Cookie Cake. 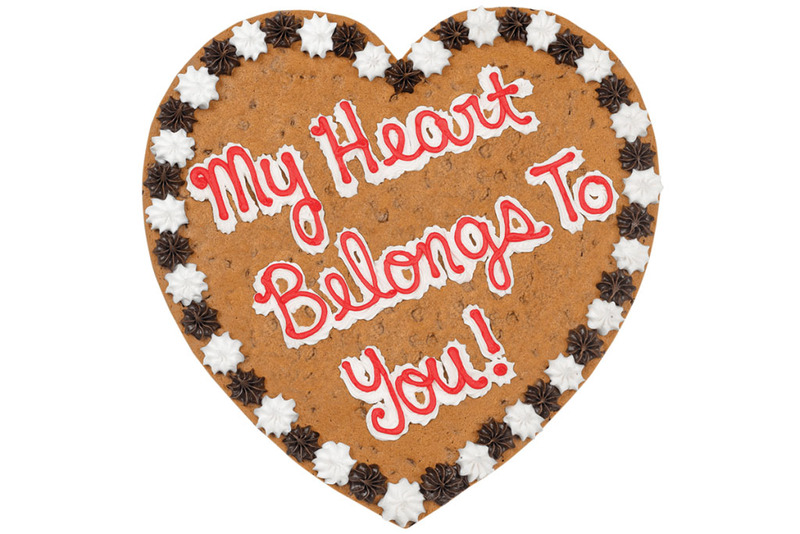 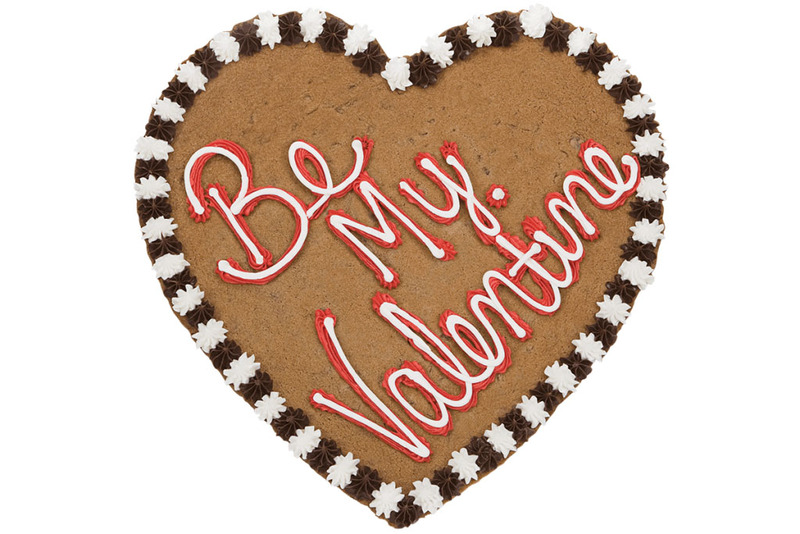 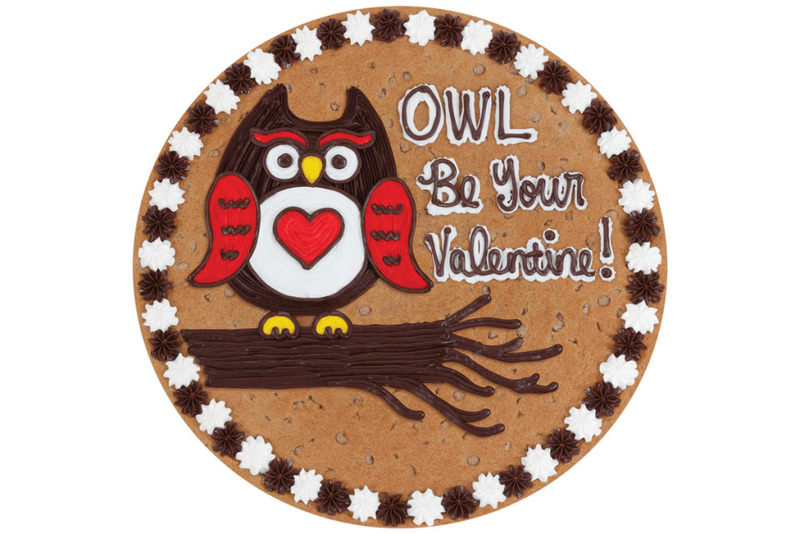 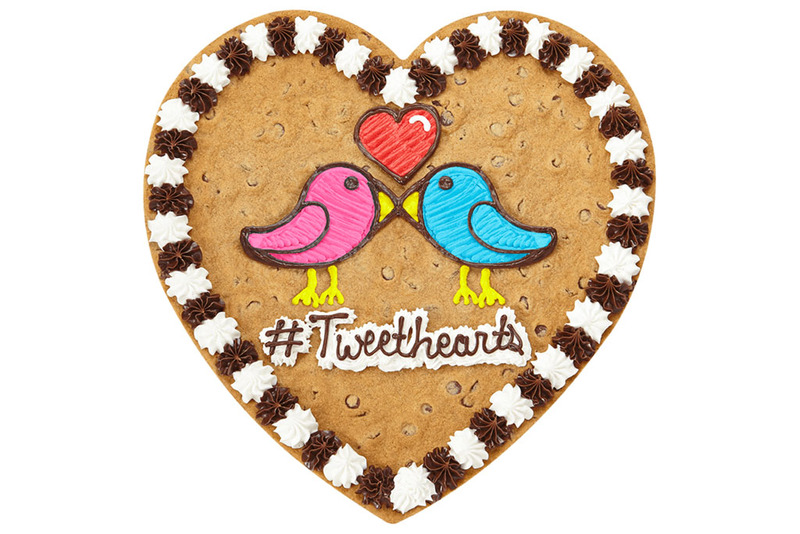 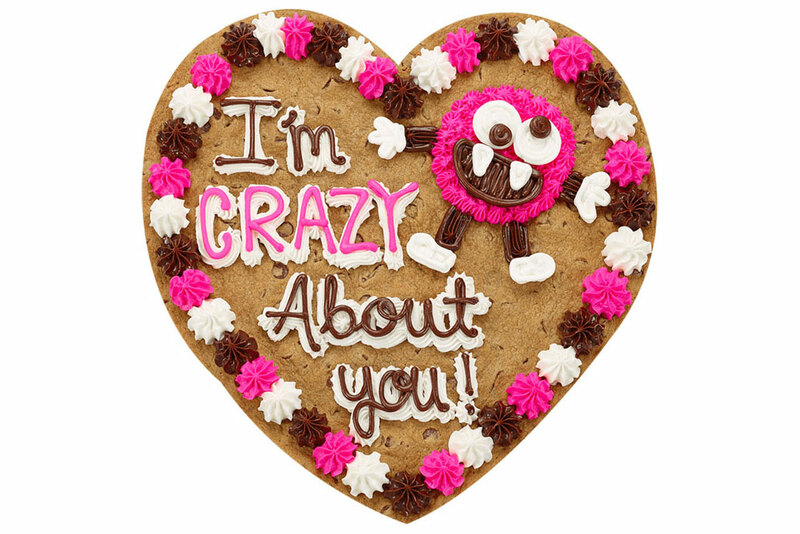 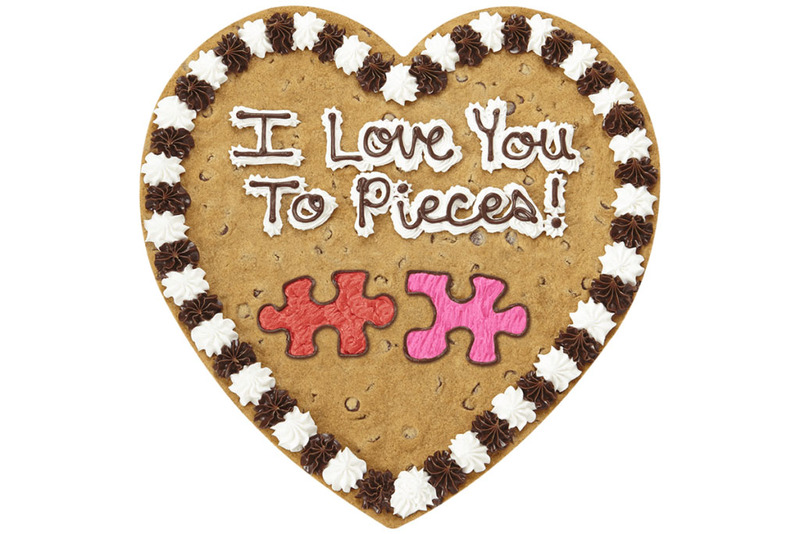 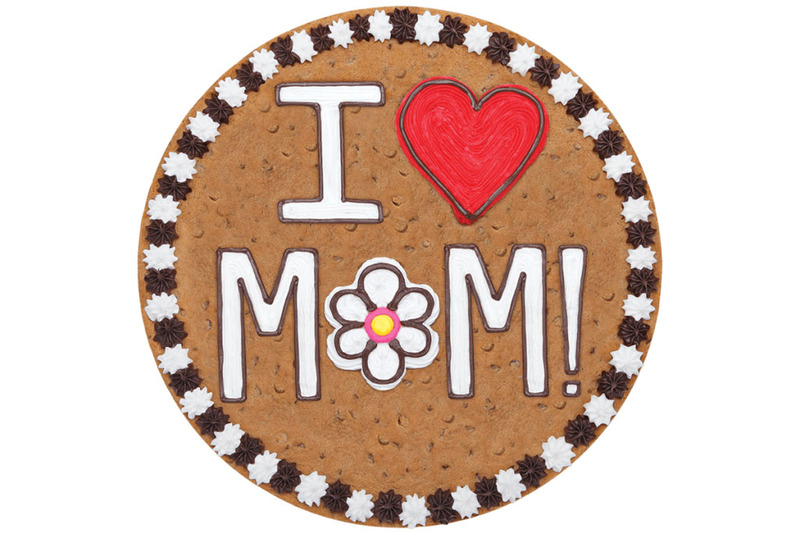 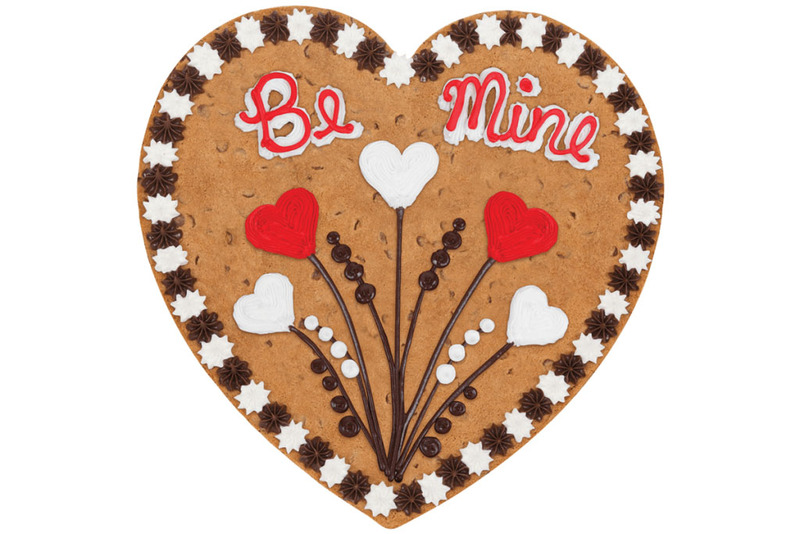 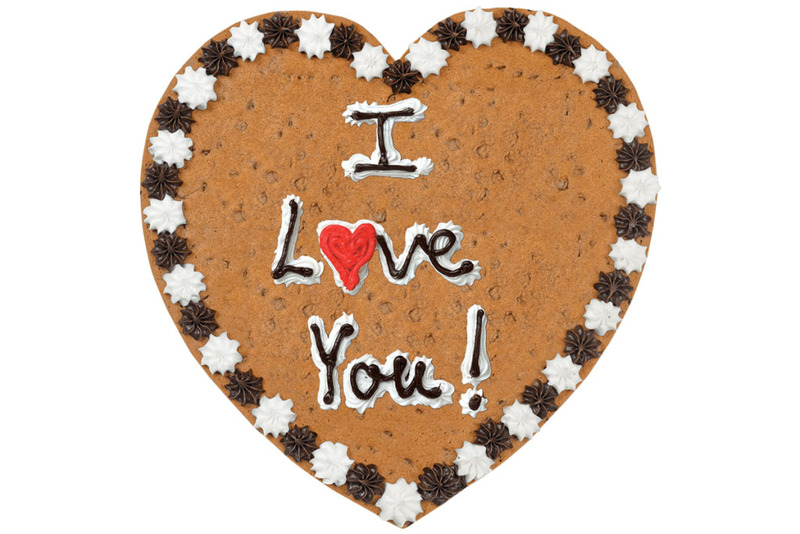 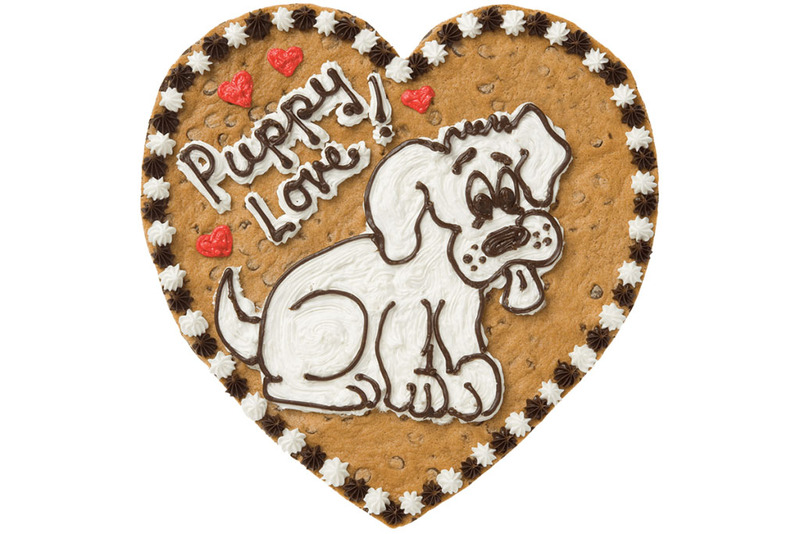 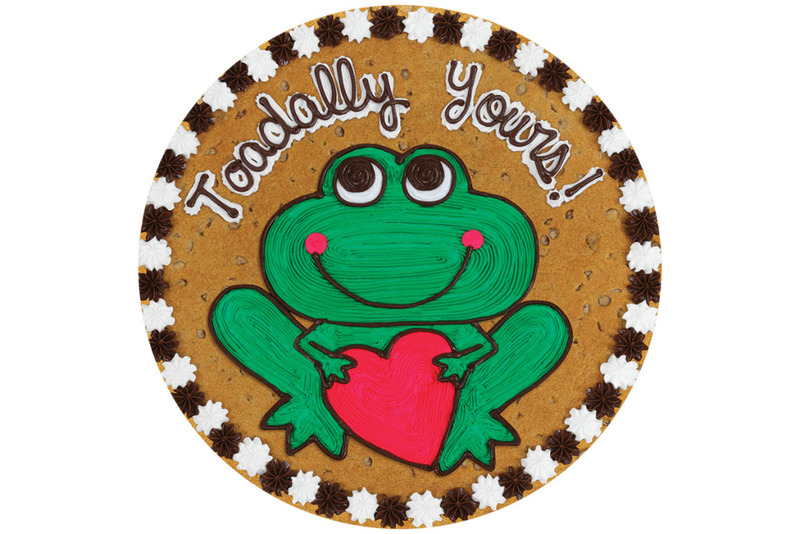 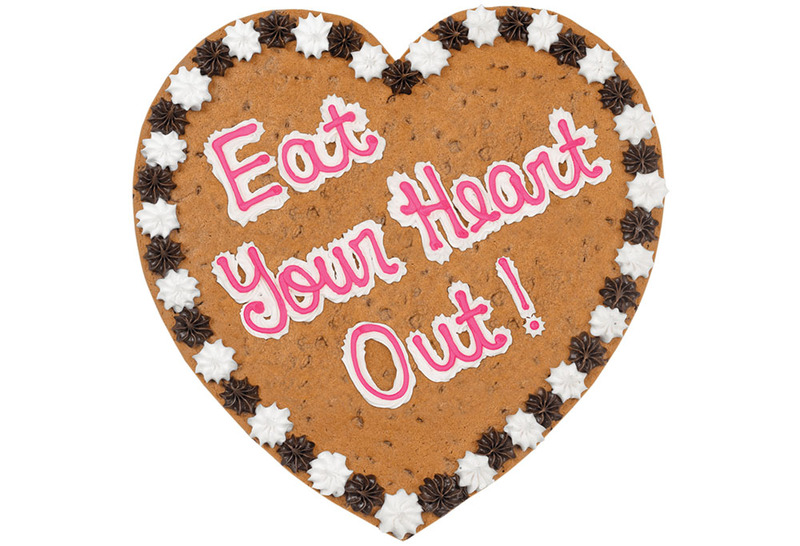 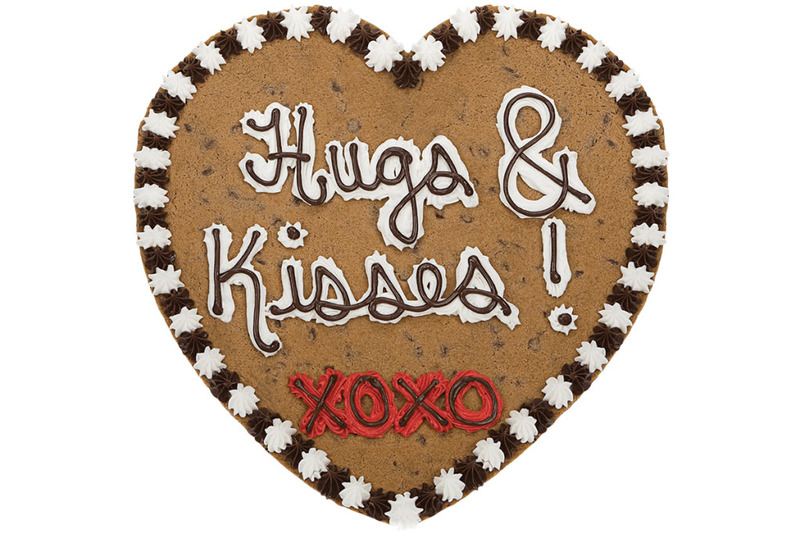 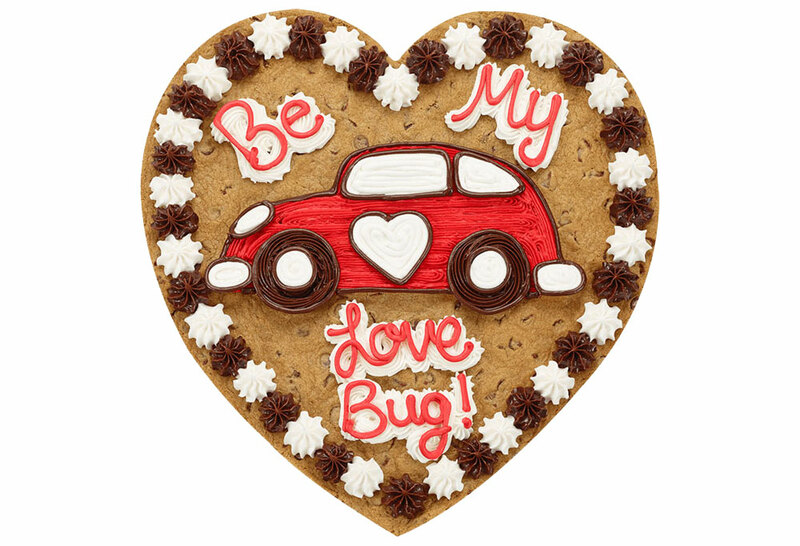 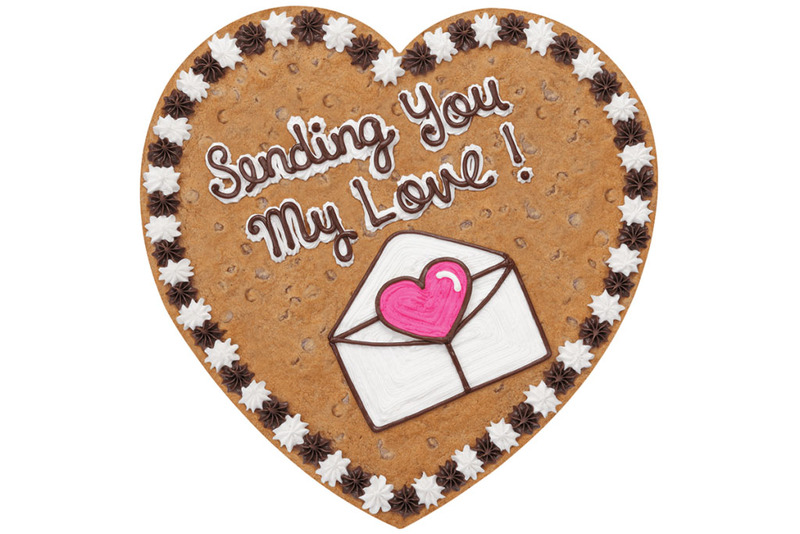 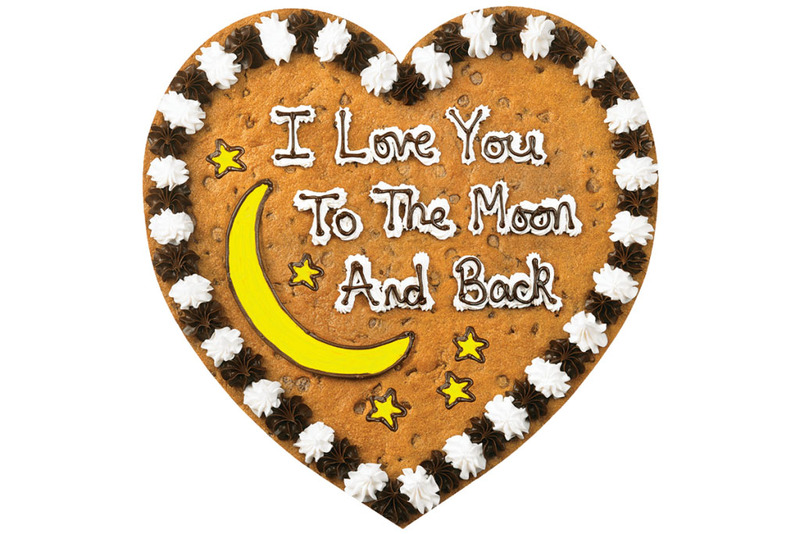 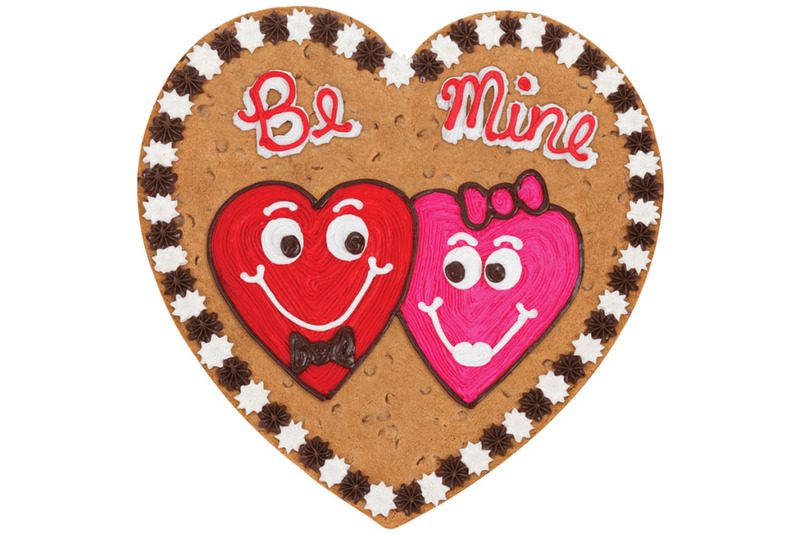 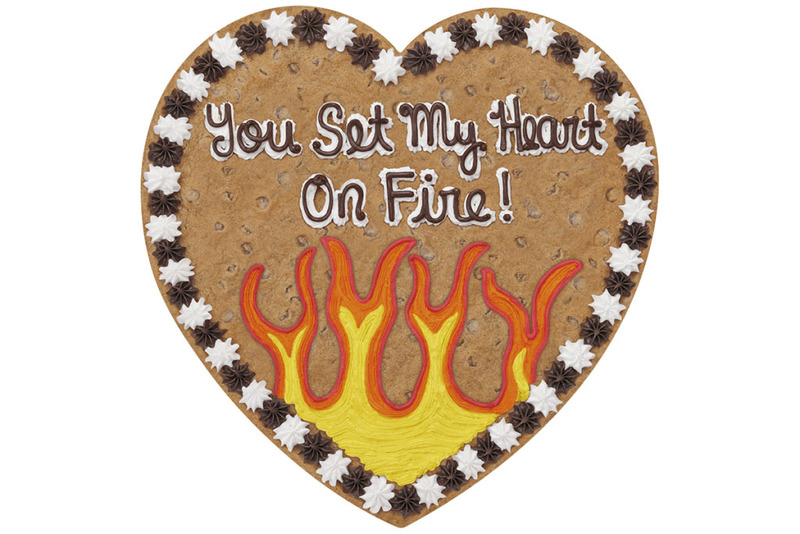 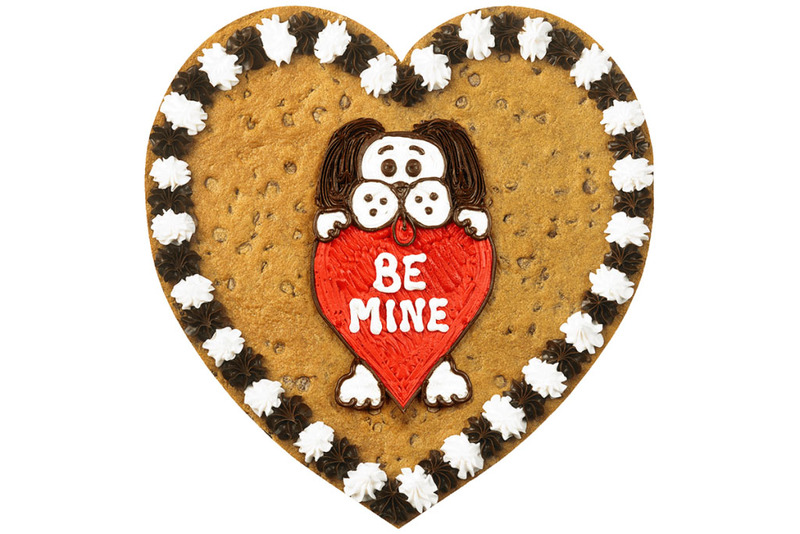 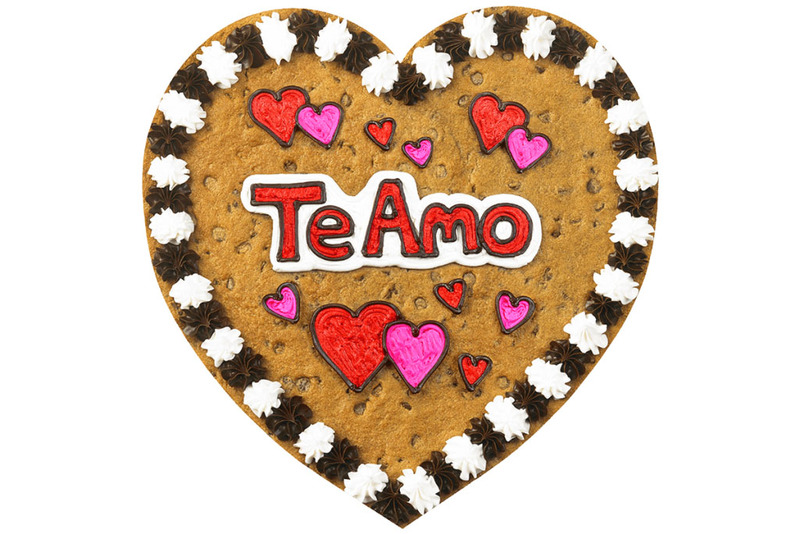 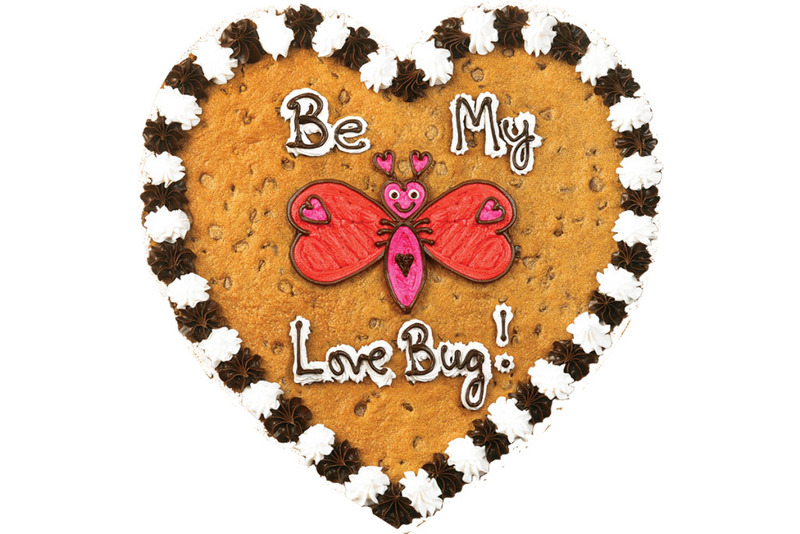 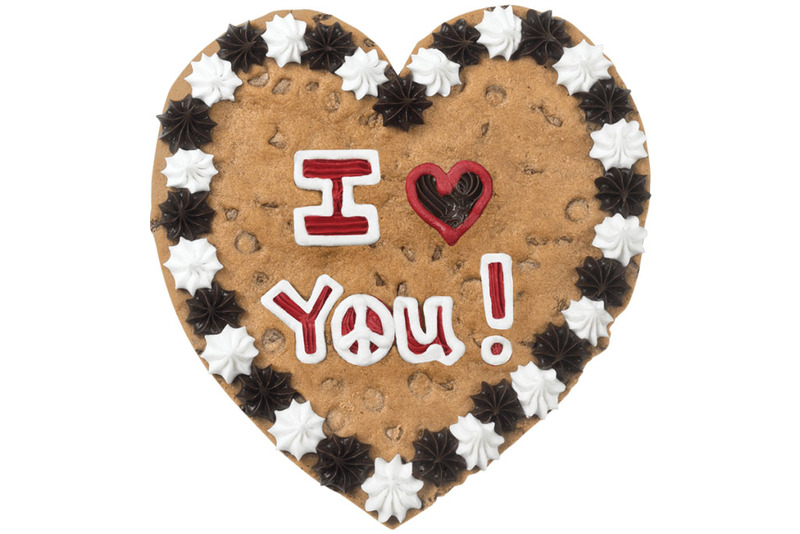 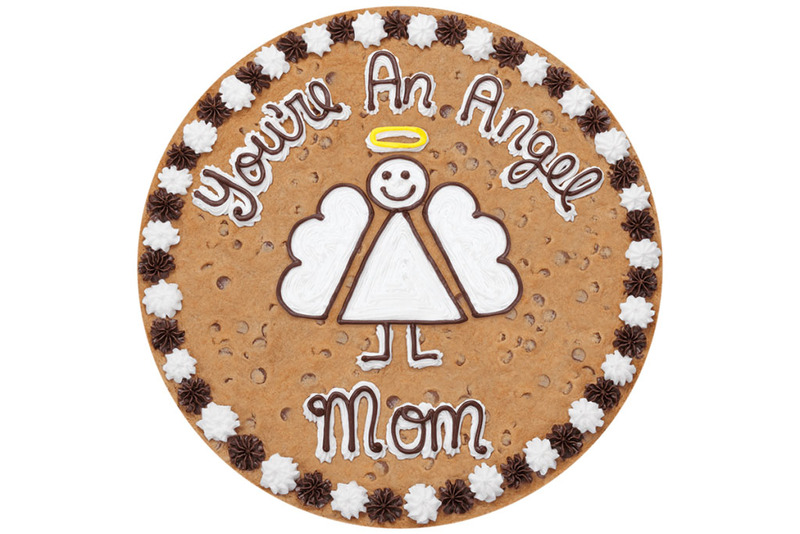 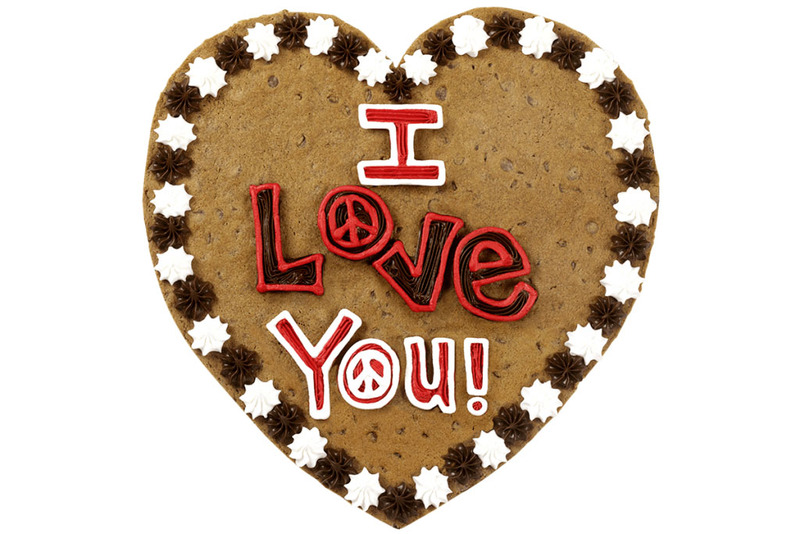 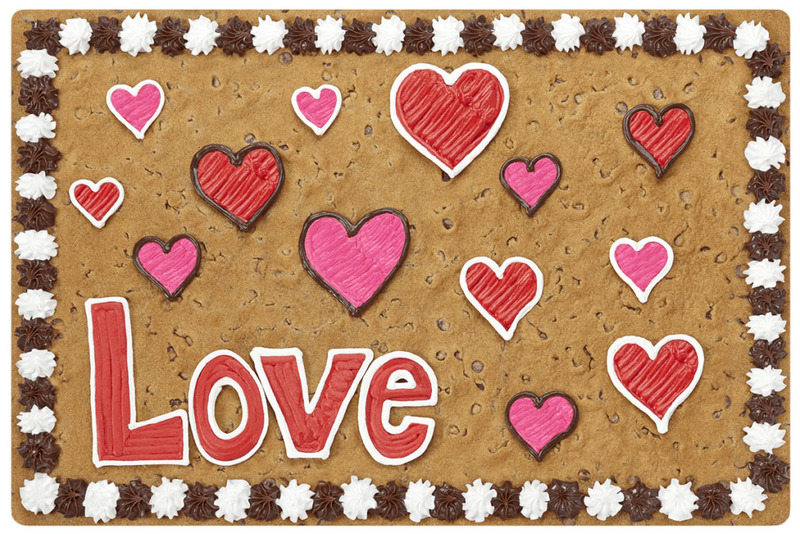 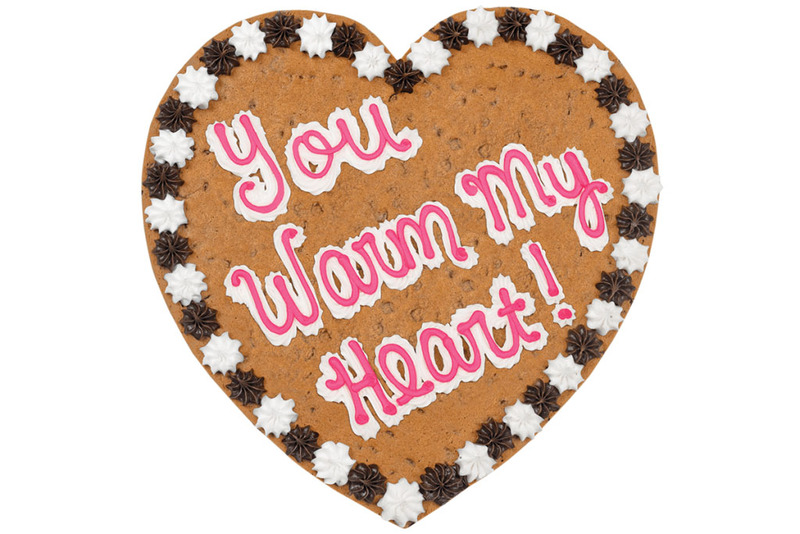 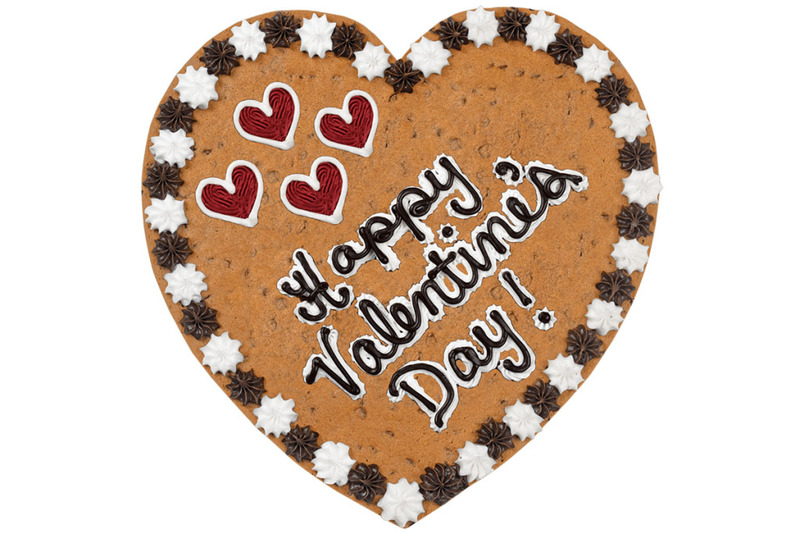 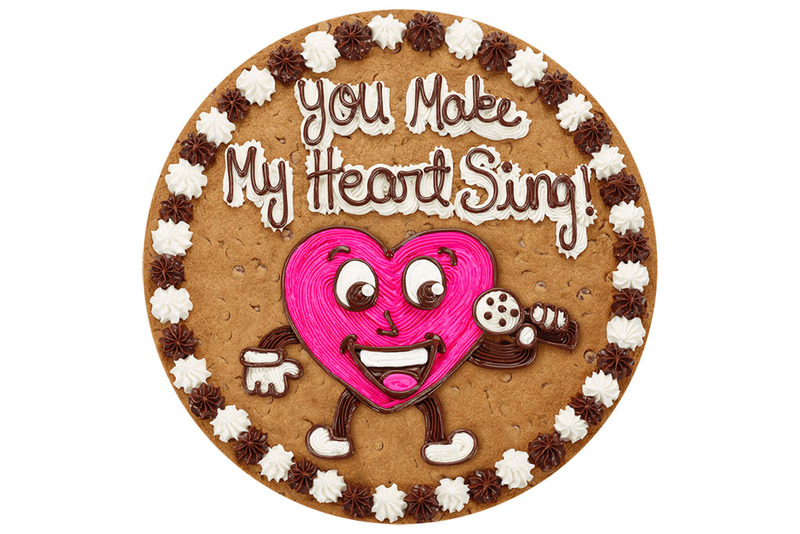 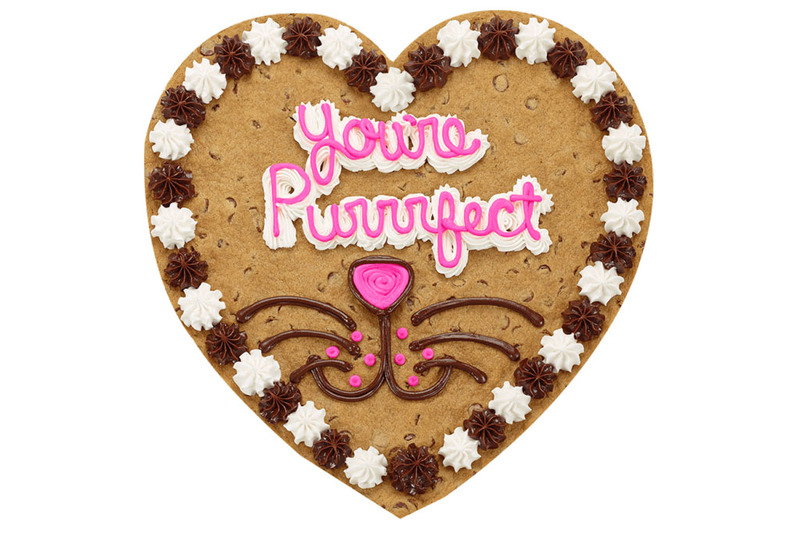 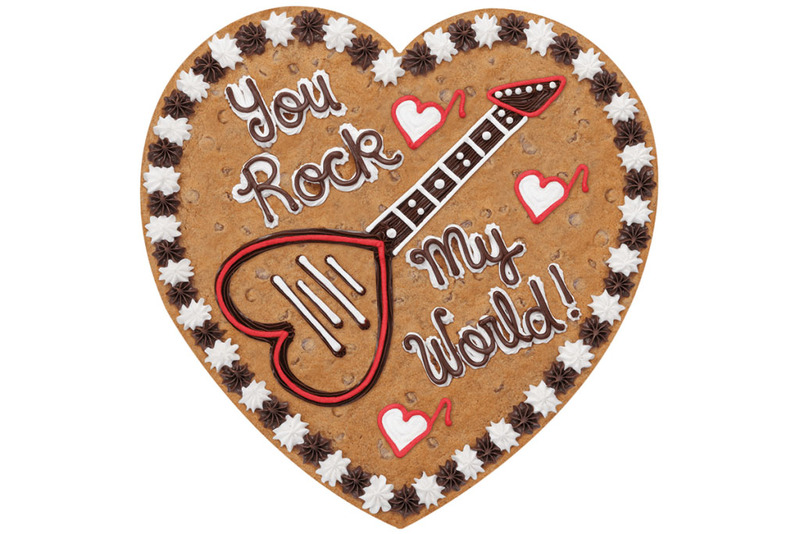 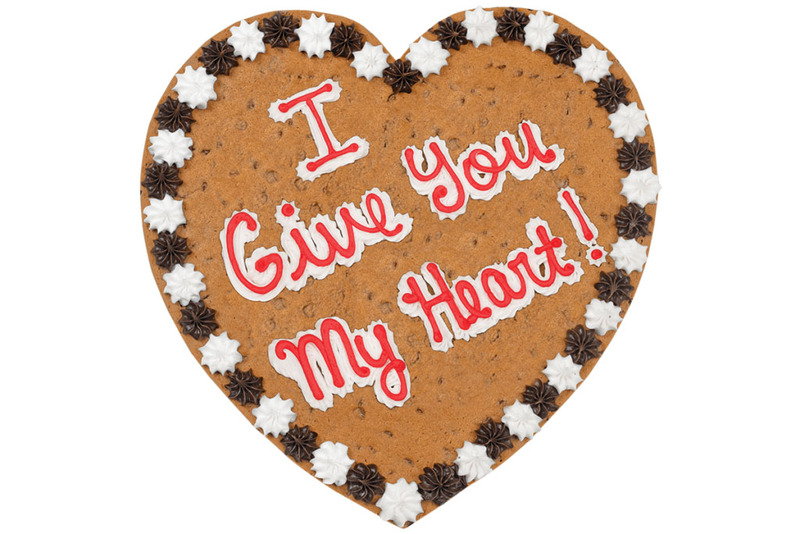 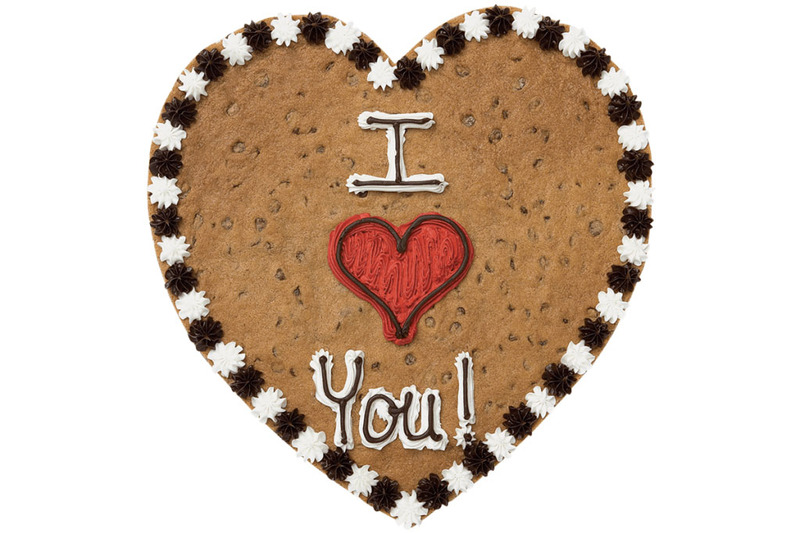 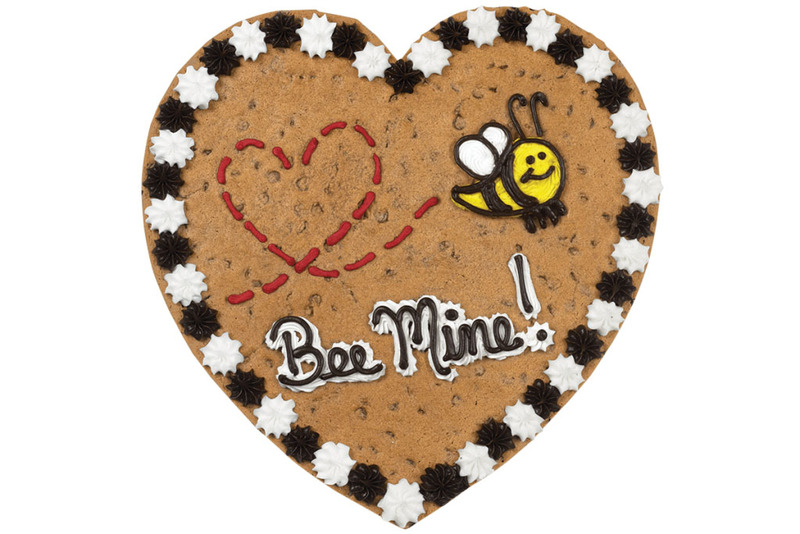 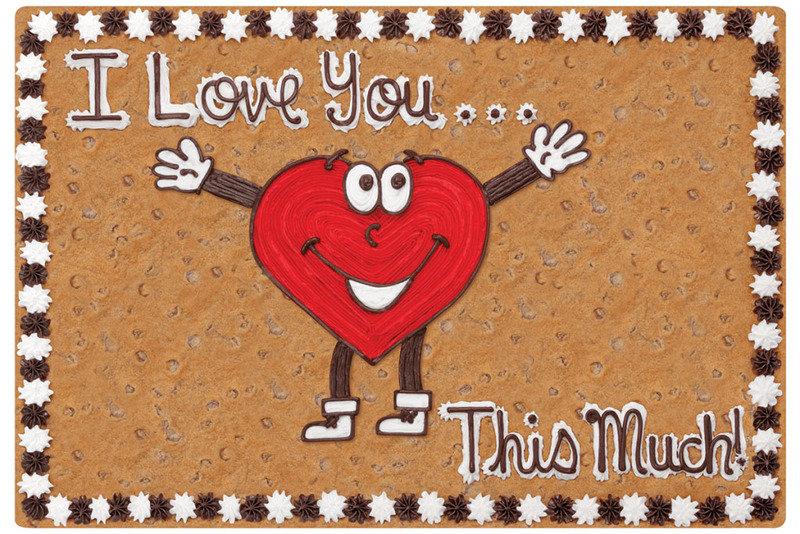 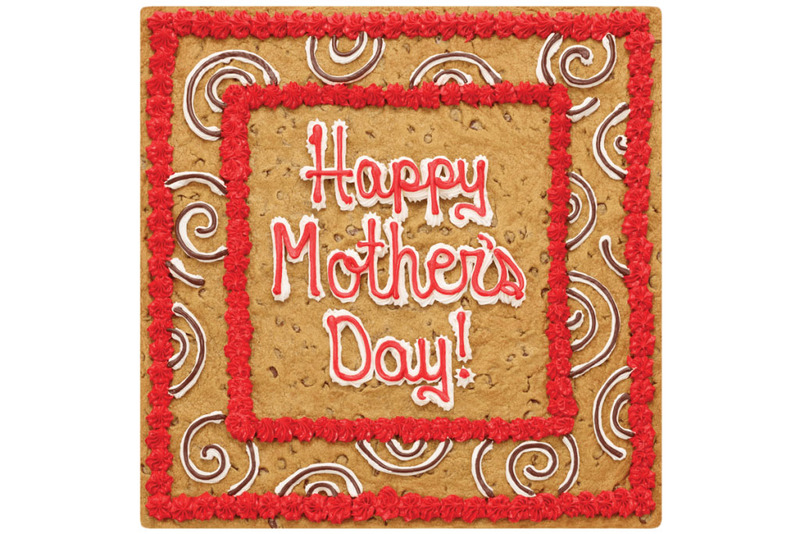 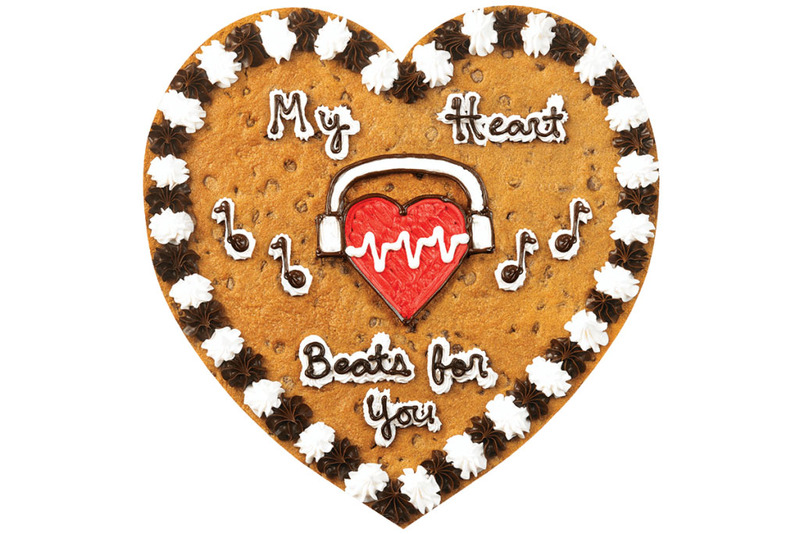 For something more personal, heart-shaped Cookie Cakes (available in small or large) and Individually Yours Cookie Cakes are a great gift for someone special.